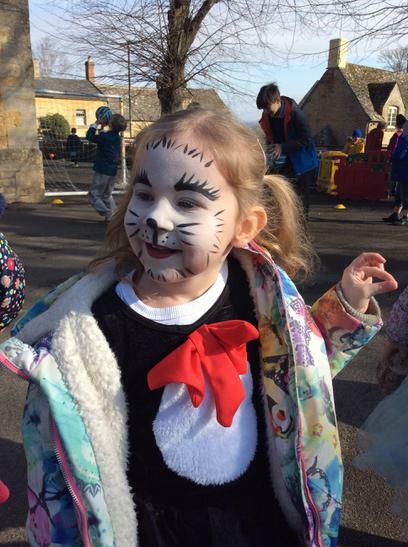 Welcome back, we hope you’ve had a lovely Easter break with your friends and family. 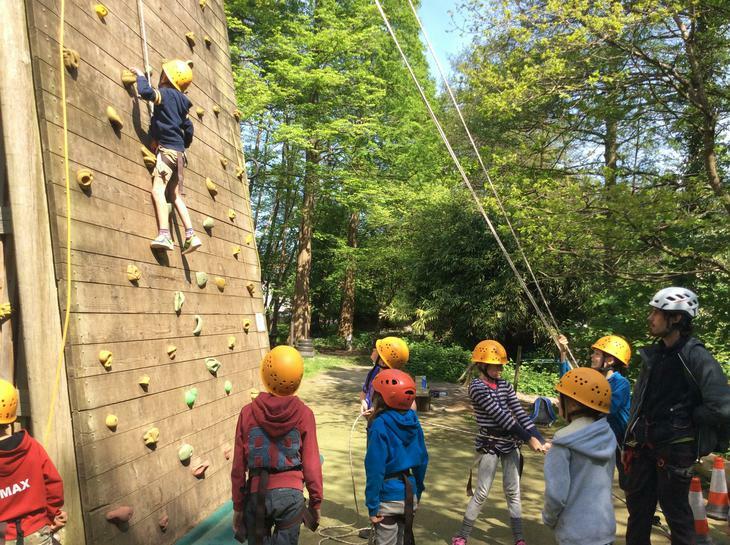 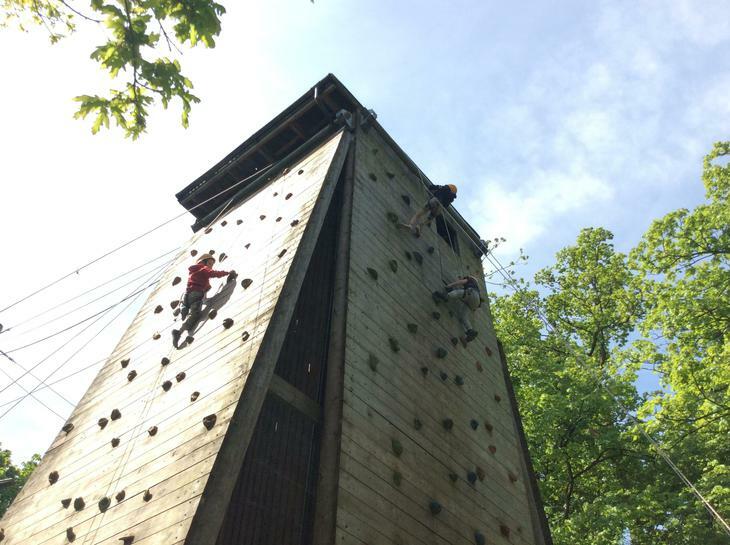 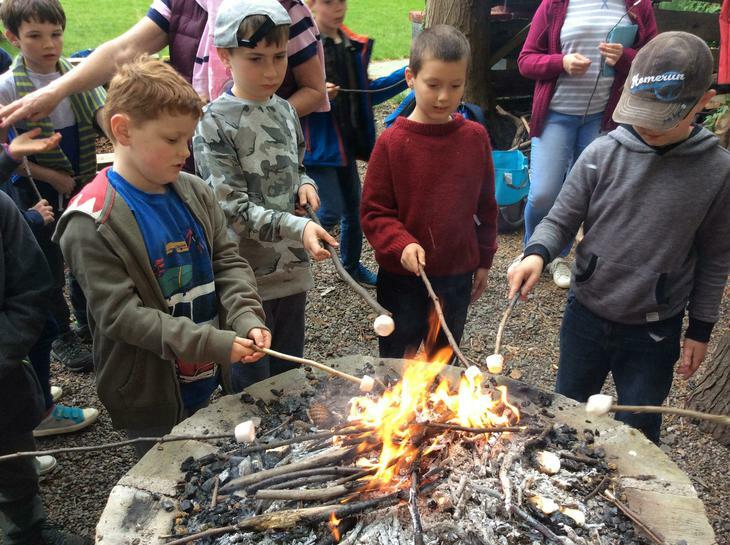 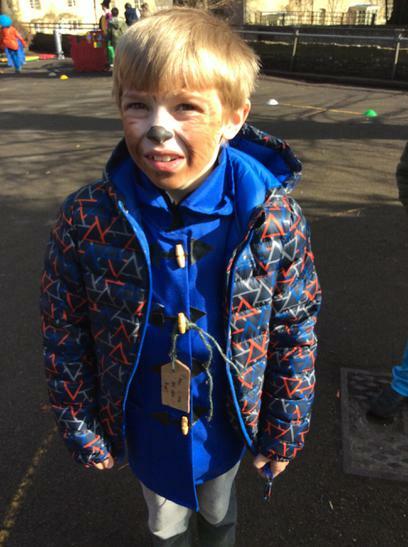 We have a short, but jam-packed term with lots of interesting events to look forward to, including our National Key Stage 2 SAT's which run from 13th - 16th May. 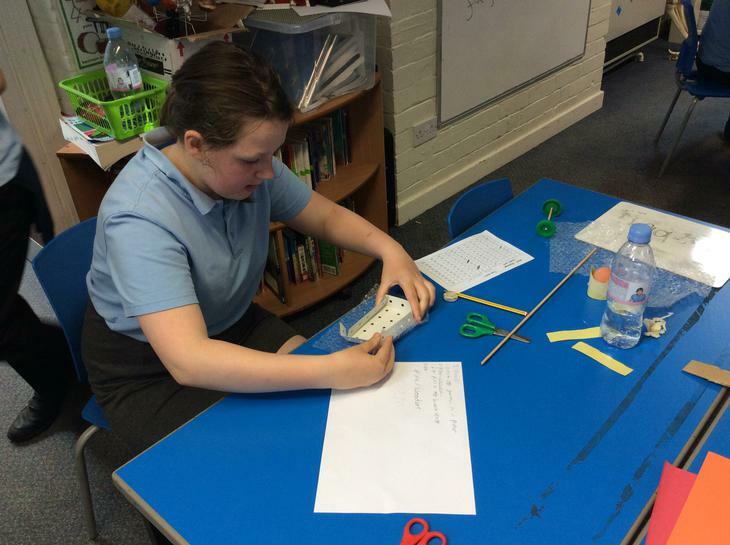 Dr Regan will be teaching the Year 5 and 6 children (TG3) every morning for Maths and English. 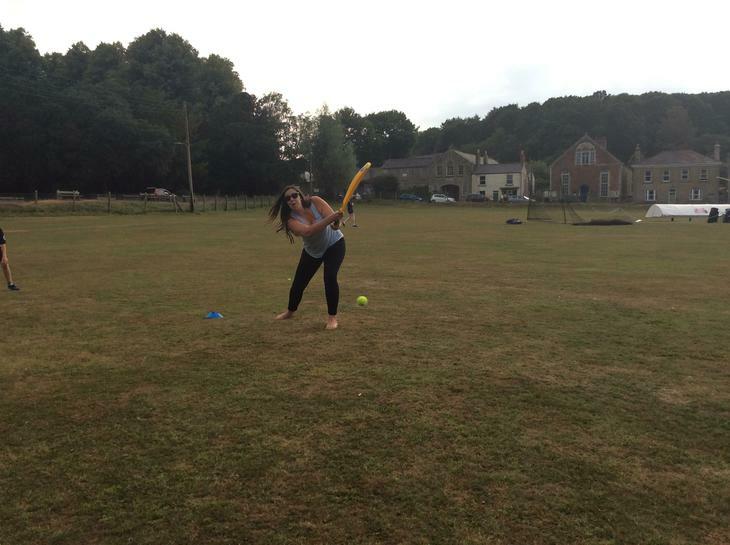 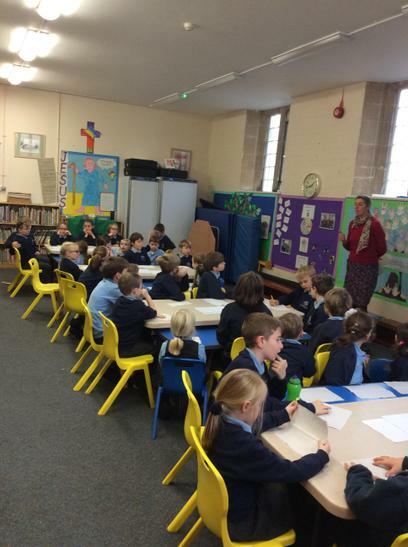 Mrs Caroline Clare will be teaching Year 2, 3 and 4 (TG2) every morning for Maths and English. 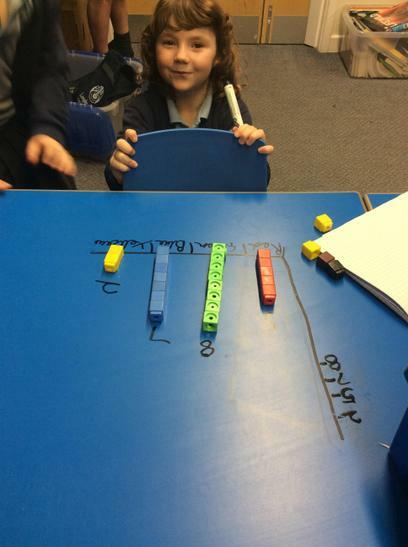 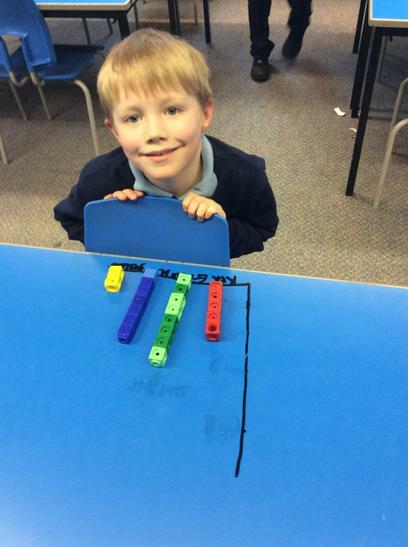 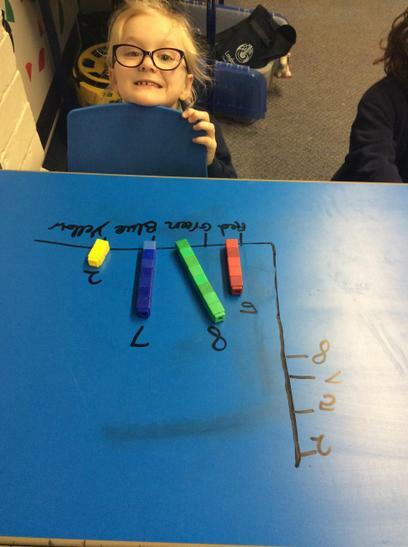 (In the afternoons, the year 2 children will return to Class 1 for their afternoon lessons). 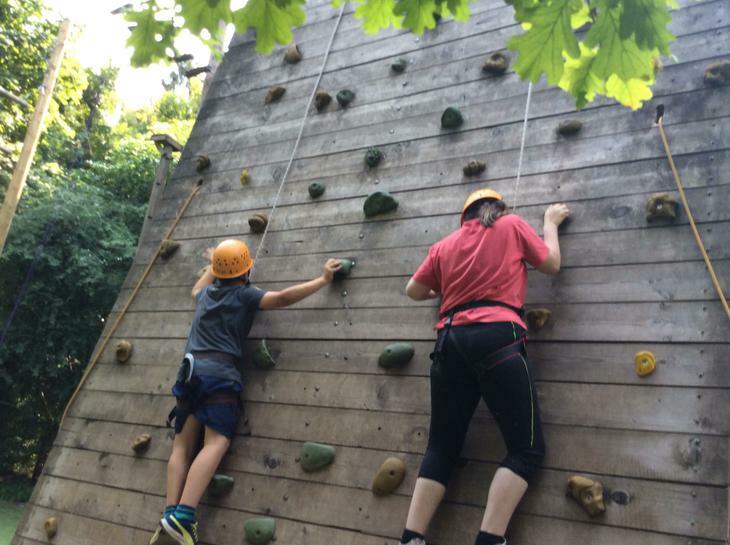 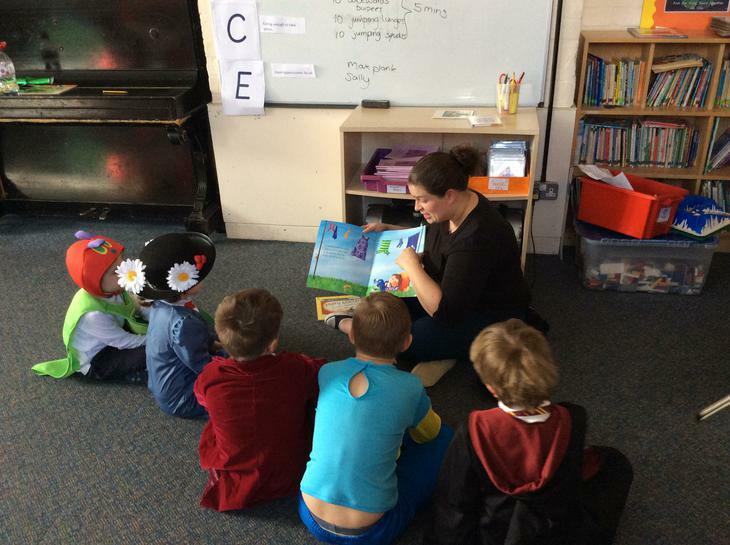 Miss Mountford and Mrs Dearman will continue providing valuable support on a part-time basis. 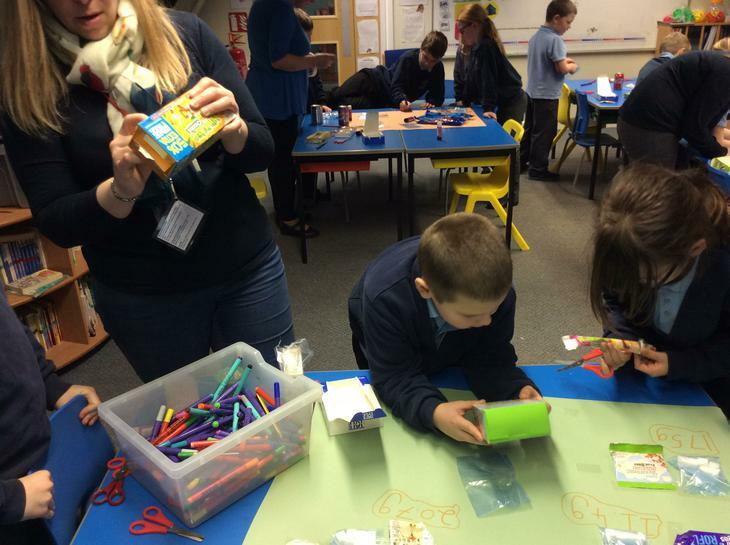 We will all work together on PSHCE and interventions; with Mrs Mason as our SENCo across the Federation. 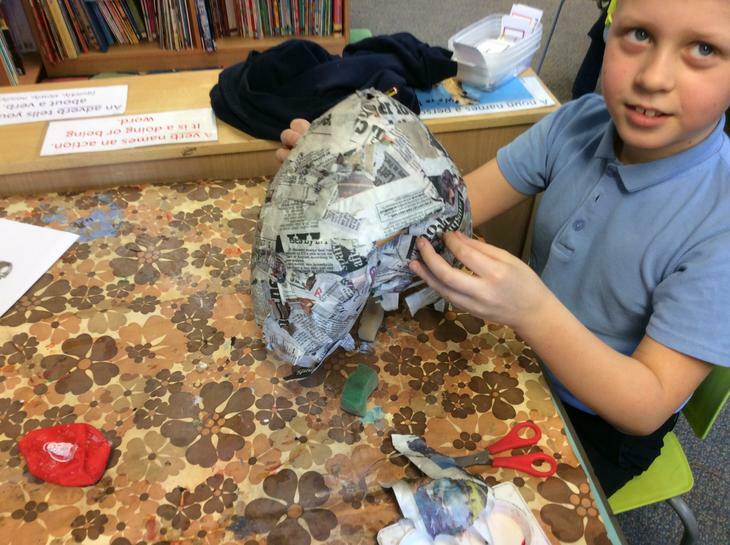 Our value this term is ‘Creativity'. 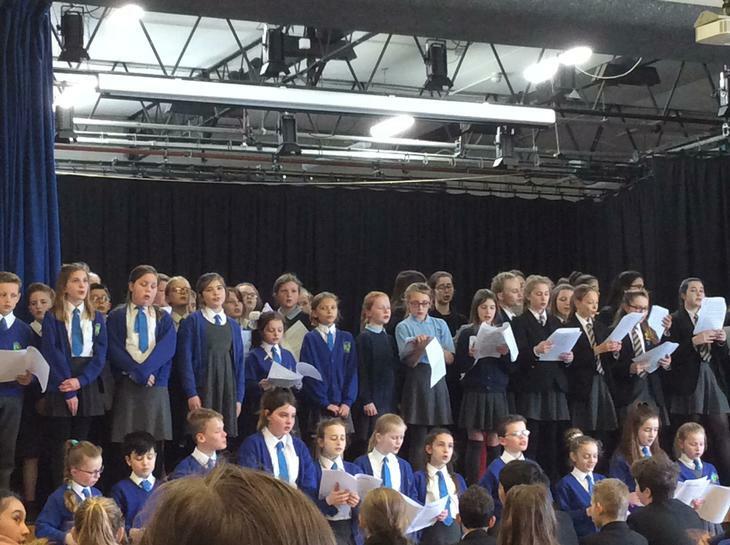 We will be focusing on our value in Worship and in class; linking it where appropriate to our other areas of learning, especially Art, Music and Drama. 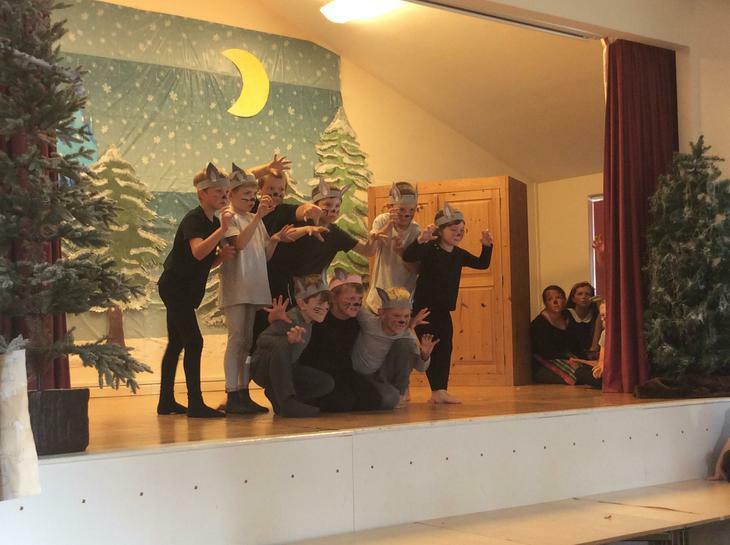 There are lots of events coming up this term (Morris dancing; Opera workshop; dogs trust assembly; athletics tournament) please do check the ‘dates for diary’ section on the parent’s page, the Weekly Newsletter, and our noticeboard outside school. 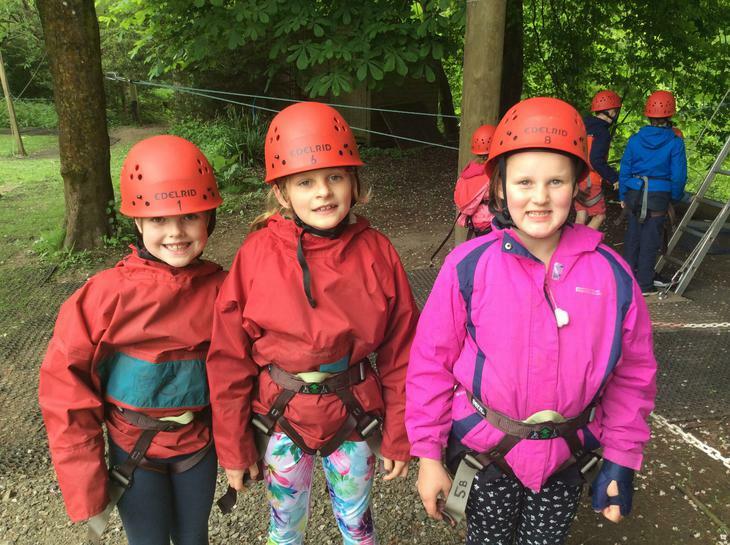 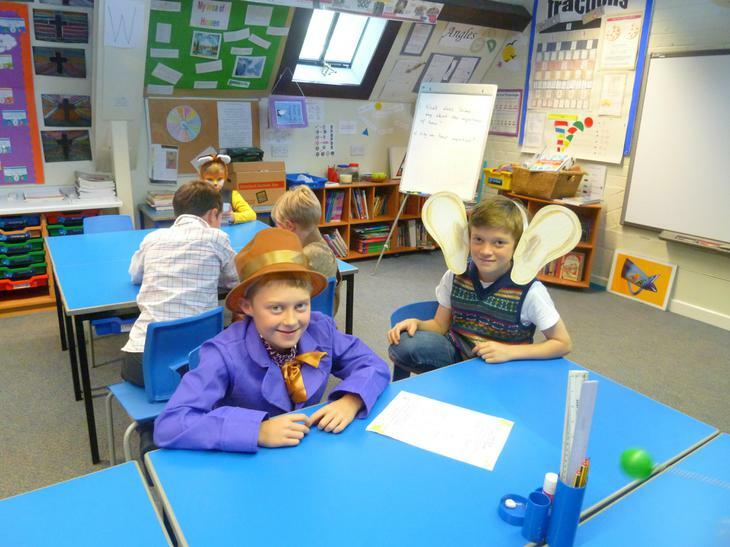 Throughout the term, we will be updating our class page with our adventures in Class 2. 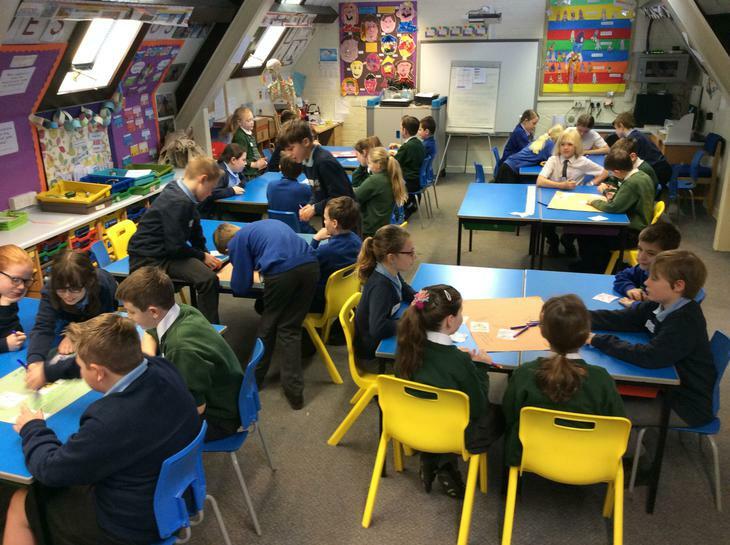 Once again on a Friday morning (between 8:45 and 9:00am) you are very welcome in our classroom. 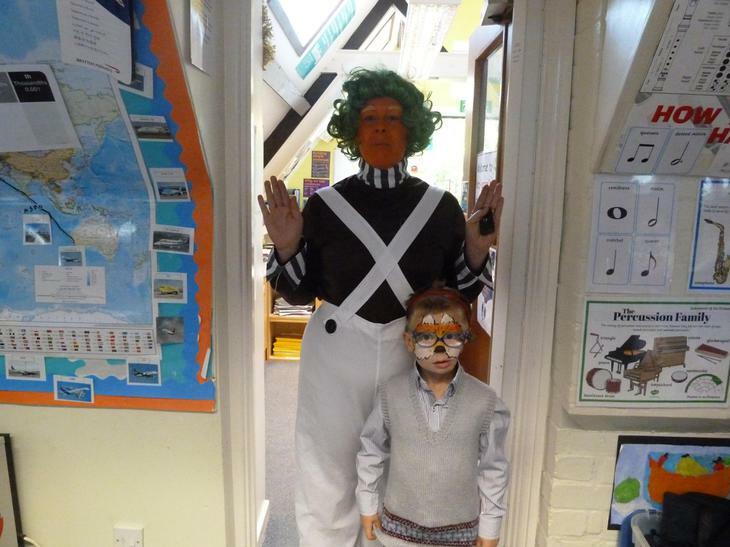 Please come and look at your children’s books and our classroom displays. 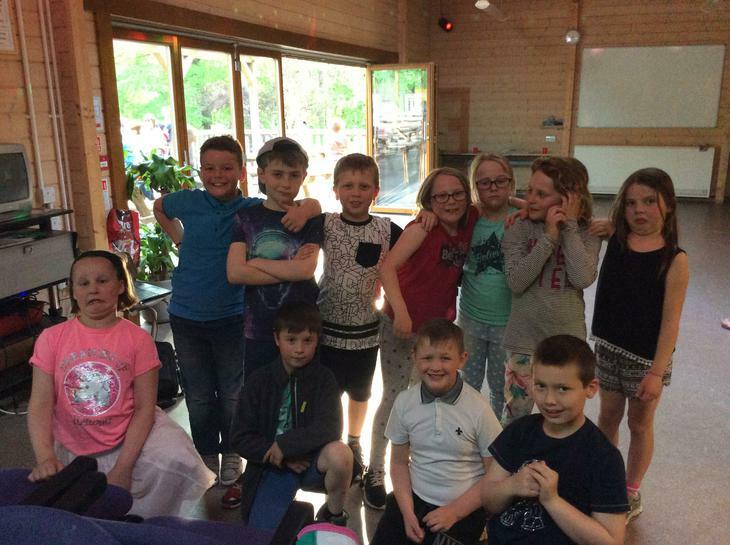 Please feel free to come in and speak to us and arrange a suitable time to meet with us if you have any questions or concerns. 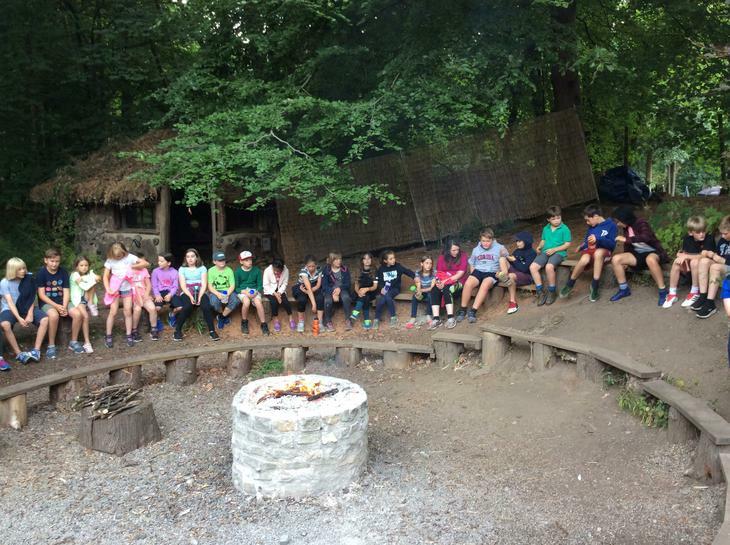 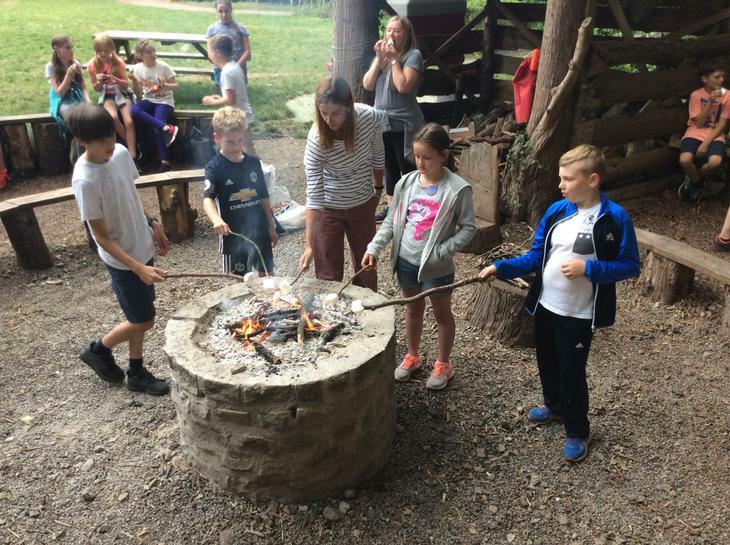 Here are some pictures from our recent activities. 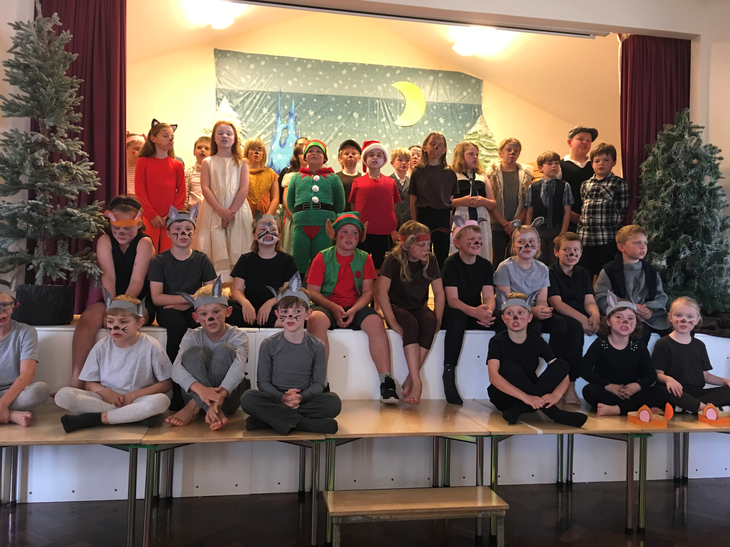 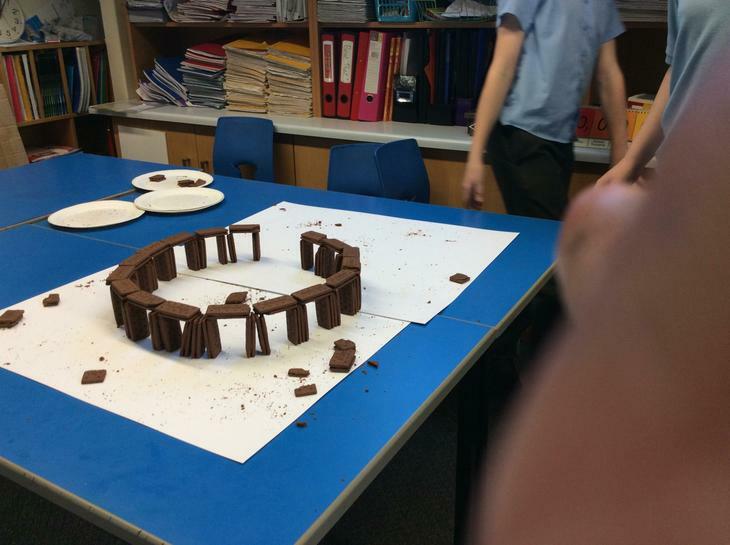 Please see the gallery for more pictures and whole school events. 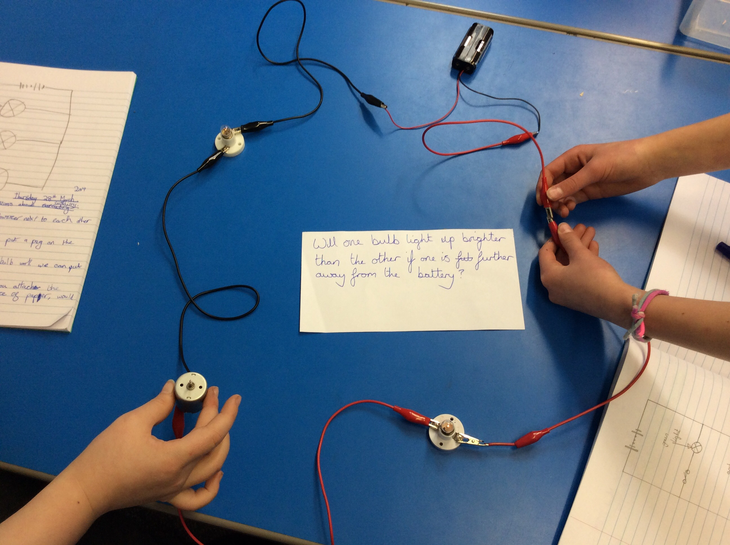 Getting to grips with Electricity. 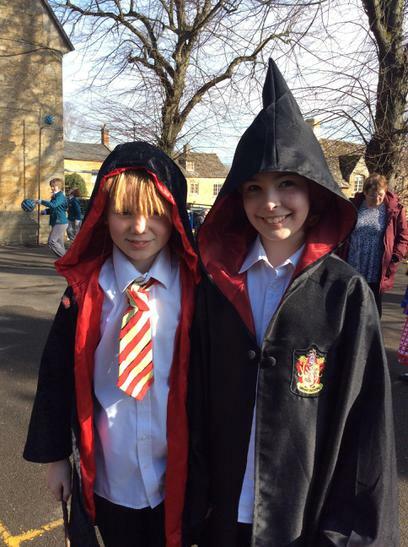 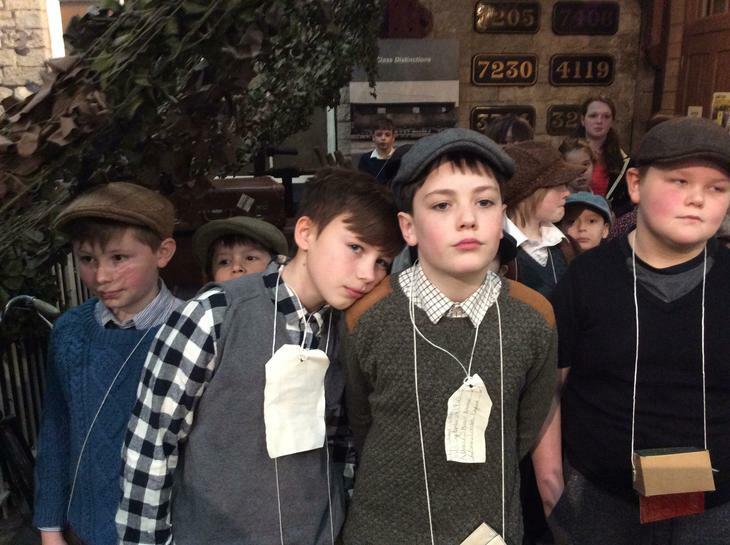 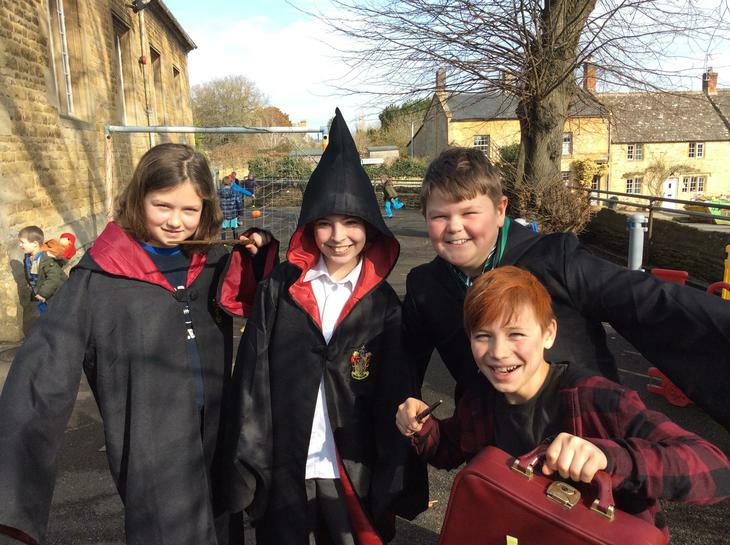 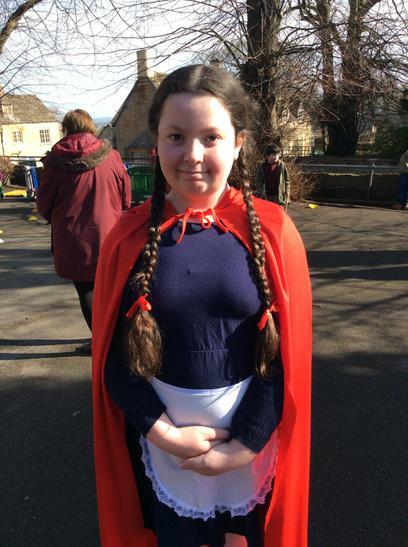 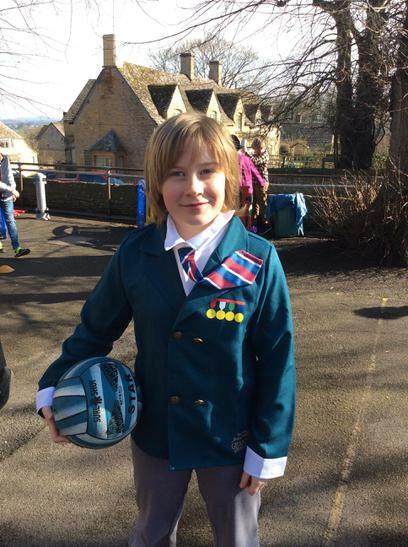 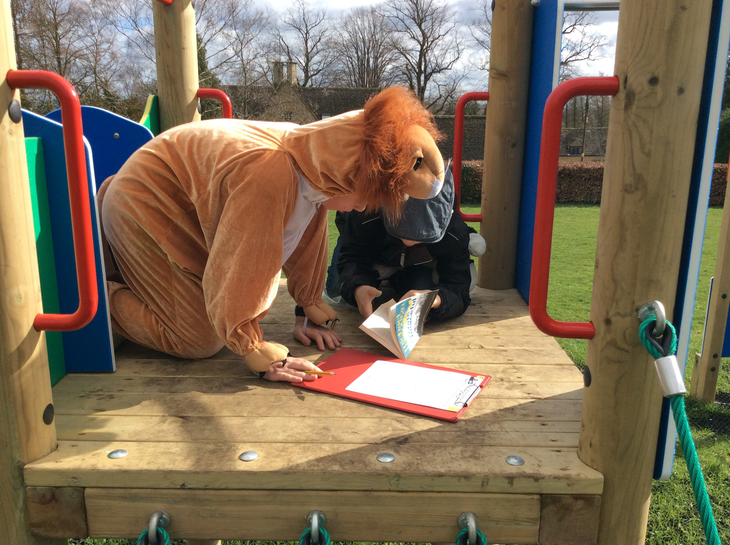 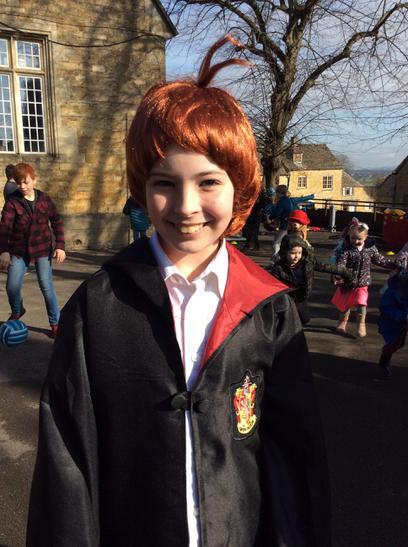 WORLD BOOK DAY Including the Michael Morpurgo Reading Comprehension Challenge (set up by Mrs Regan on the field!). 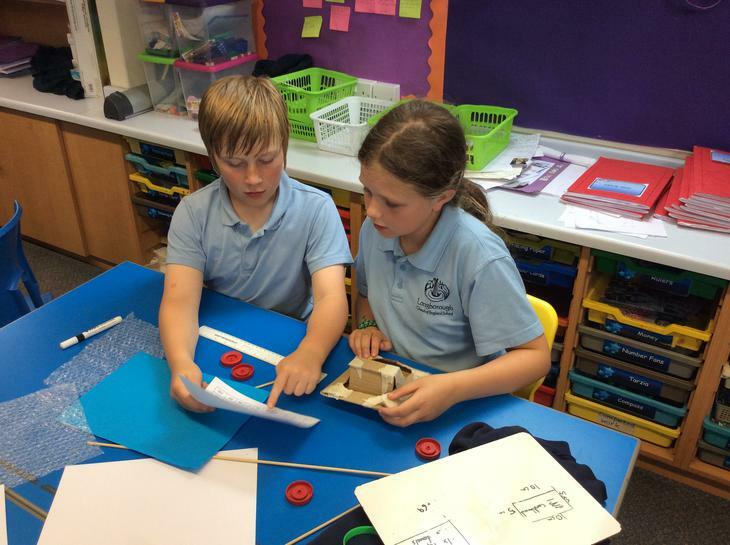 Appreciating the Vikings: our Longboat replica! 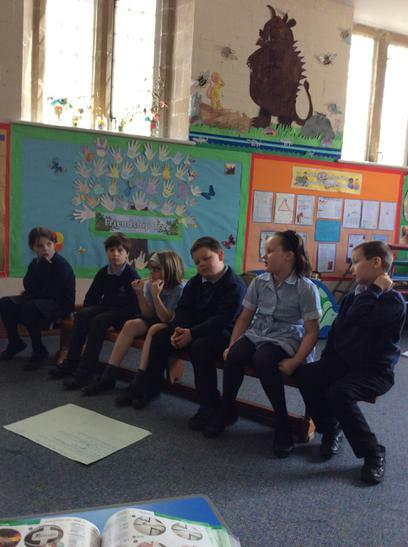 Year 3/4 English Debate - Are video games bad for children? 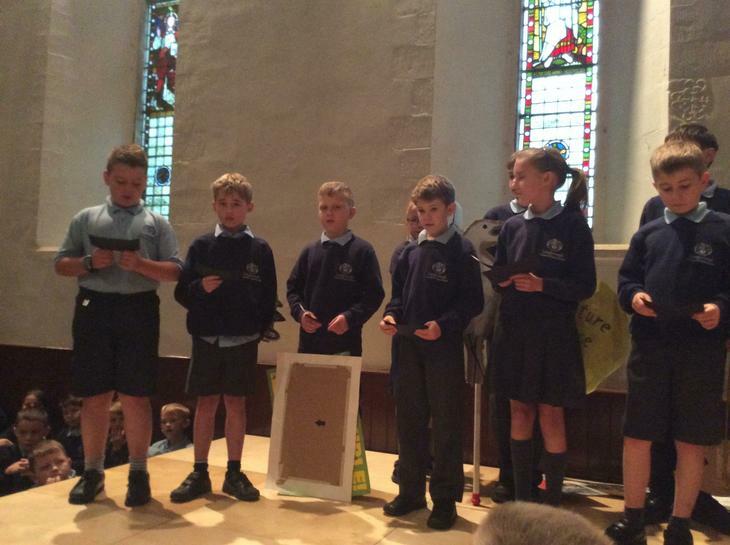 The children were asked to debate either for or against the statement 'Video games are bad for children'. 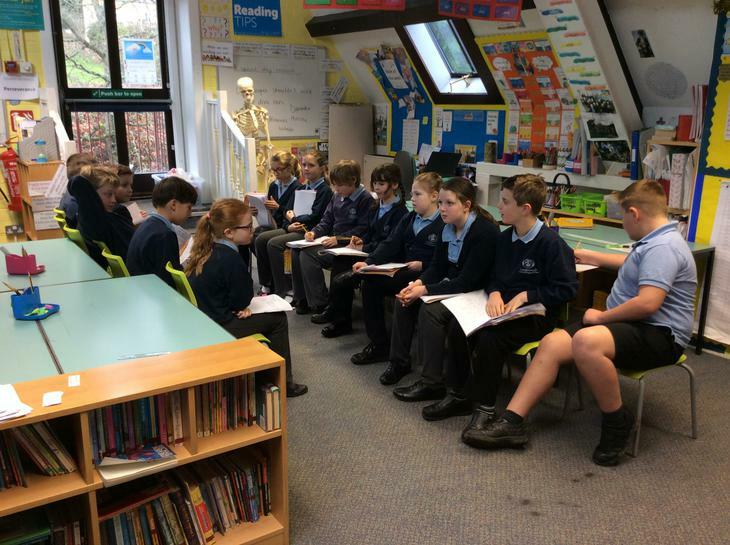 The children came up with some very promising points and were even able to debate the points that the opposition had put forward. 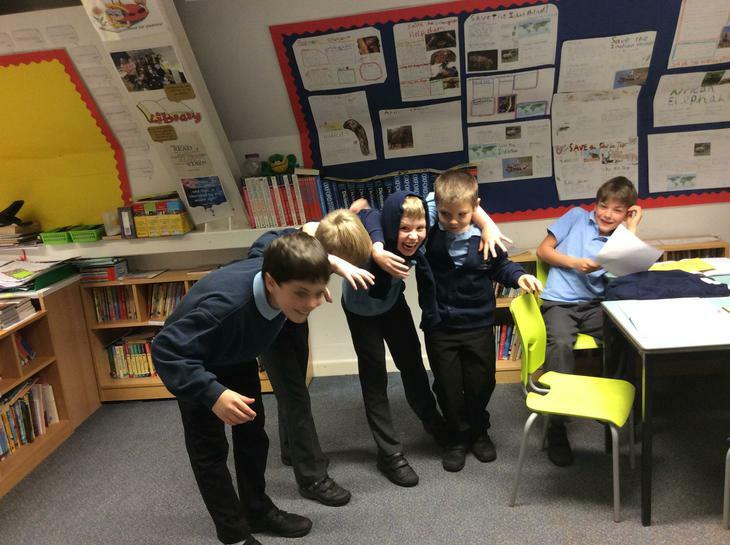 We decided that the debate resulted in a heated draw after both sides of the argument had made very good cases! 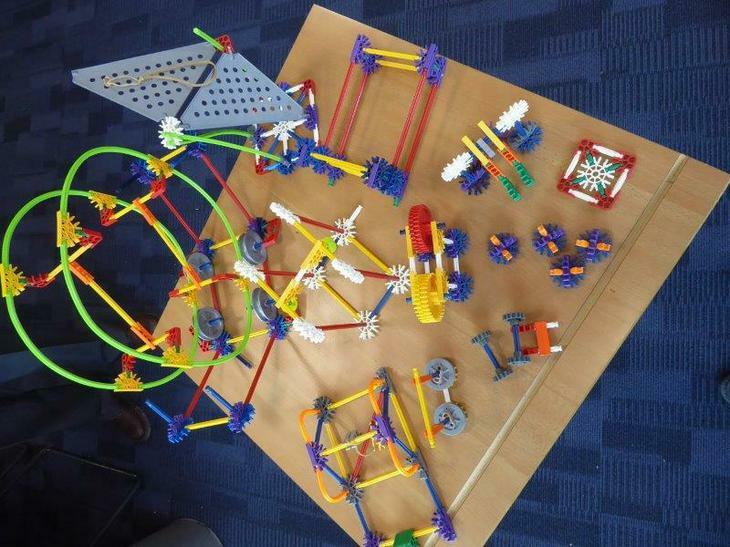 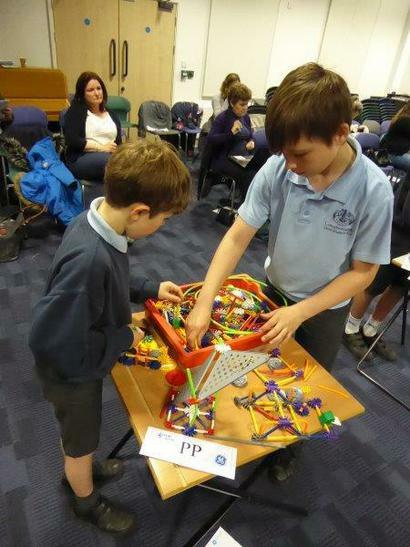 K’Nex Challenge - we came 1st! 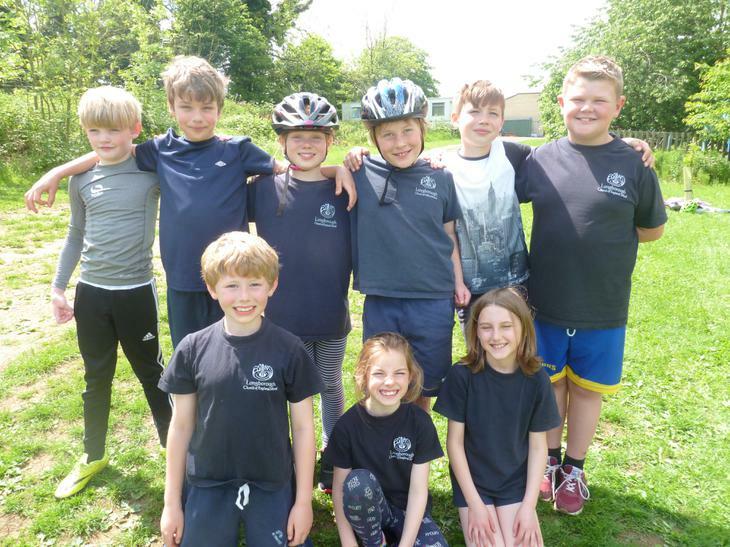 Well done Team Longborough! 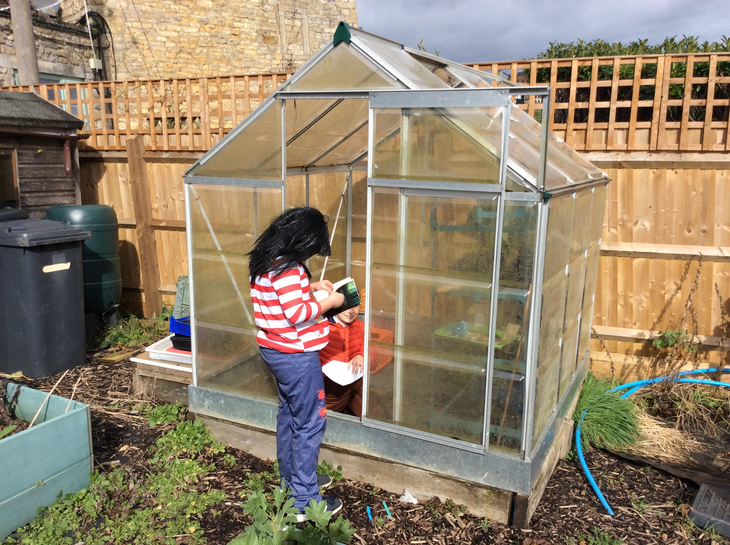 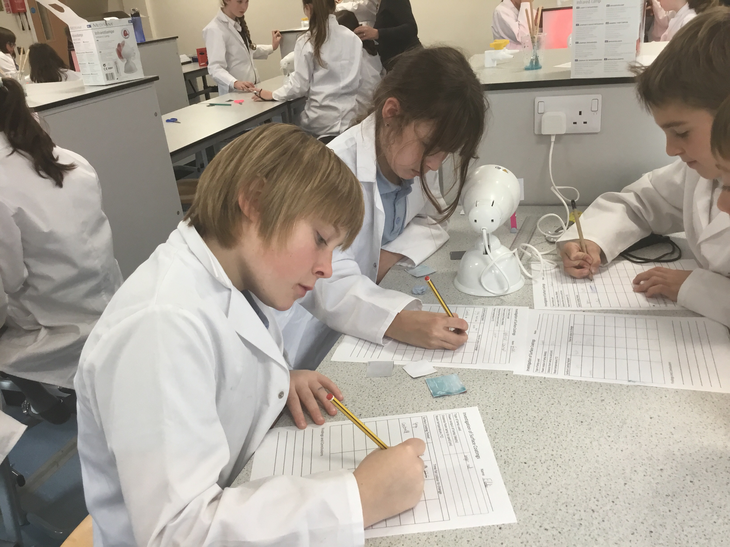 We really enjoy our science here at Longborough and wasted no time in getting straight back into some investigation work on our first lesson back this new term. 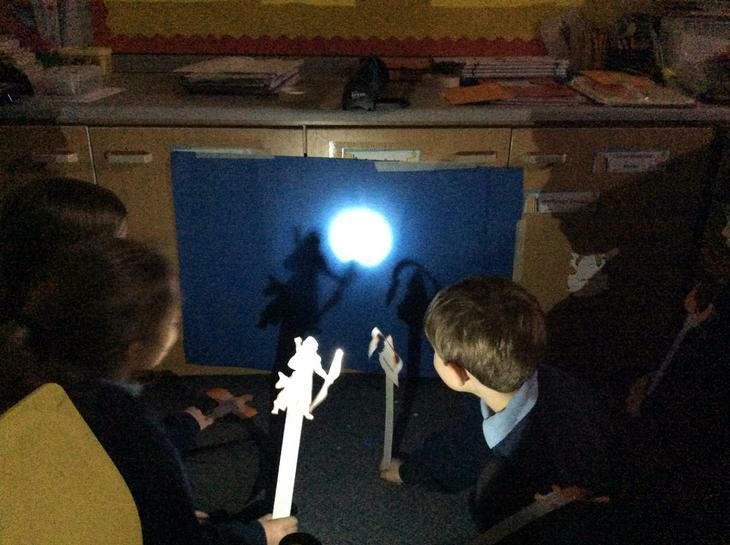 We explored patterns in shadow sizes, with no better way than to create our own shadow puppets to collect our unique data sets. 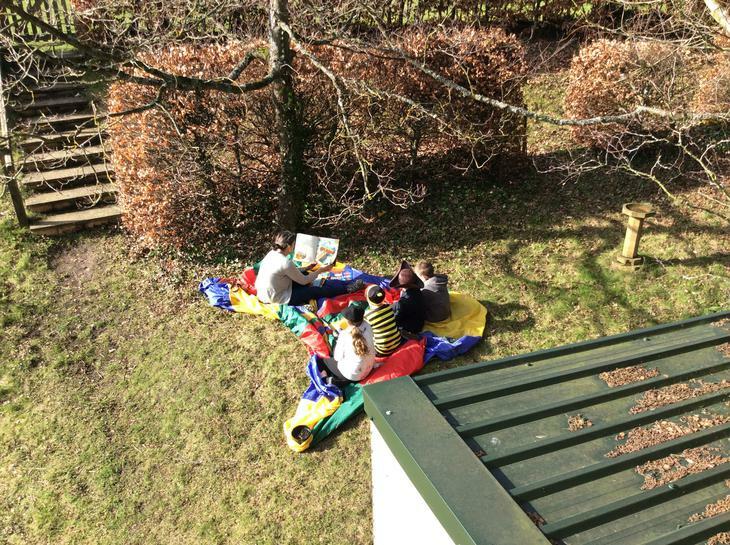 Look closely at the photos and see if you can spot the artistic shadow creators. 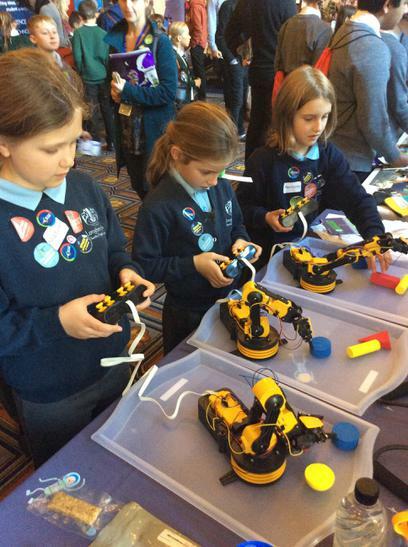 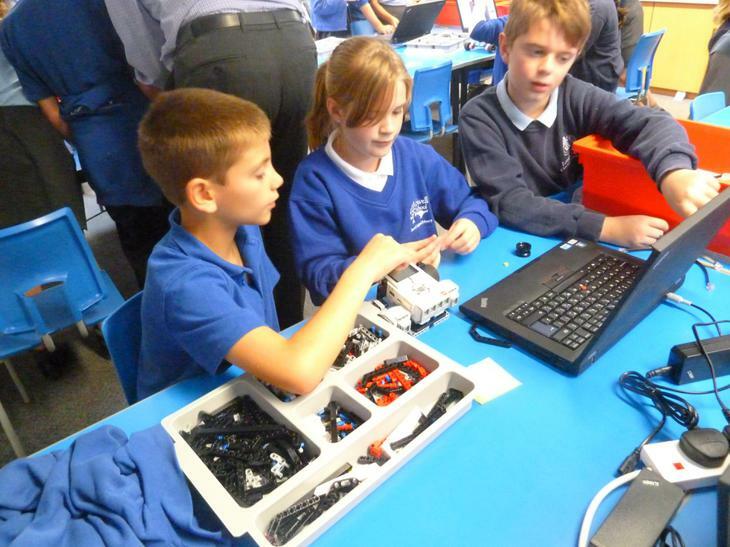 All children across the NCSF took part in a computer science day. 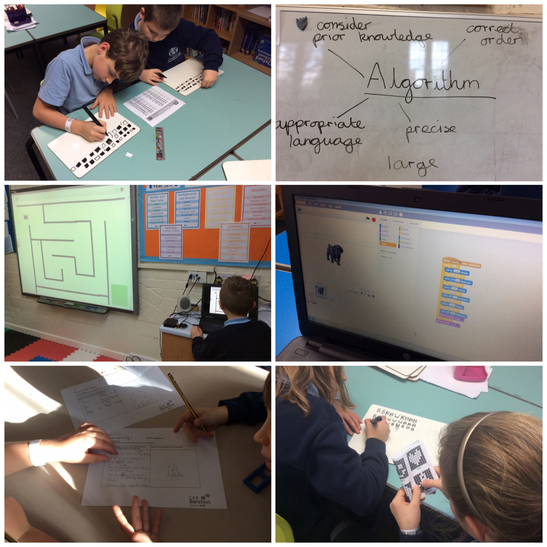 Children learnt how to binary code for images and wording; explored programming for on-screen animation; and discovered the joys of de-bugging algorithms. 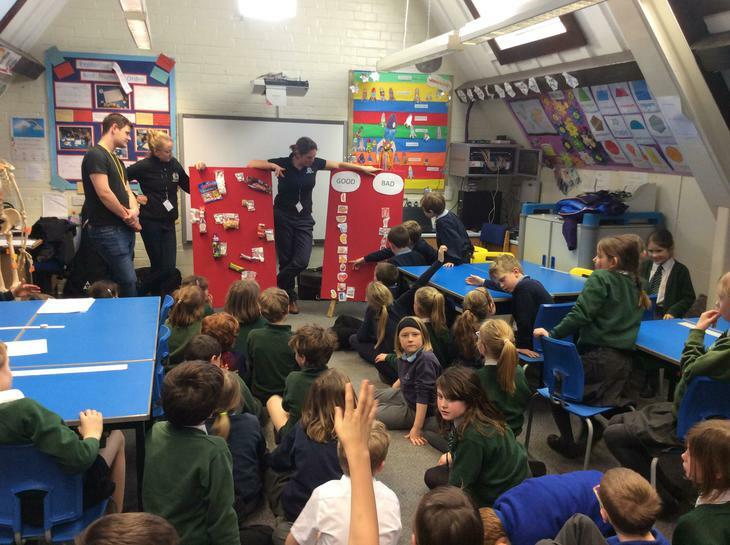 Children also received a talk from PC Westmacott about internet safety. 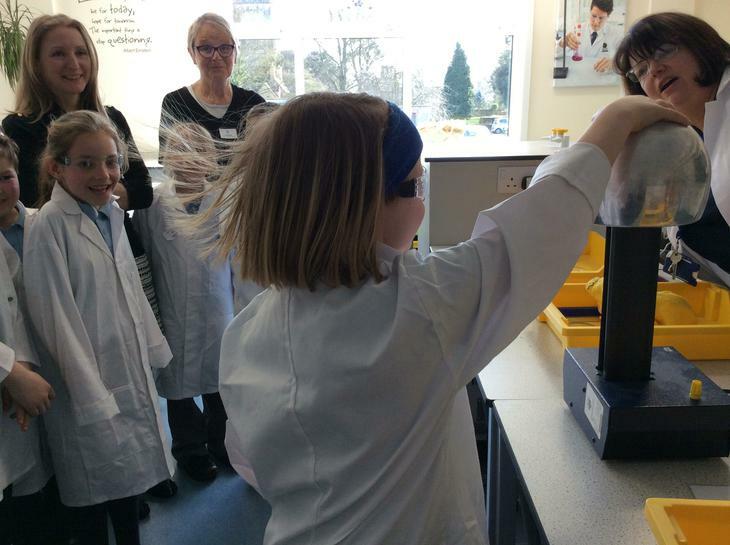 All Year 5 and 6 girls got the amazing opportunity to receive a space chemistry masterclass held at the new Phiz Labs in the STAR science centre at Chipping Campden Secondary School. 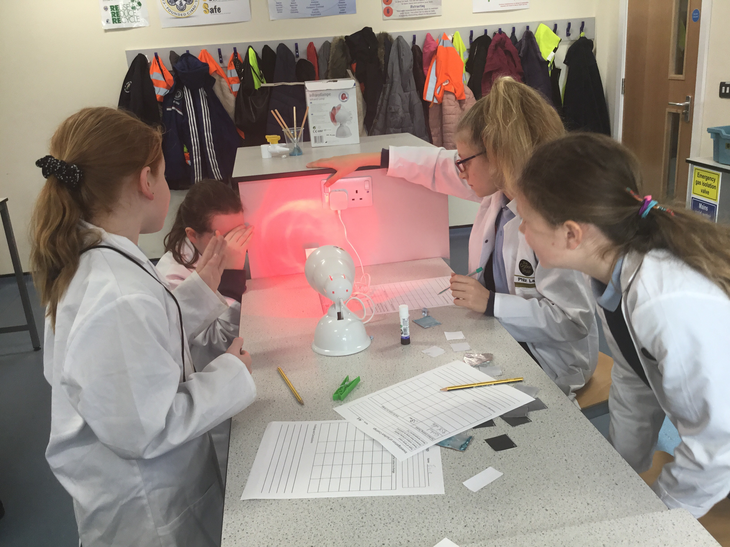 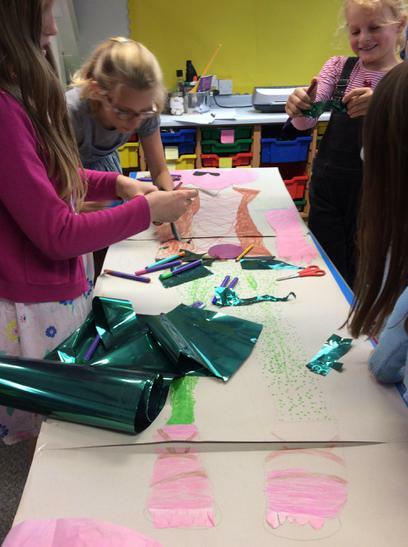 The girls explored the properties of thermo-chromic paint and tested different materials to help their understanding of the importance of 'paint' in the space industry. 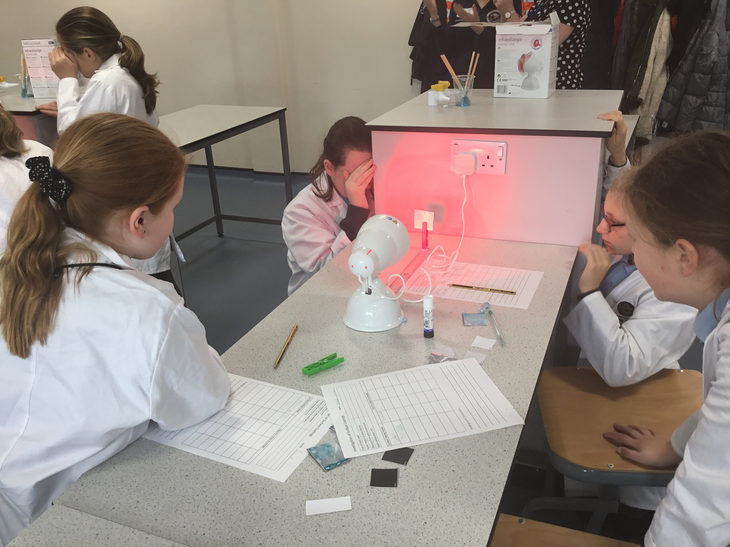 Using infra-red lights they soon discovered which materials were better than others for protecting a rocket and its crew. 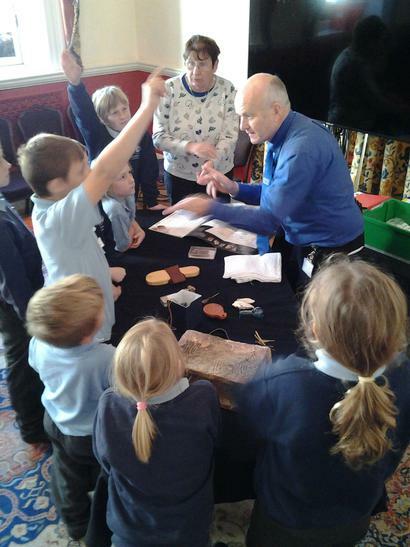 They also had a rather exciting opportunity to hold a piece of rock that came from the MOON!!! 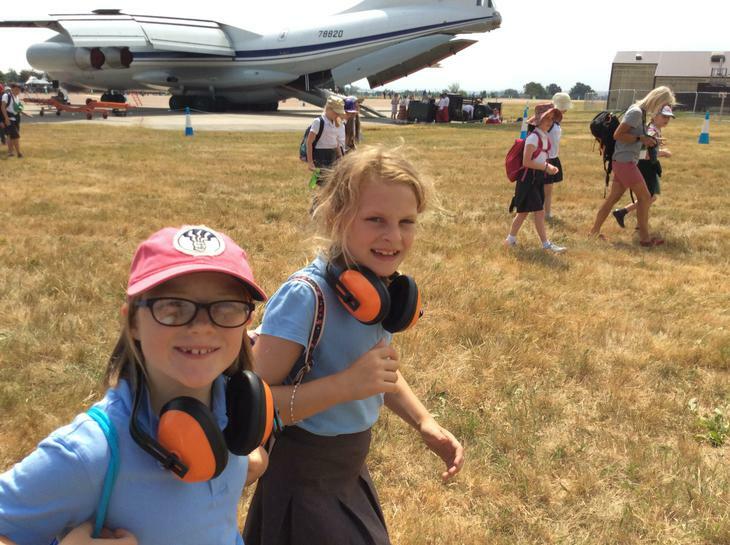 Lucky girls. 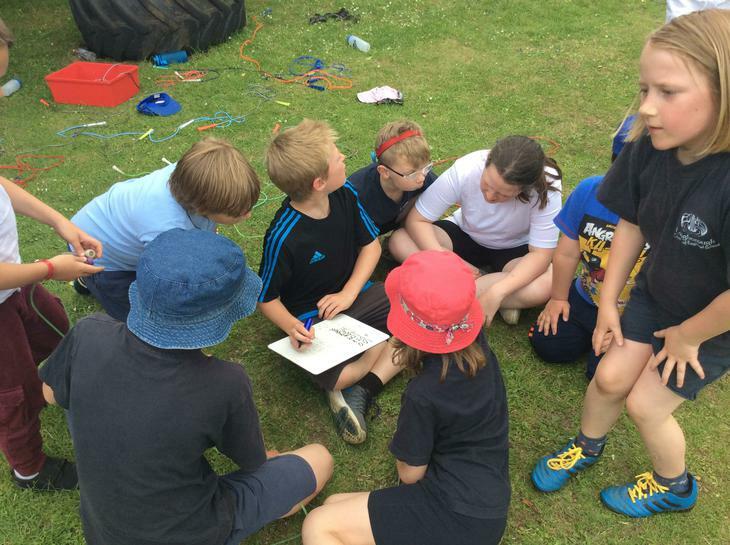 Check out our Growth Mindset video. 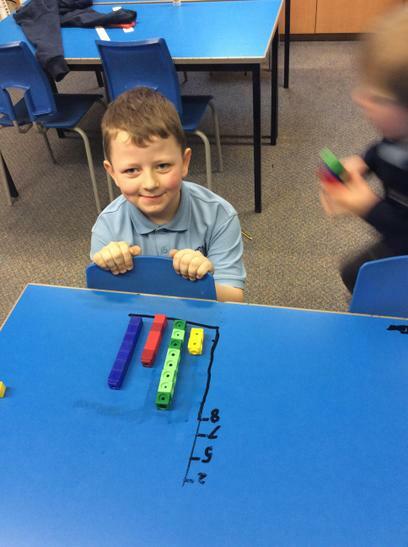 It will tell you all about Growth Mindset and how it helps us in our learning. 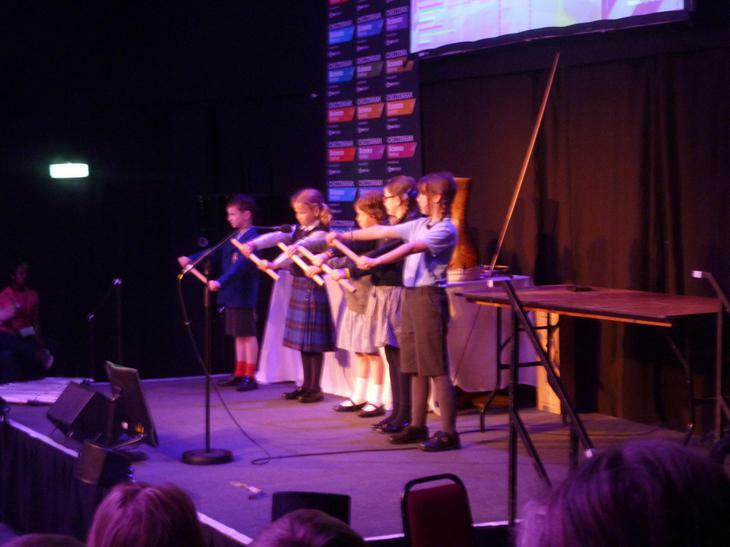 We took years 5 and 6 to experience the sights, sounds and rather delicious smells of the Cheltenham Literature Festival on Friday 13th October. 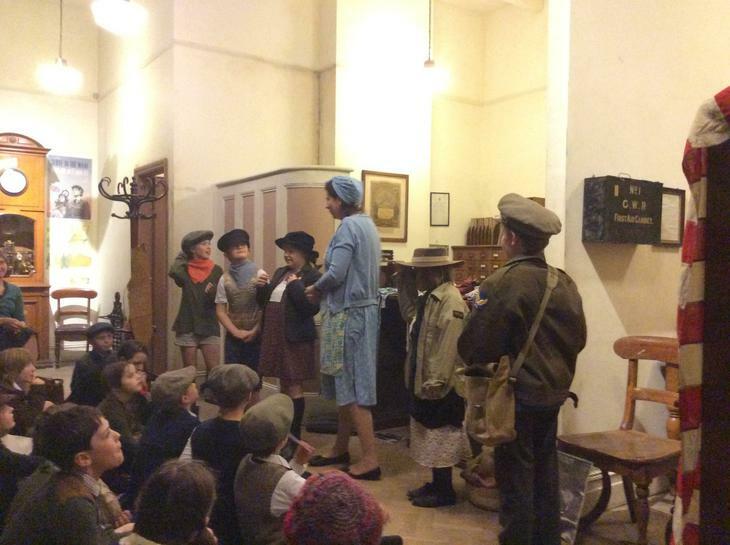 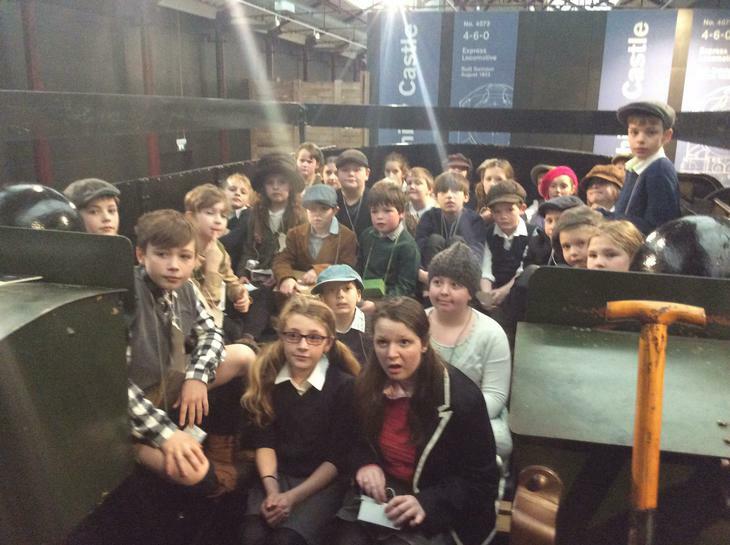 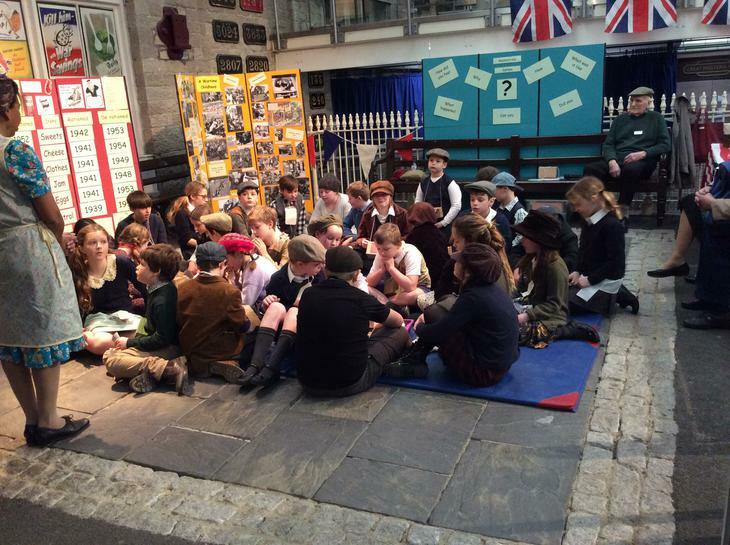 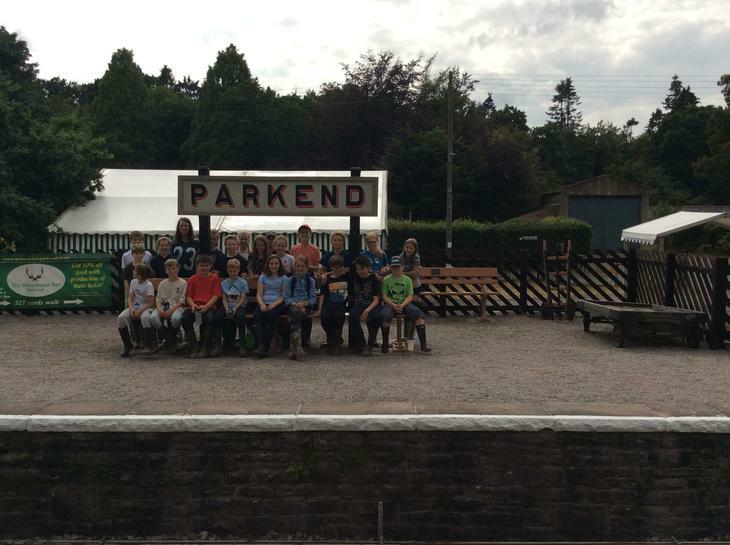 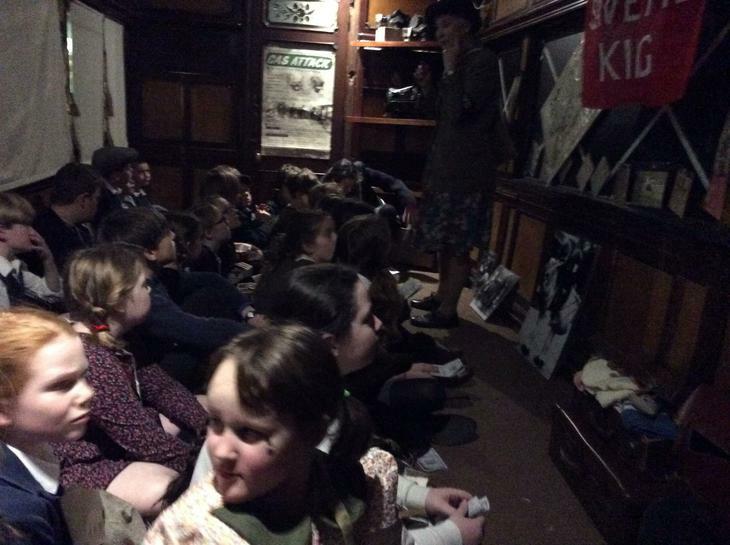 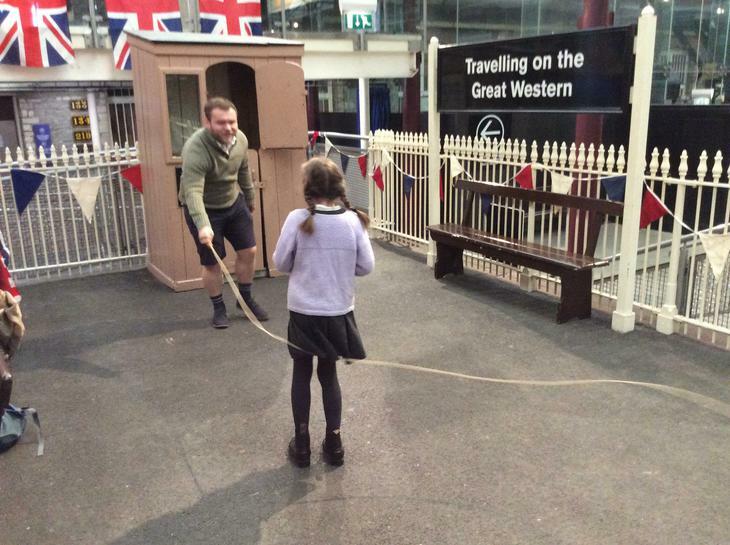 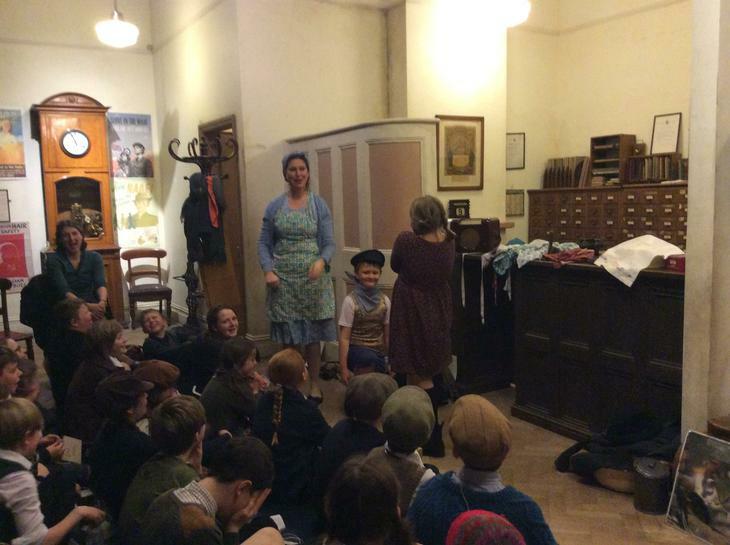 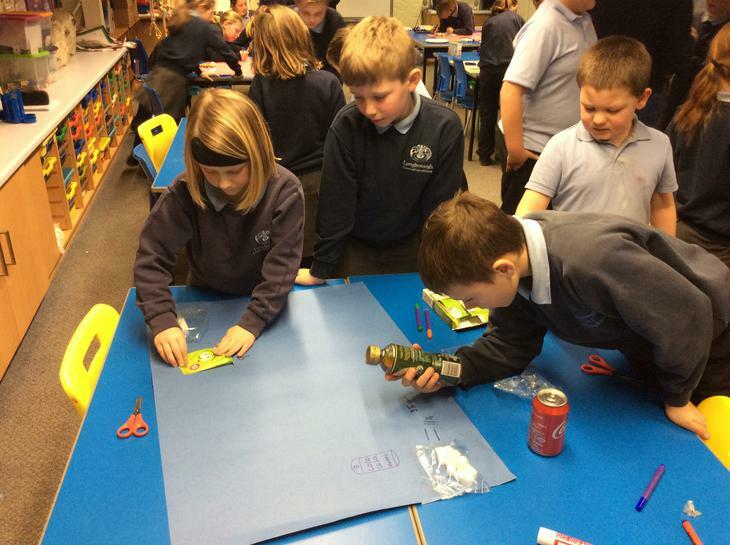 The children took part in a 'Famous Five Trail' and had a workshop conducted by new author Chloe Daykin. 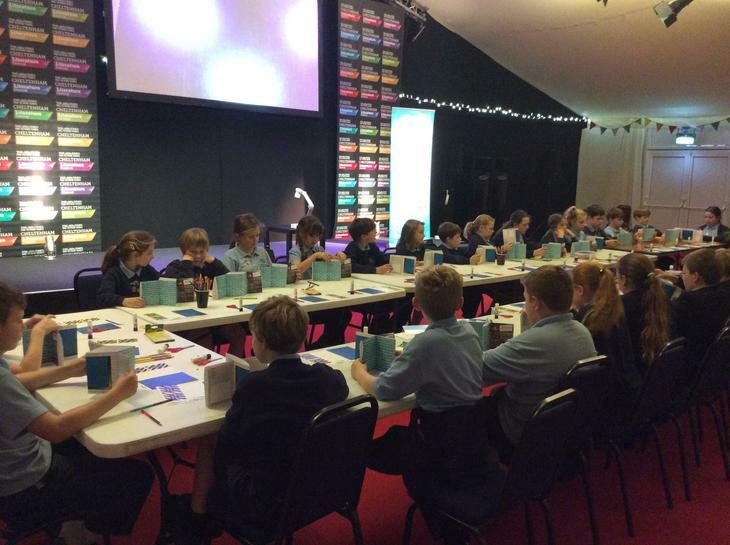 They were guided on how to create new characters, using sounds as cues and ideas, followed by actually making a miniature flap book. 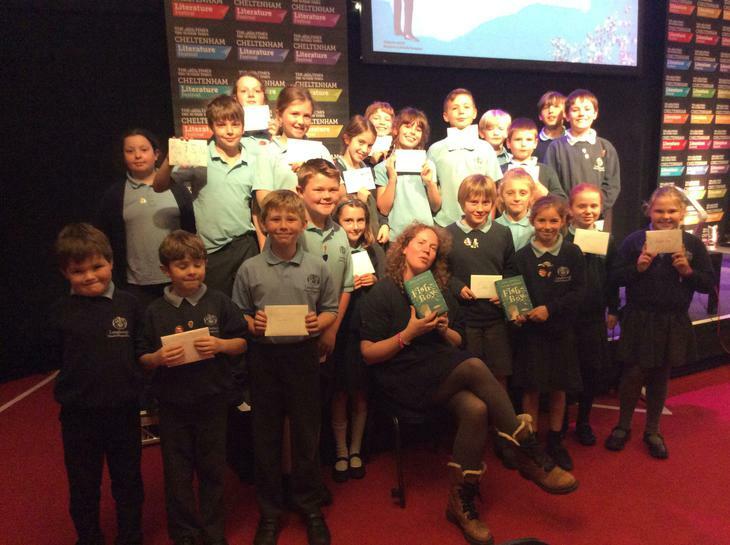 Everyone had their 'books' signed, along with a copy of her book 'Fish Boy' to take back to school with us. 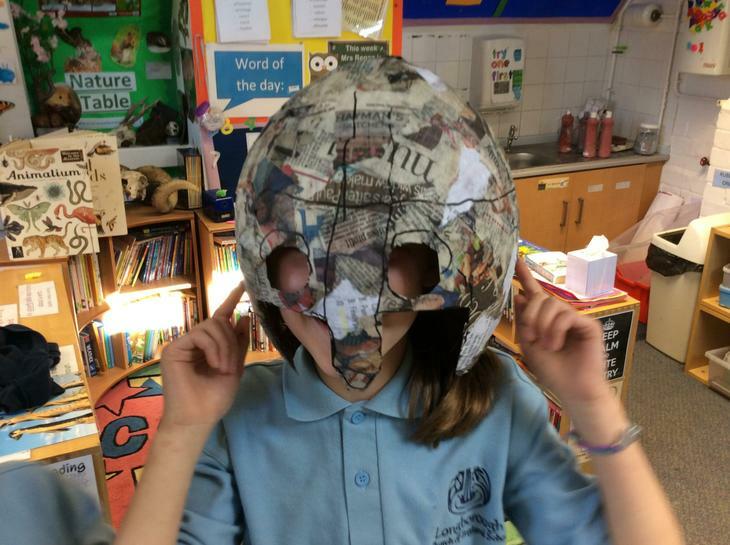 We hope this has inspired our very talented year 5/6 writers to consider publishing their own works in the future. 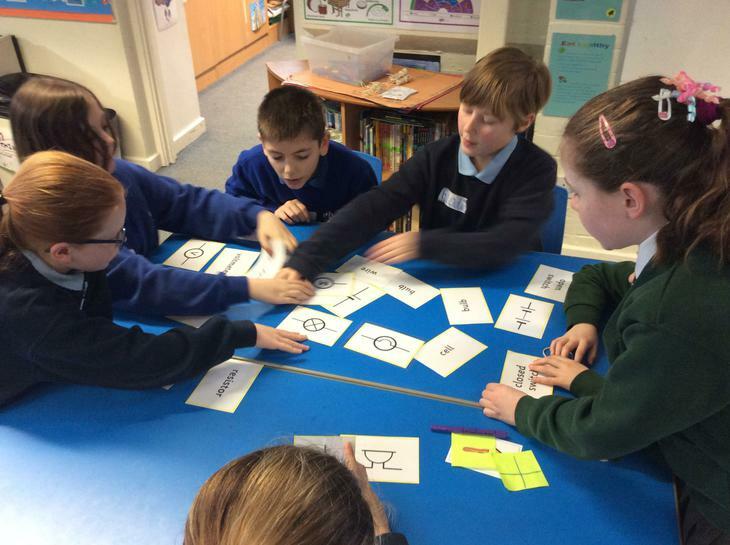 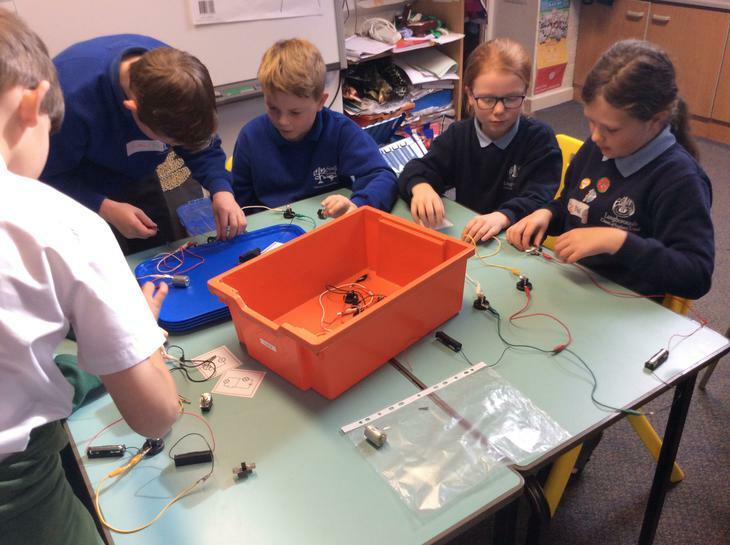 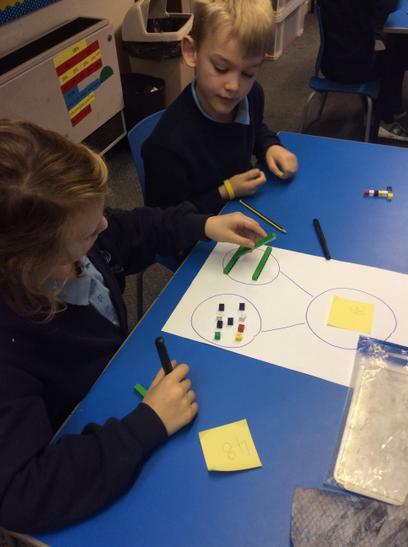 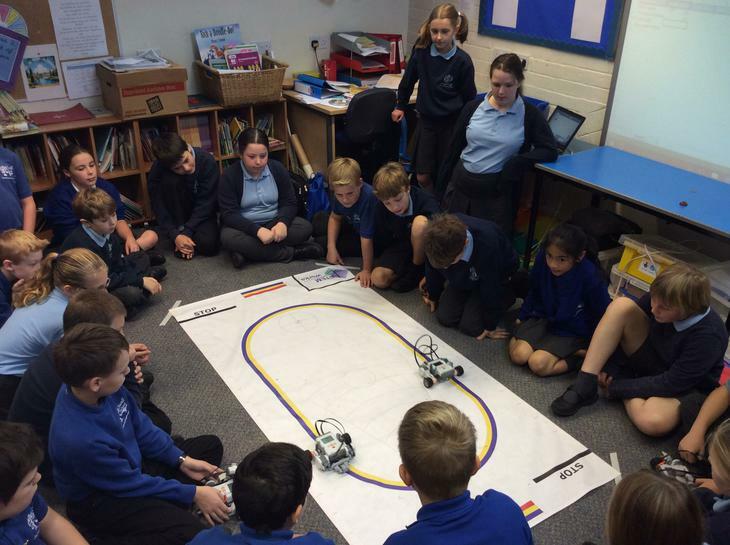 All our year 5 and 6 children from Longborough and Swell got together for an exciting engineering and computer science challenge day run by STEM (Science, Engineering, Maths and Technology) outreach programme. 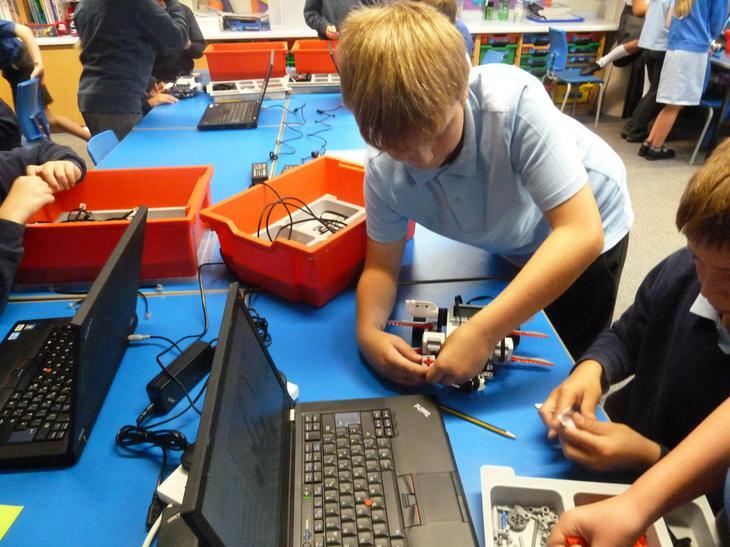 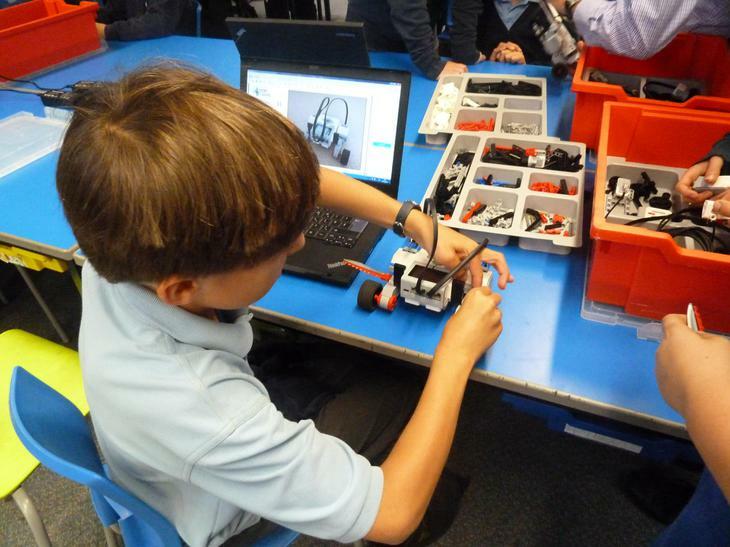 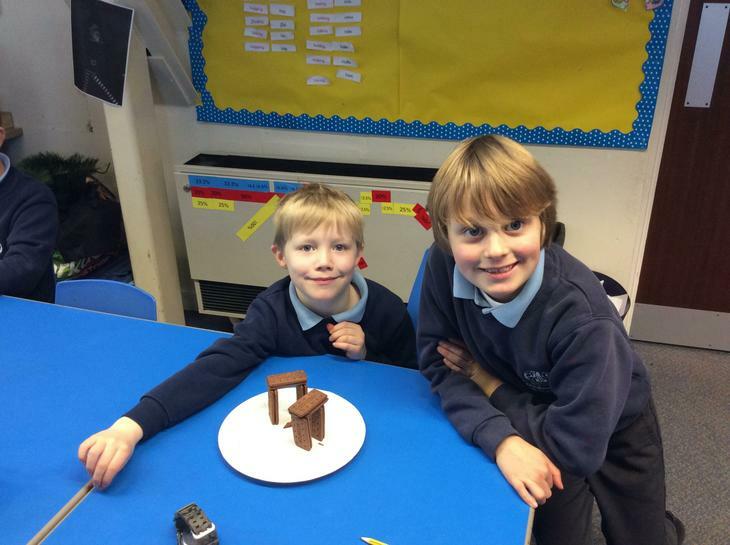 They had to design, build and programme a LEGO buggy to successfully complete a course with given conditions. 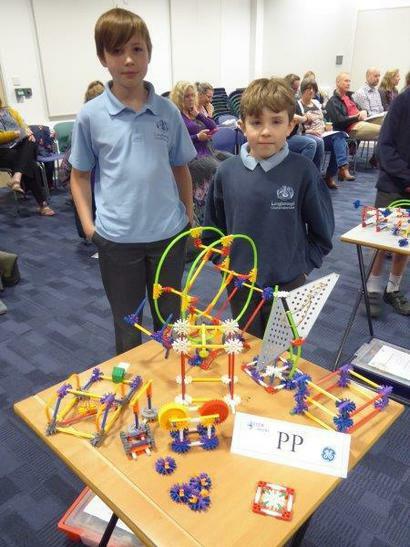 Well done to our winning team (George Swayne and Peter Fletcher) who will win a visit to a local business or engineering firm who use computer science and are commercial ambassadors for the STEM programme. 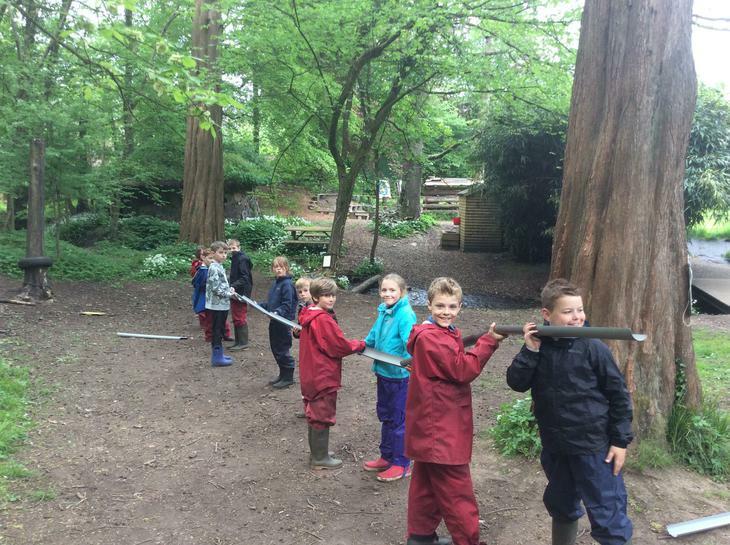 All the children worked incredibly well, with such excellent team work and cooperation shown between schools - a joy to observe. 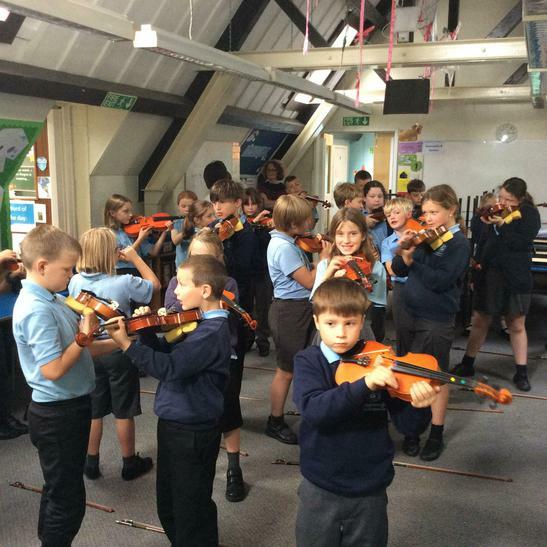 Over terms one and two, children will receive a total of 10 violin lessons, culminating in a concert for parents. 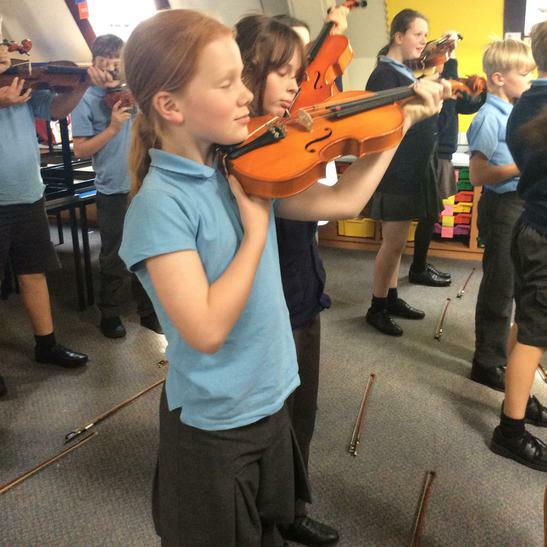 They have really enjoyed this new experience, the challenges it brings and the rewards when it sounds great! 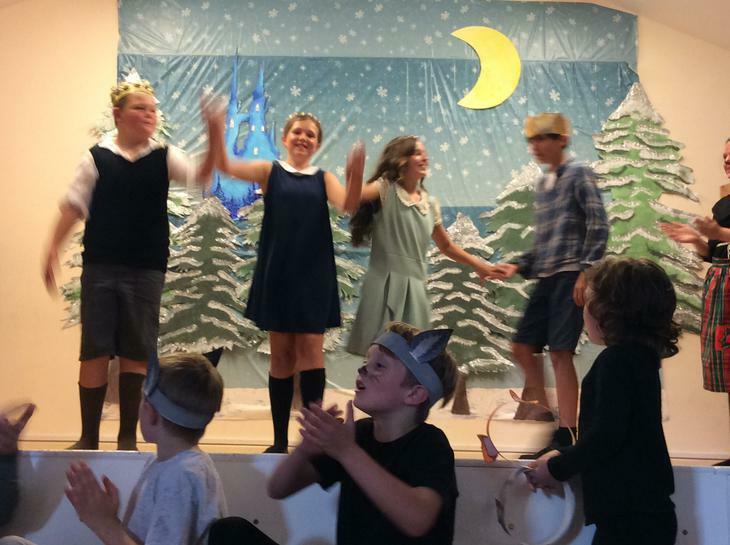 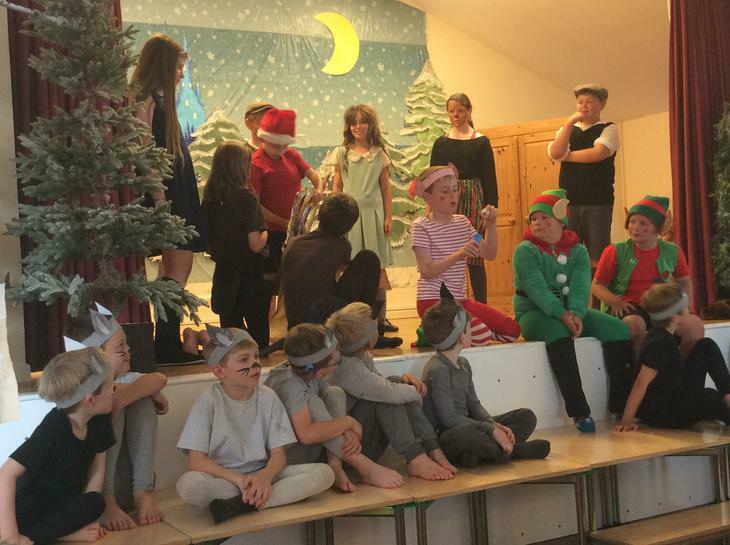 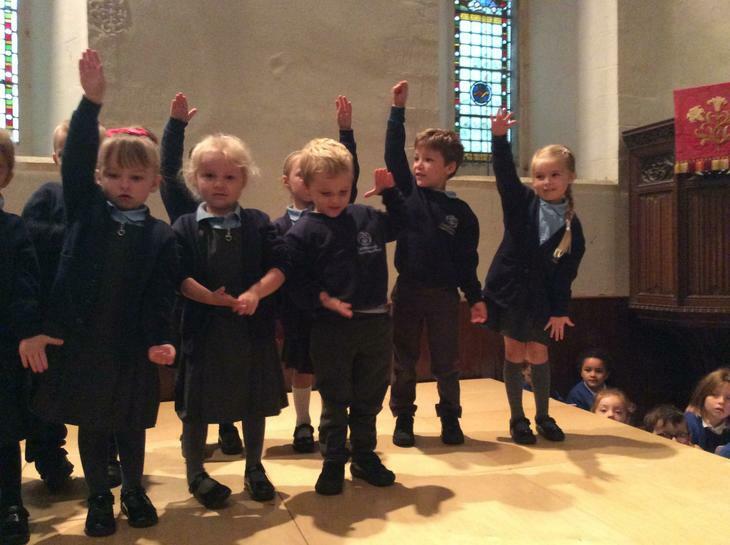 We look forward to seeing the performance at the end of next term. 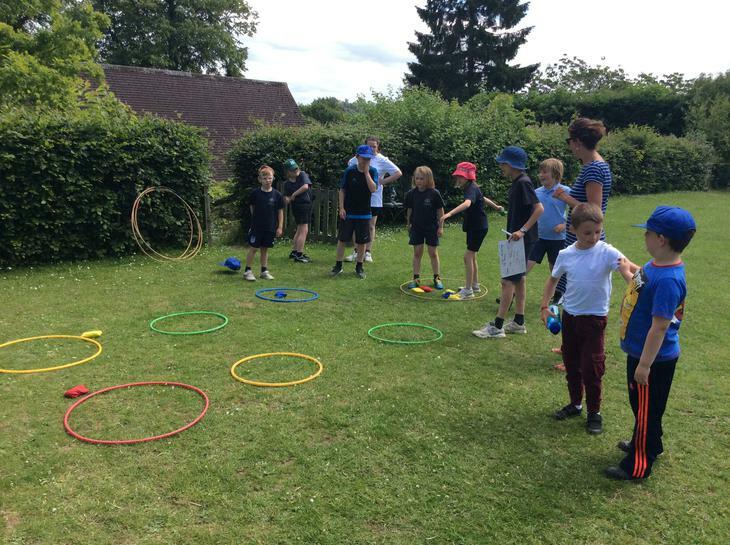 To encourage our team-work skills, all school children were divided into their house teams for an afternoon of a mini-games tournament. 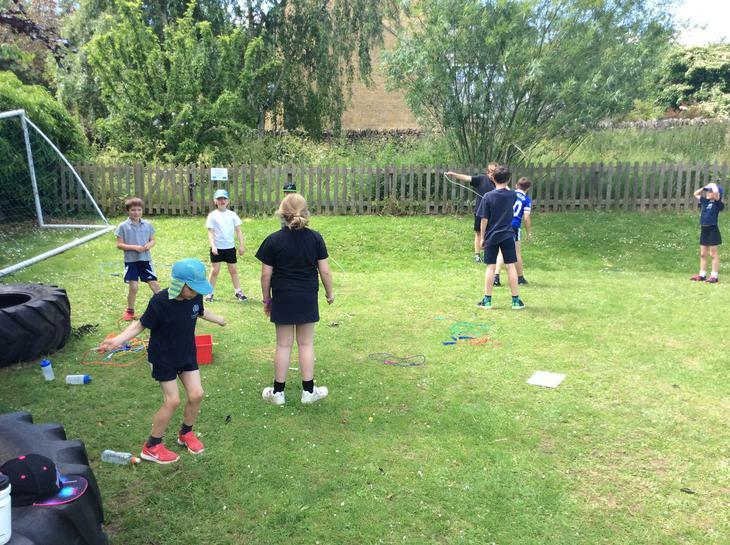 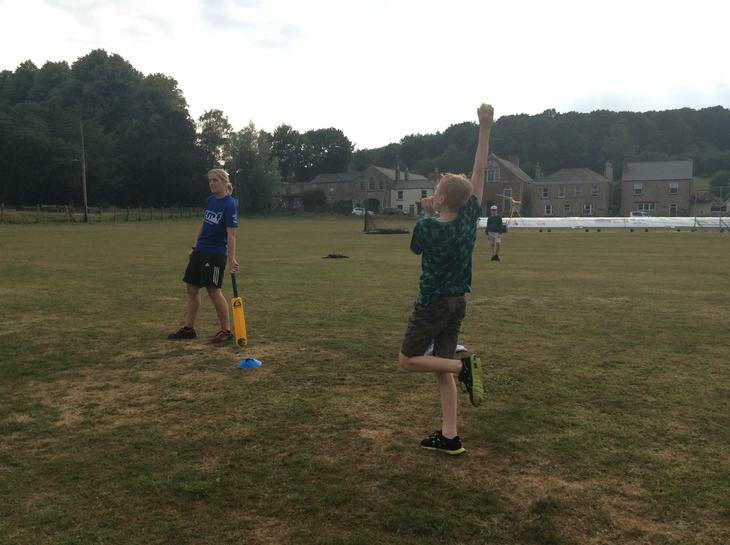 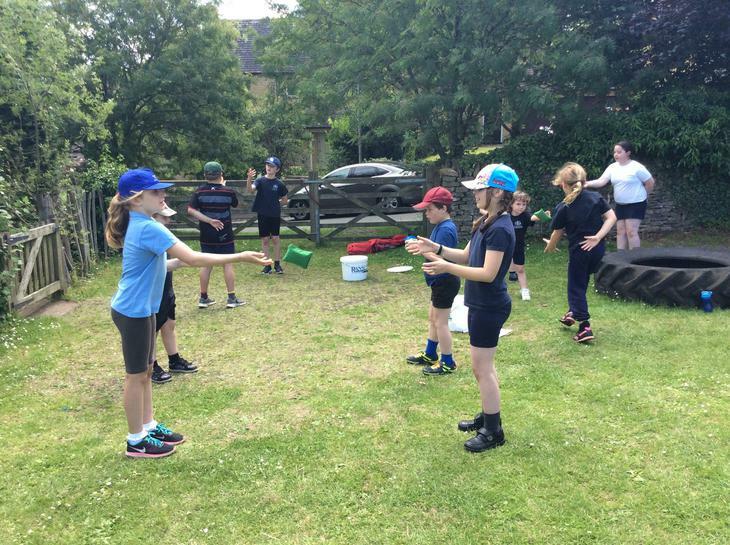 Precision throwing, catching, dribbling, speed skipping, along with team-work, perseverance and behaviour were all rewarded with house-points. 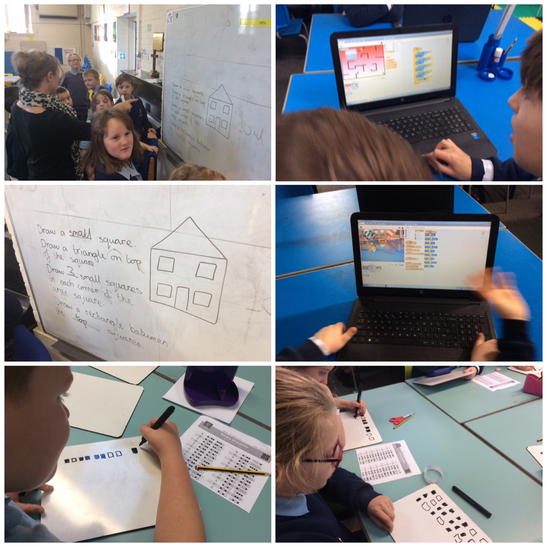 Not to mention the fabulous mental maths going on to keep up with the scoring system; we have some spectacular totals this week! 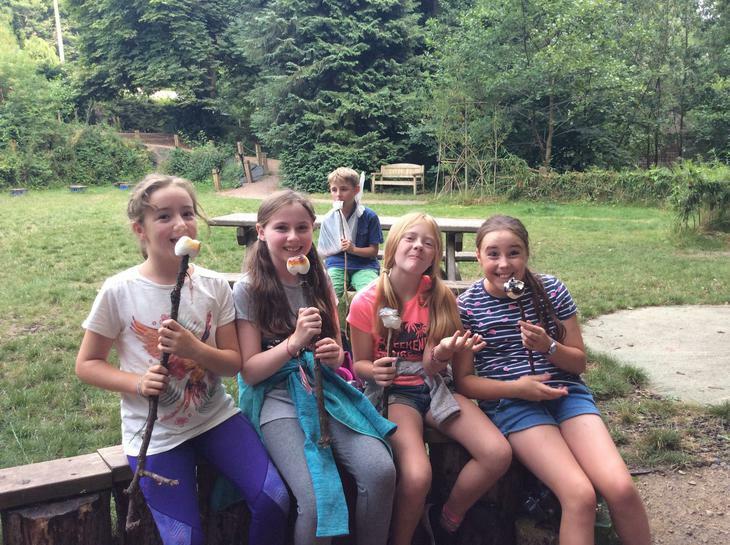 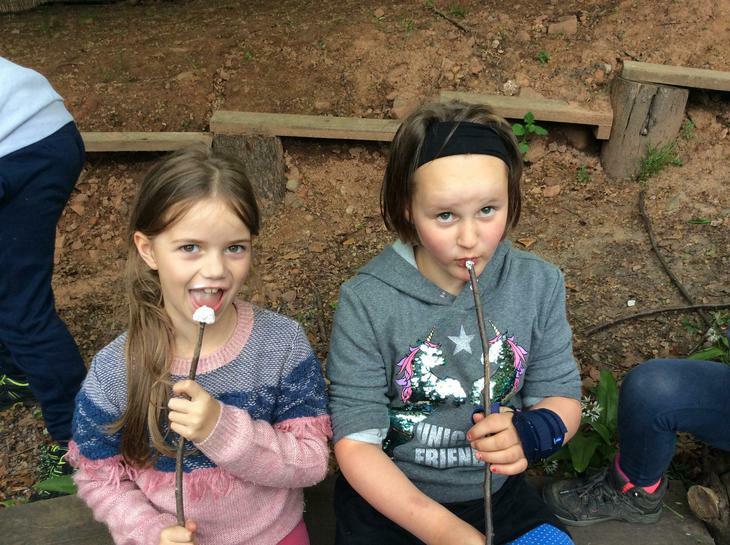 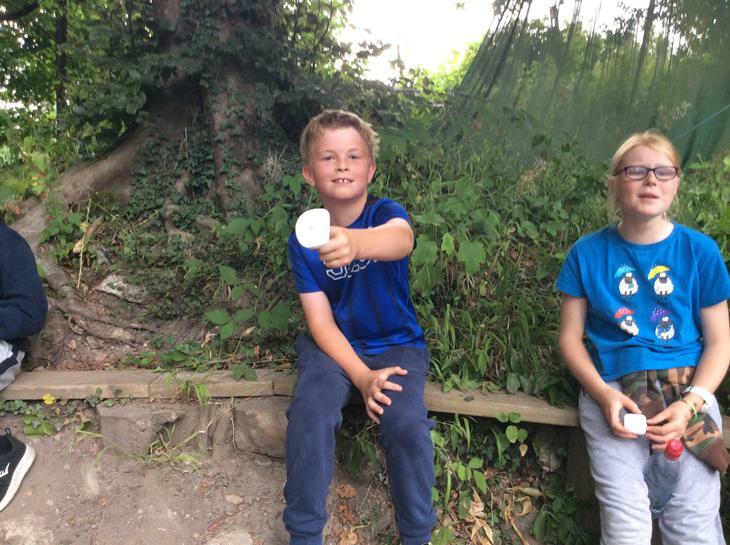 The weather was glorious and we all enjoyed an ice-lolly afterwards as a special treat for all our hard work. 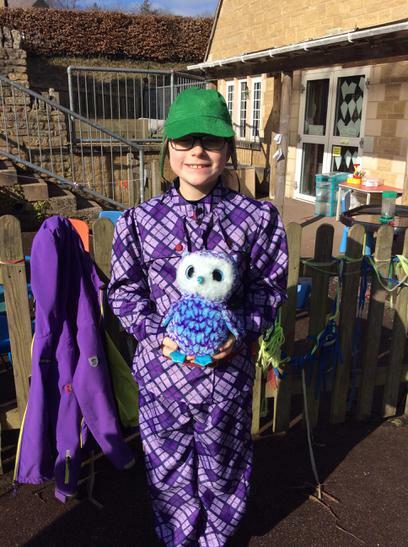 Congratulations to Windrush for being this weeks house winners. 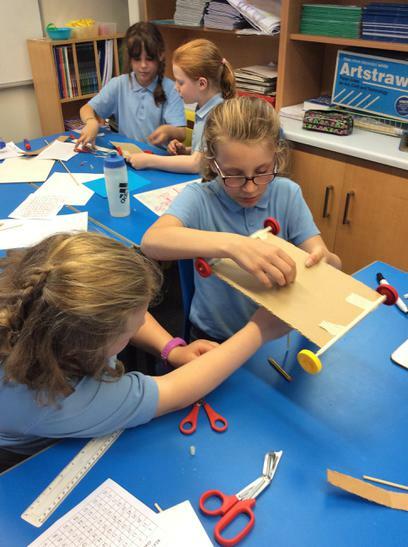 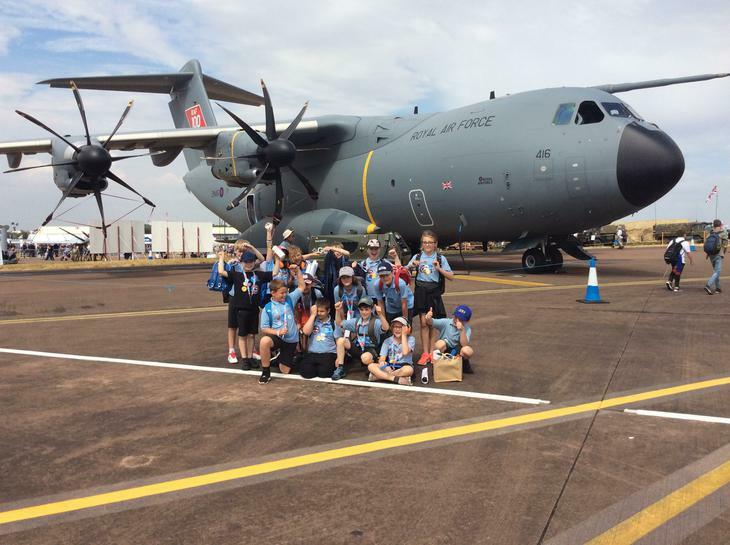 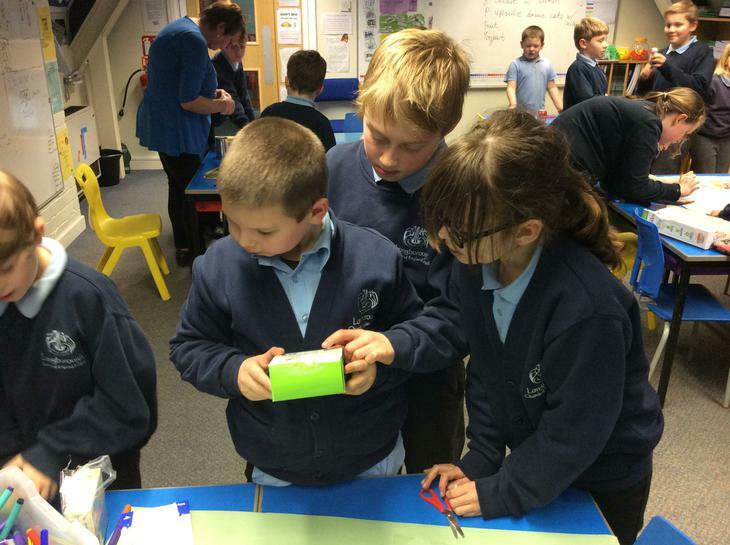 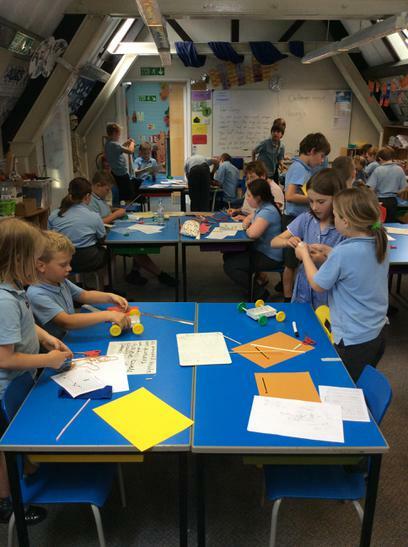 As part of the RAF Charitable trust, STEM works ran an afternoon of engineering challenges for our Class 2 children. 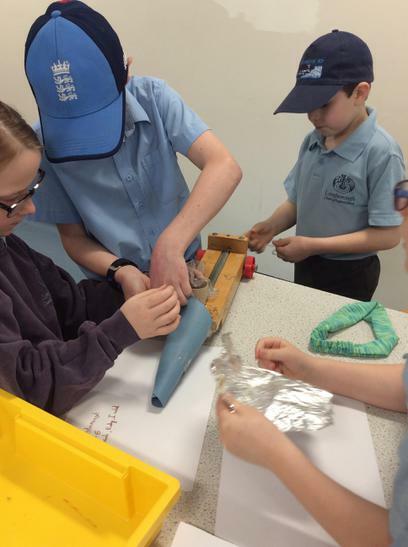 They had to design and build a 'land yacht' which would move the furthest distance in the quickest time. 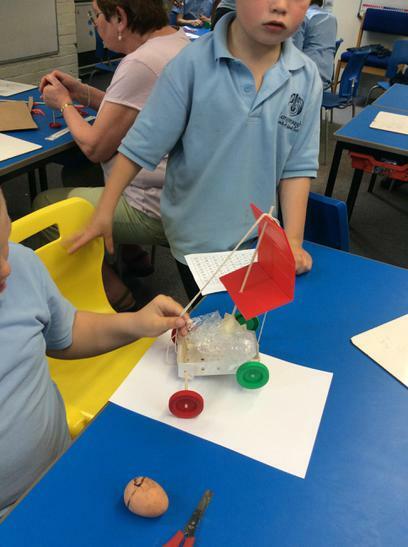 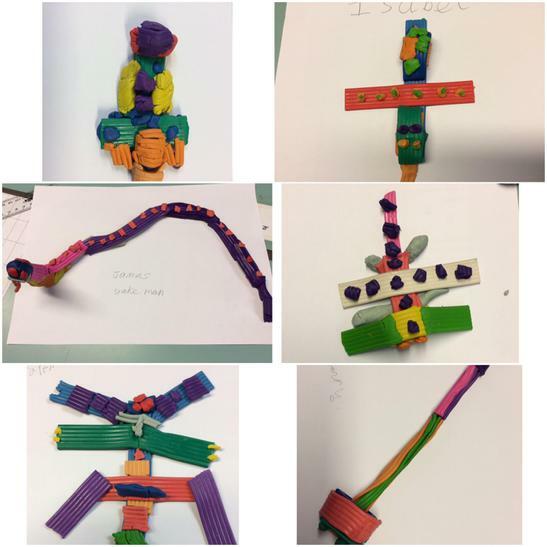 Children had to work in pairs, design, 'buy', and build their vehicle. 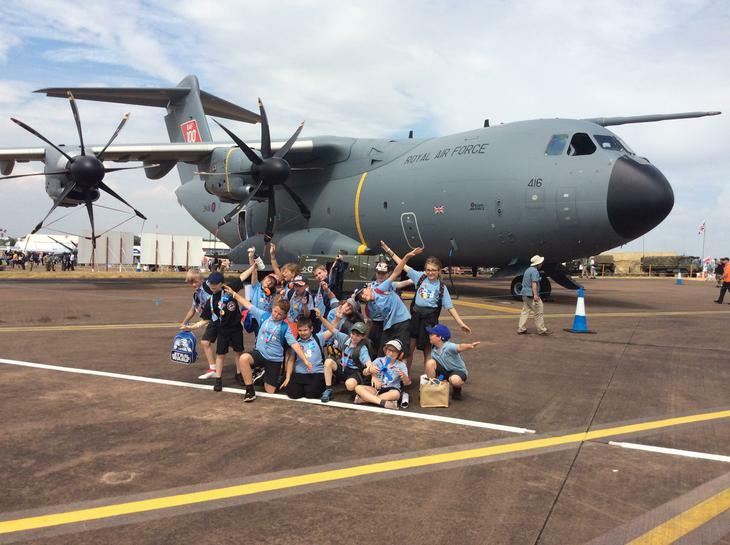 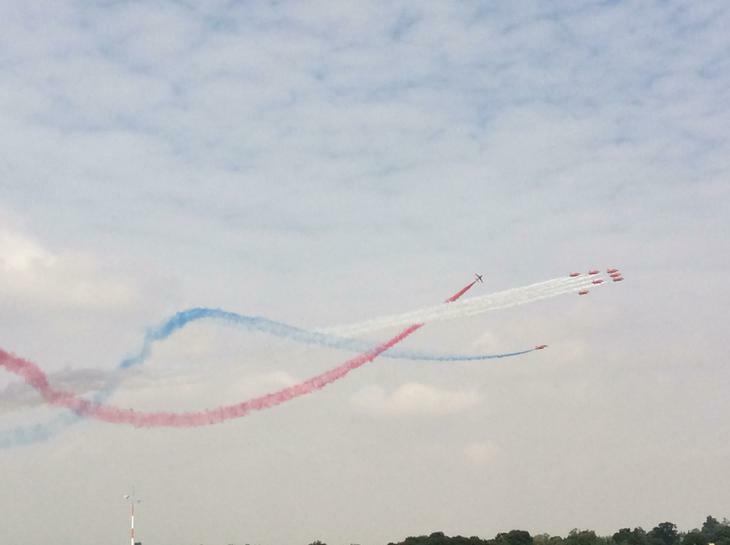 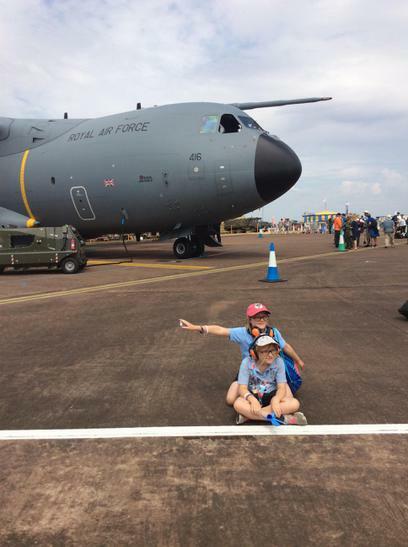 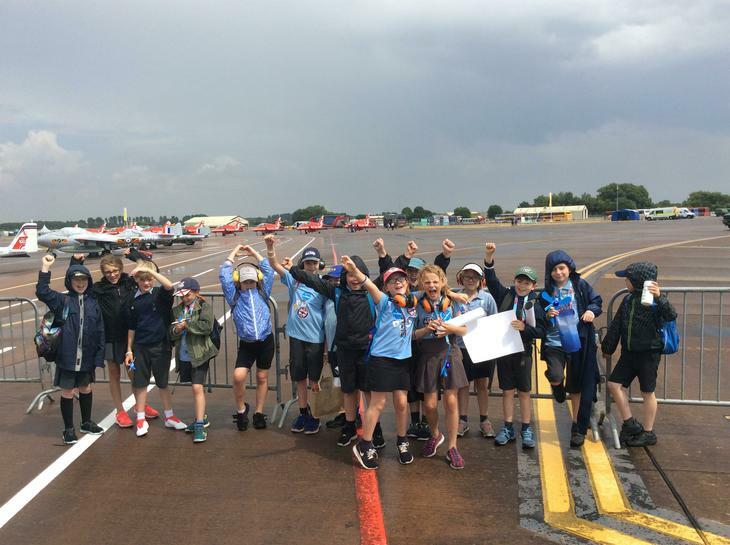 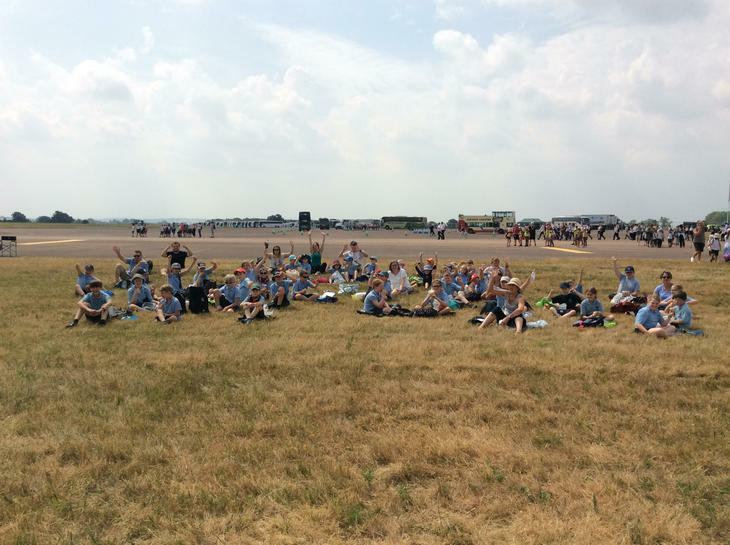 We then subjected them to testing conditions and one lucky pair have made it through to the final round which will be held as part of the Royal International Air Tattoo at RAF Fairford in July. 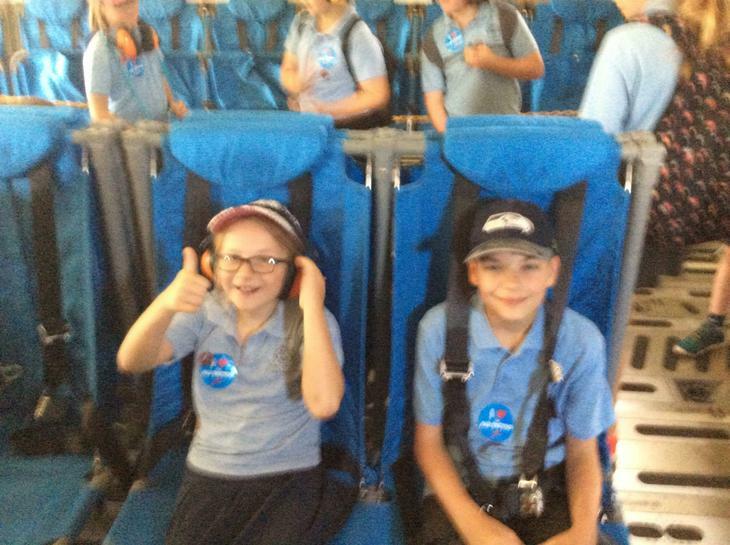 Congratulations to Dan and Jacob! 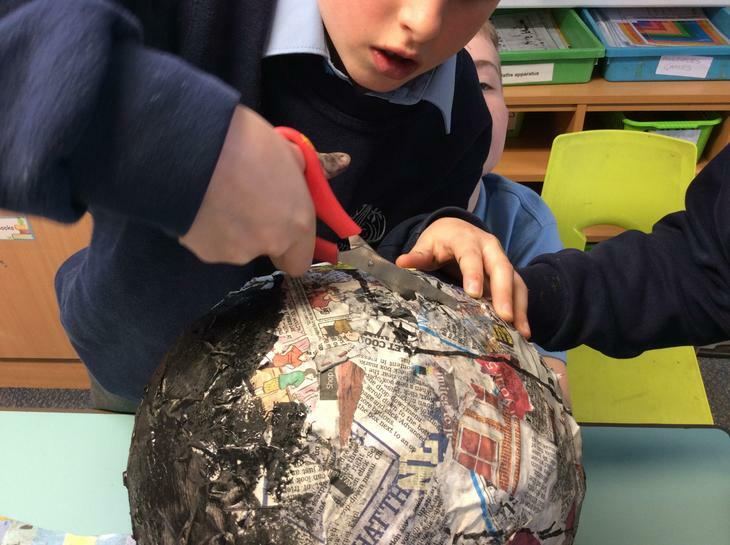 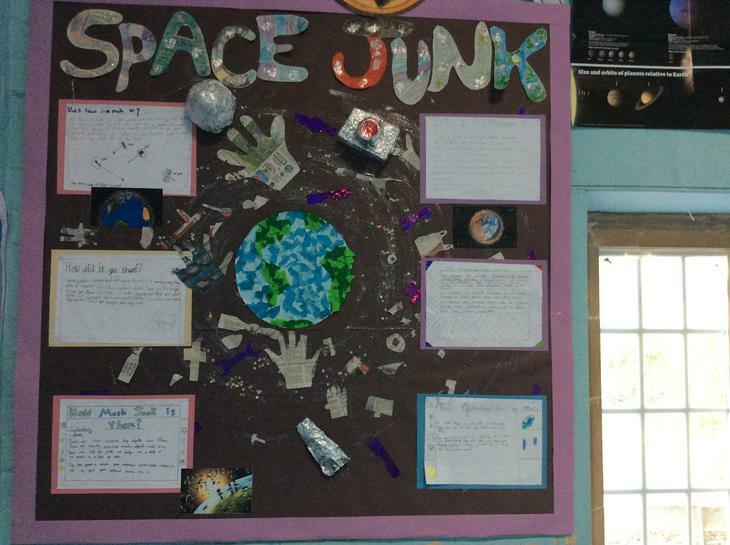 As part of our cross curricular links, to encourage children to think about being responsible citizens and our role on the planet, we undertook some research into 'space junk'. 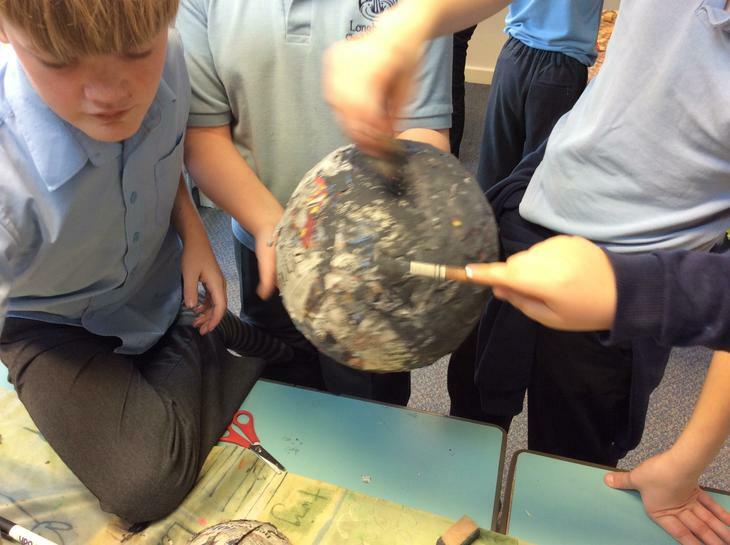 Children discovered there are millions of objects orbiting around our planet, ranging in size from 1 mm to 10metres, all as redundant 'waste'. 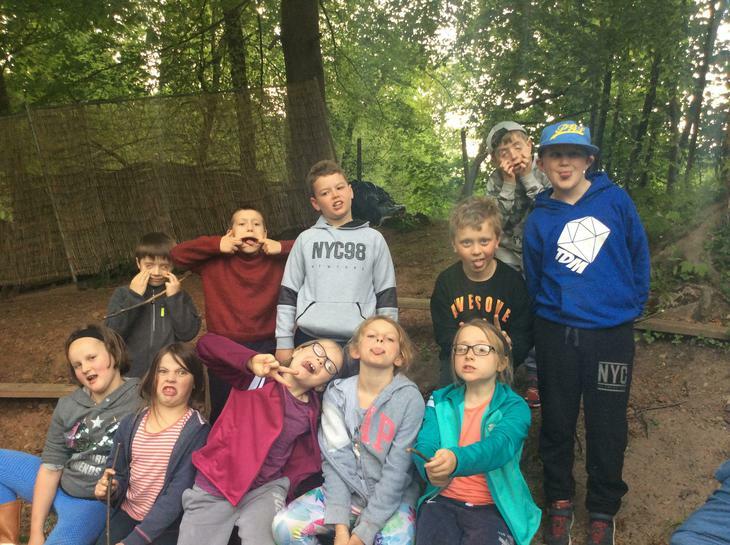 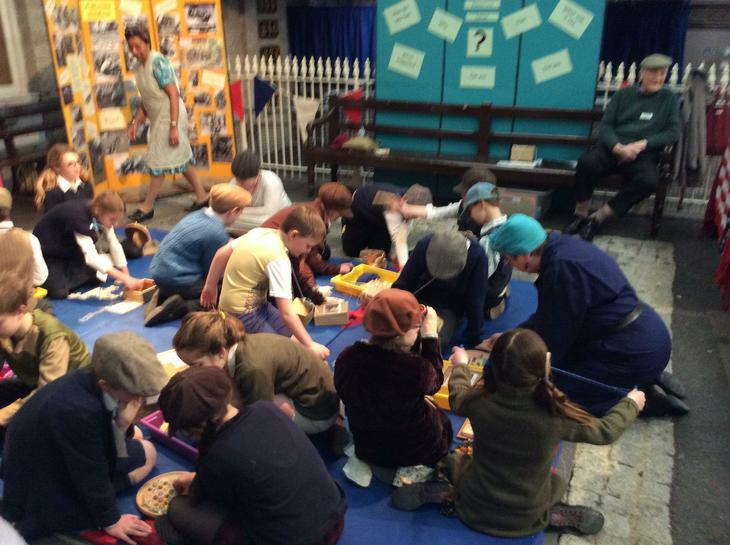 We found out there were spanners, cameras, gloves, spoons and satellites! 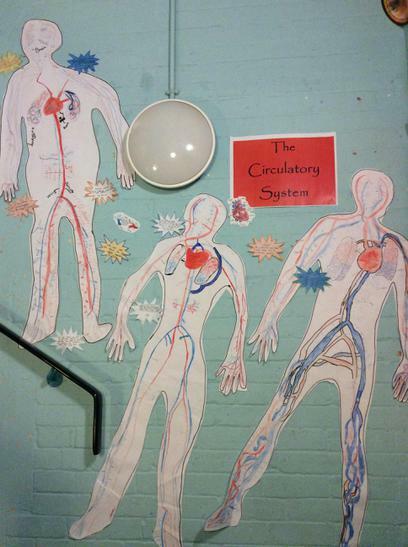 We made a group collage for display - come and see it in our stair way. 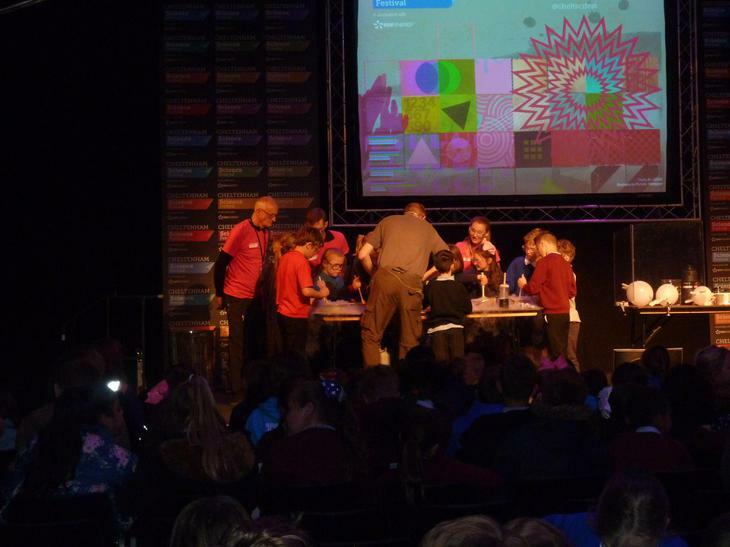 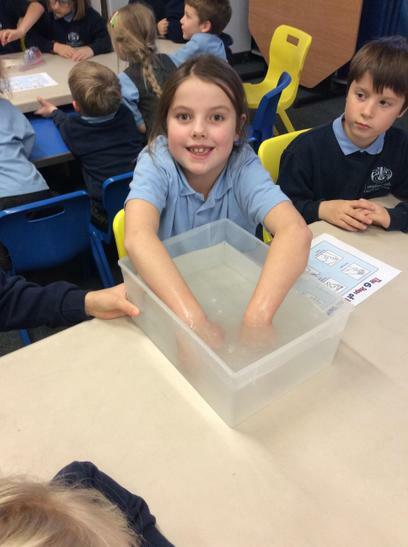 This Tuesday we visited the Cheltenham Science festival including two workshops where we learnt about sound and changes of matter. 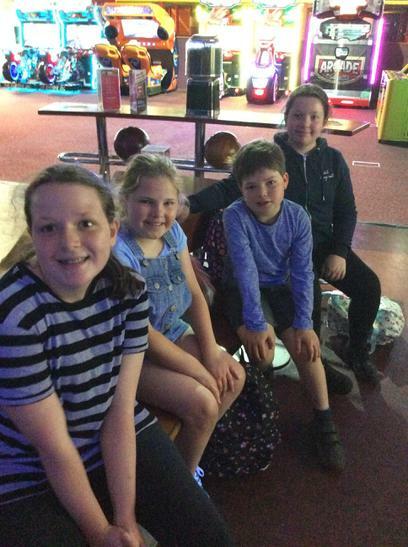 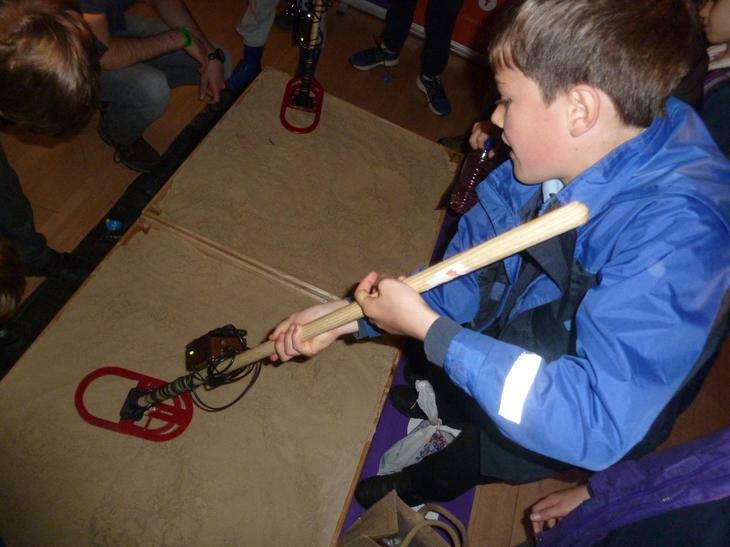 The children also got to take part in many activities on the show floor including using a metal detector and testing our reaction time (not to mention sampling some questionable ice-cream!). 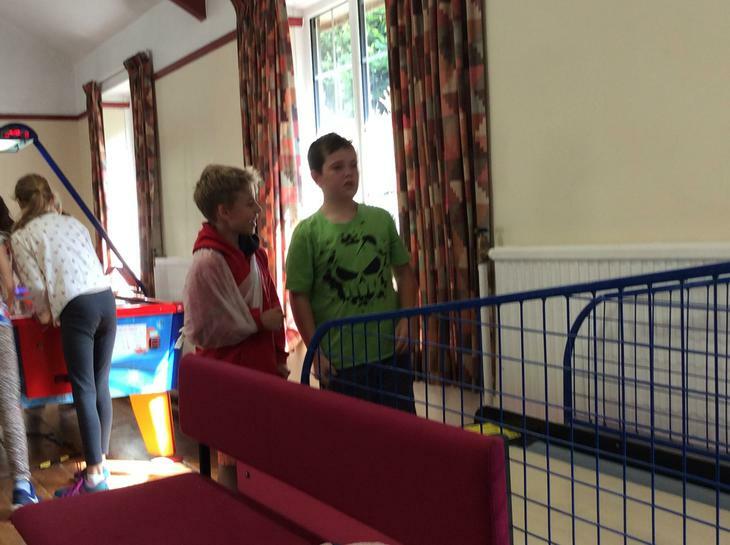 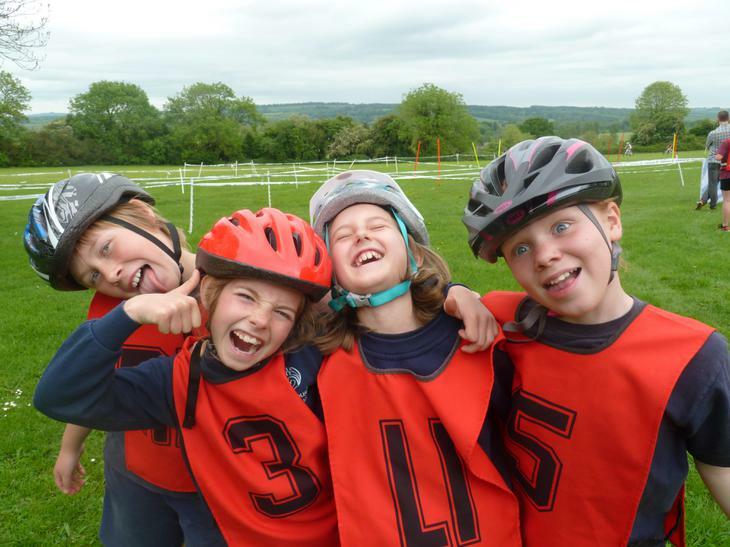 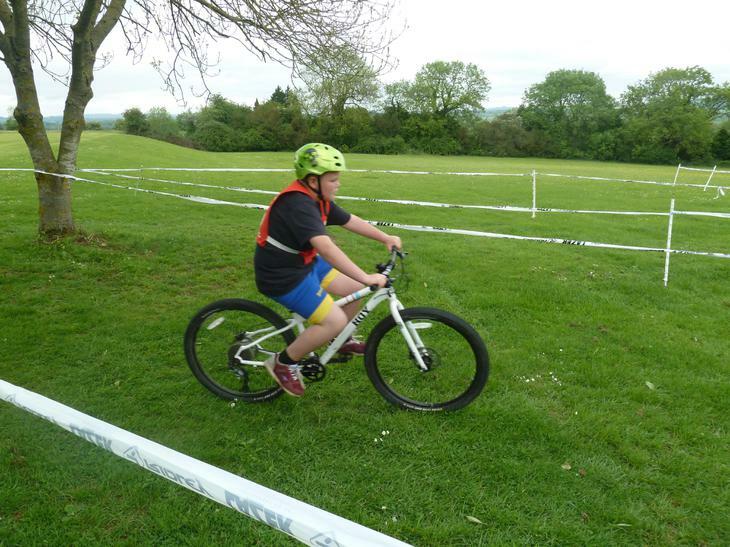 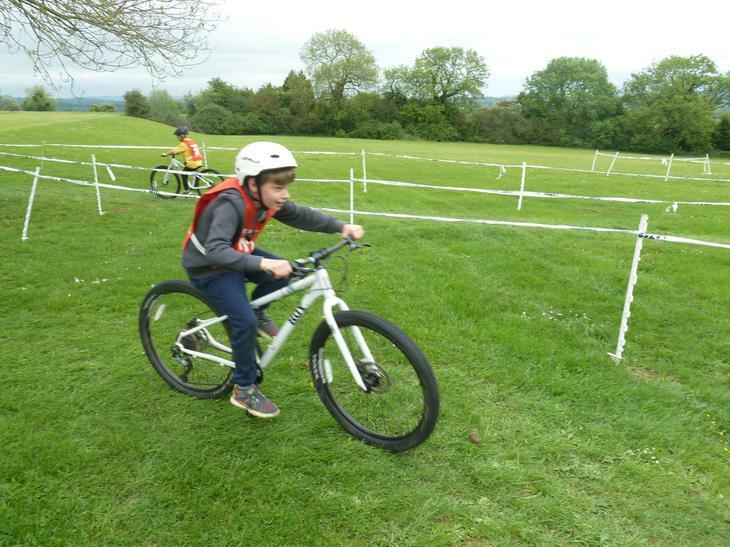 Some children from KS2 have been at a Mountain Biking competition this week. 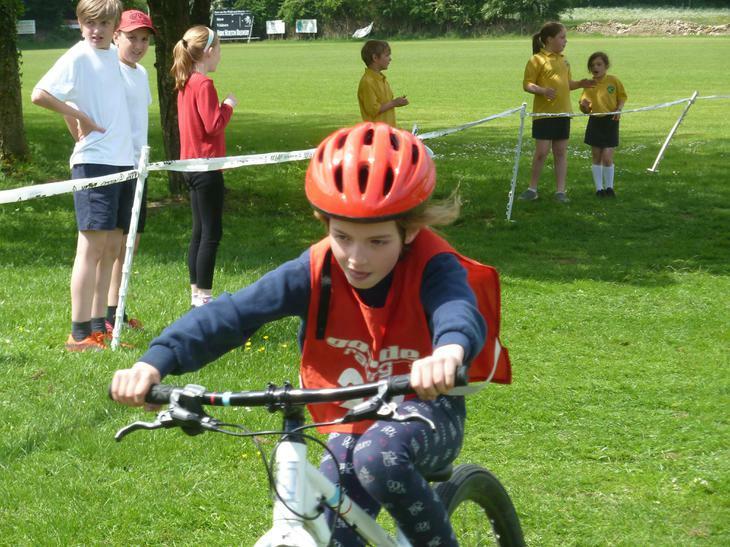 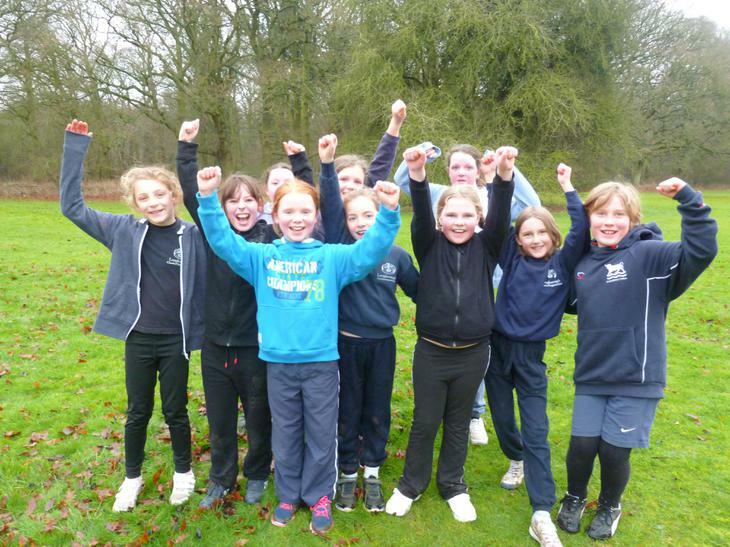 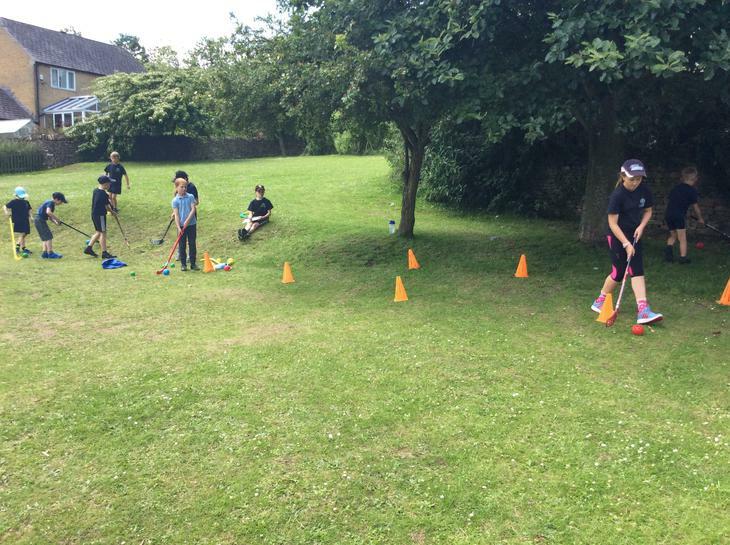 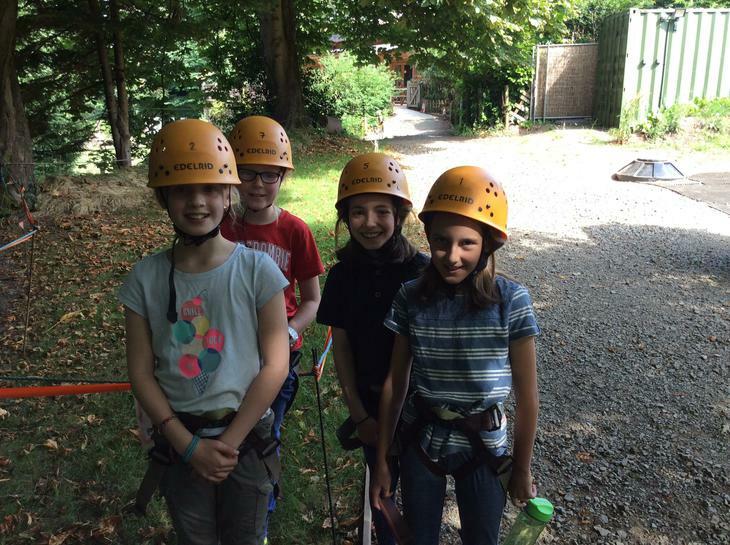 The children battled against a very challenging course and performed well in both the individual and team events. 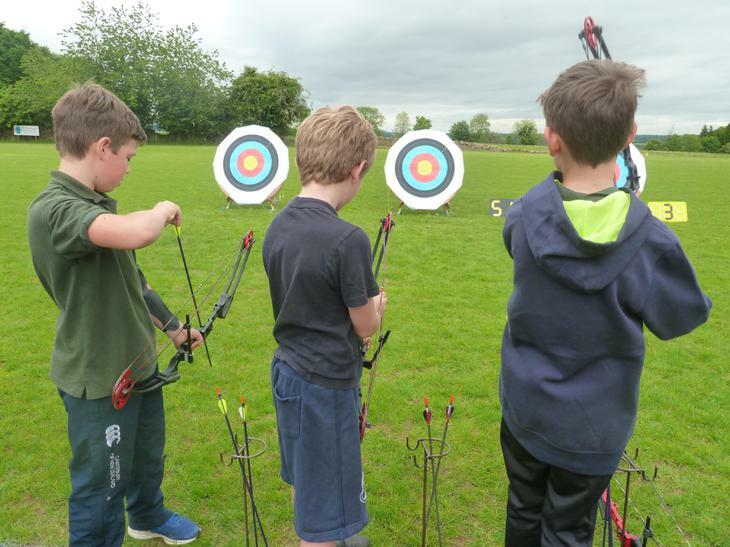 One child teamed up with Cold Aston to compete in the Archery competition and managed to win the bronze medal! 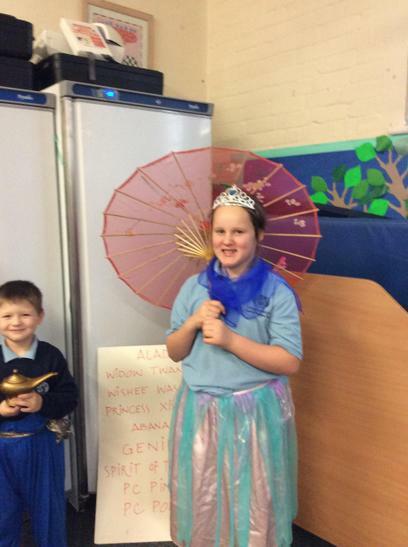 In History we have been looking at what makes a good monarch. 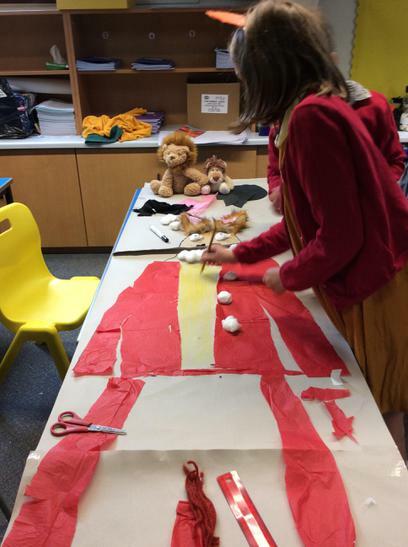 We looked at the role and responsibilities of a king of queen and the objects they have to show their prestige. 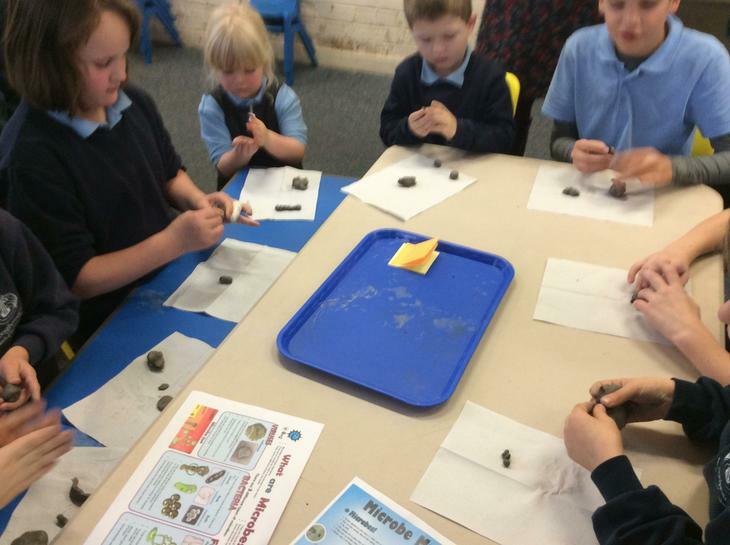 We reenacted how monarchs would have used these objects and how it makes them look in the public eye. 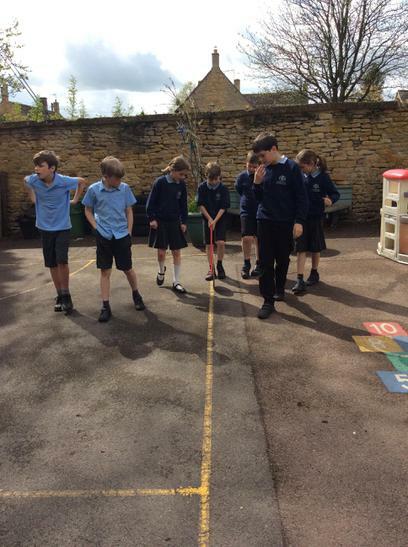 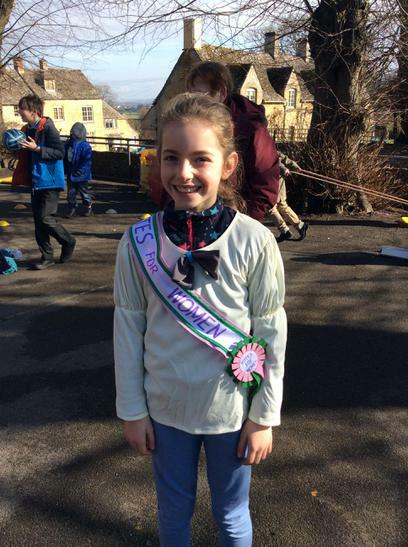 We have been learning about the Cotswold Olimpicks. 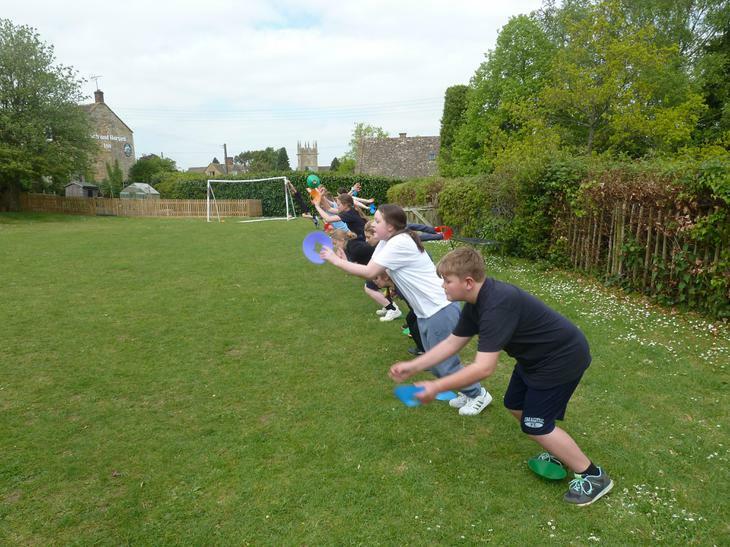 Last week we looked at the history of the event and all the sports people used to take part in. 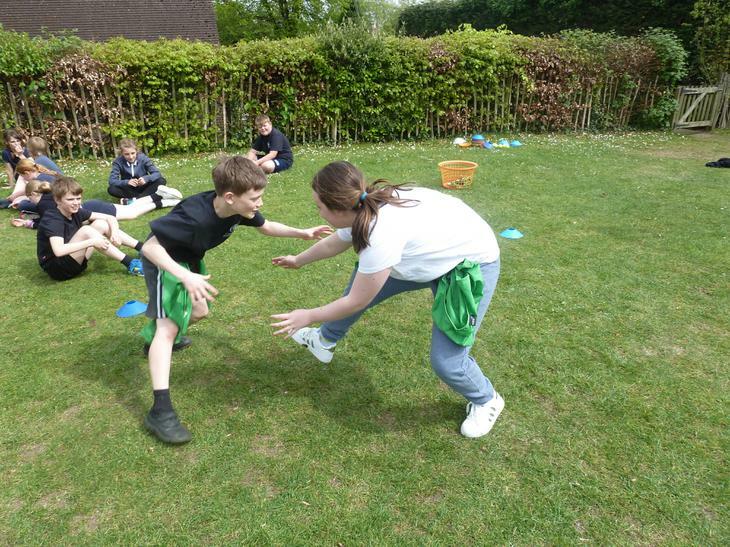 The games have changed a fair bit since then! 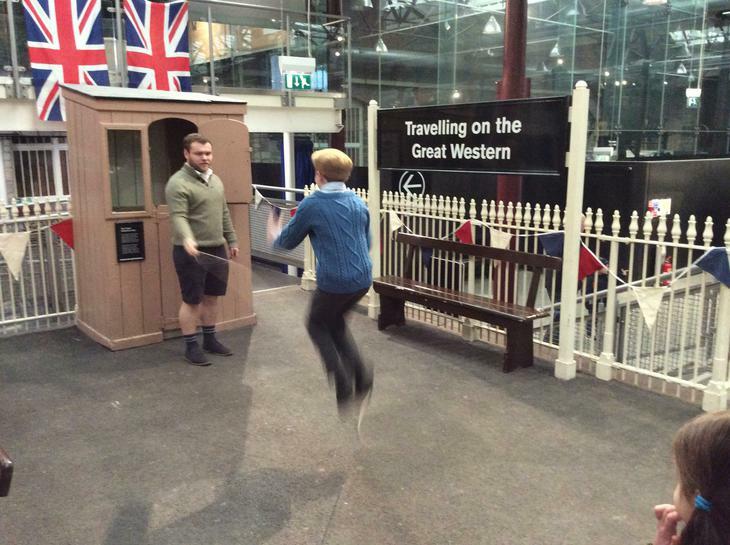 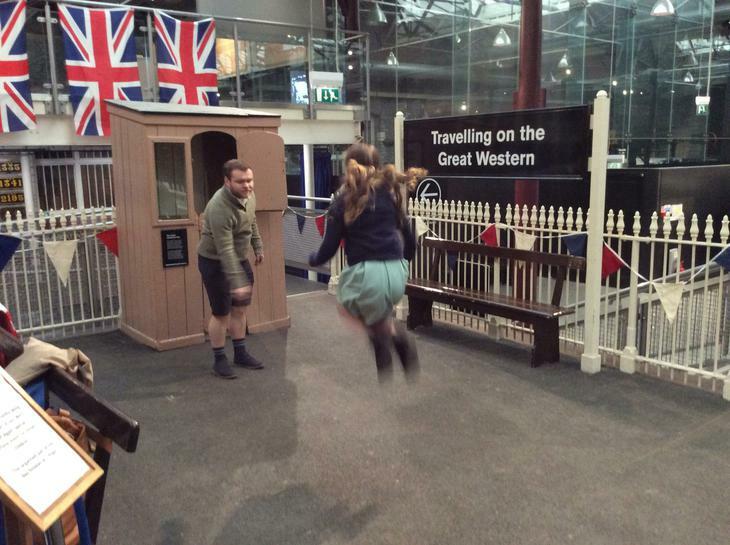 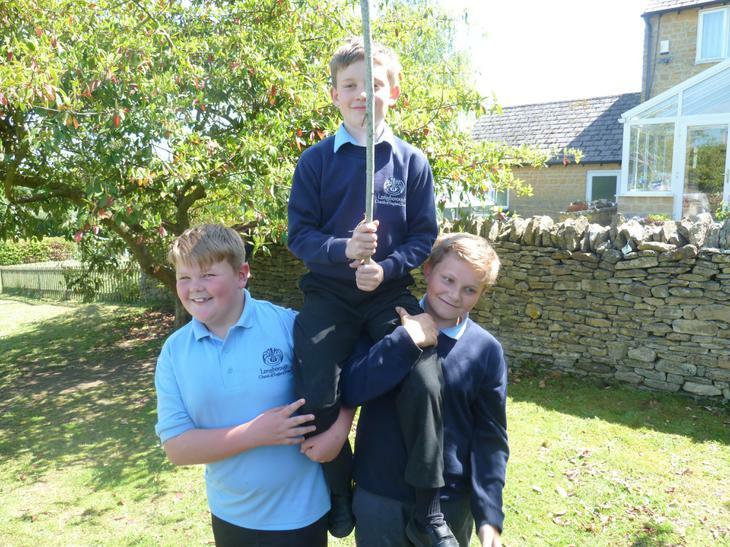 We then bought the Cotswold Olimpicks to Longborough with our very own version of the events! 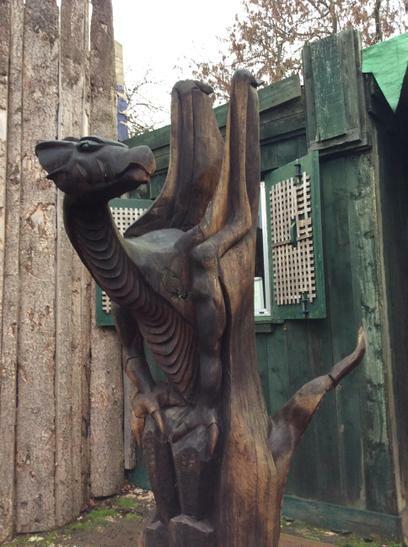 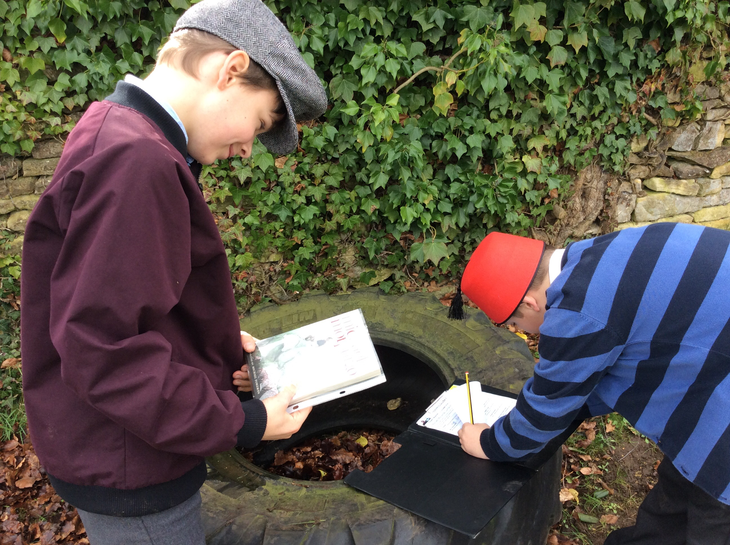 As a group we have been busily exploring Myths and legends and all their mystery. 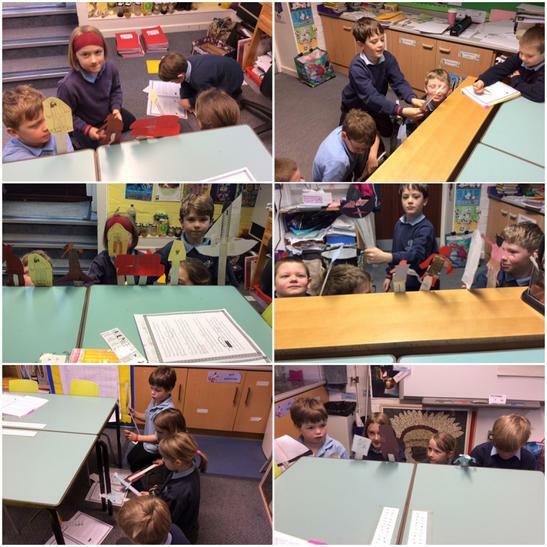 Children have been re-telling stories (using hand made puppets) such as: Theseus and the Minotaur; The Glass Knight and Thor and his magic hammer. 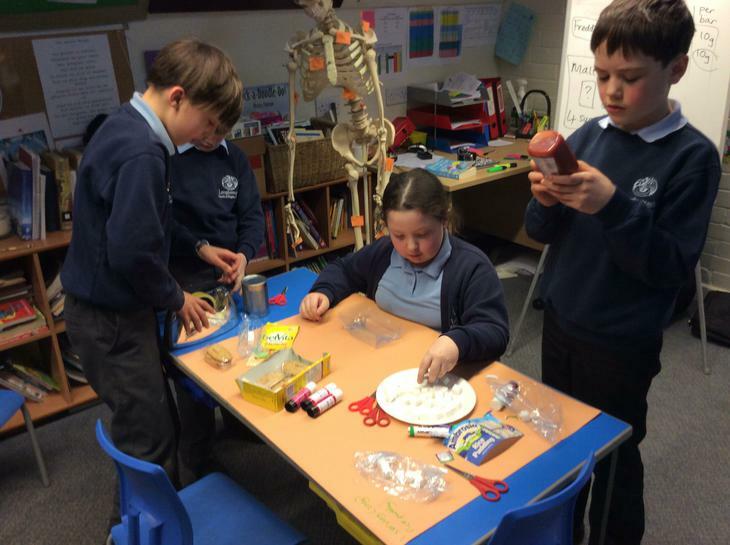 Children then made their own monster out of play-dough. 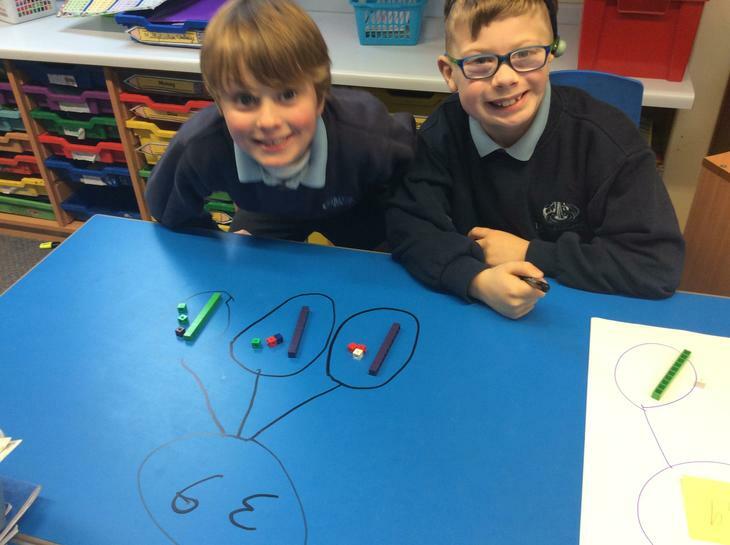 to help them describe it in their own literacy books. 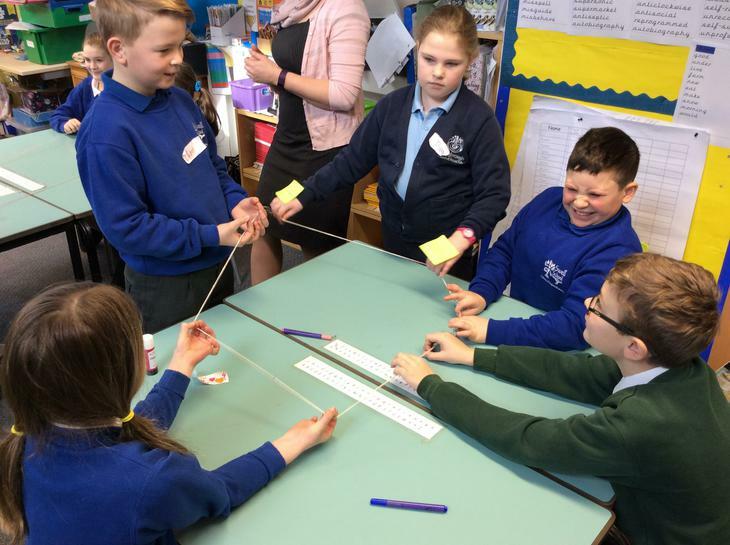 We travelled as a federation to St Catherine's Catholic Primary School to take part in a Parliament assembly and workshop. 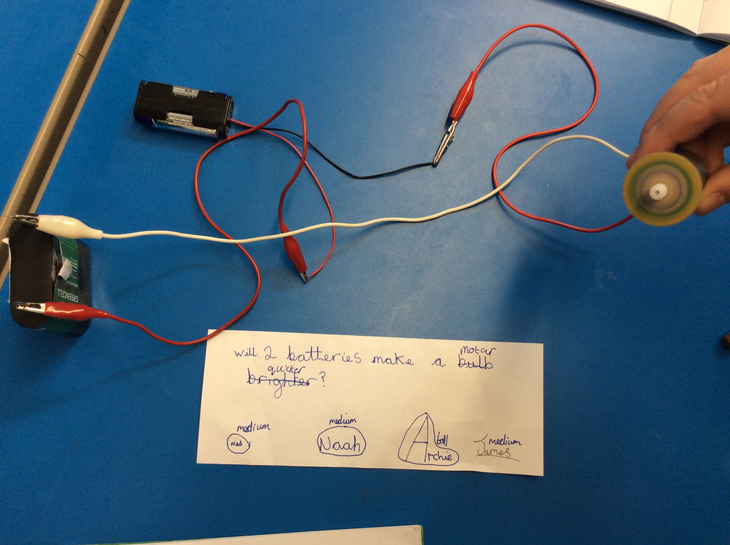 The children learnt about how bills can become laws in the United Kingdom and who is involved in this process. 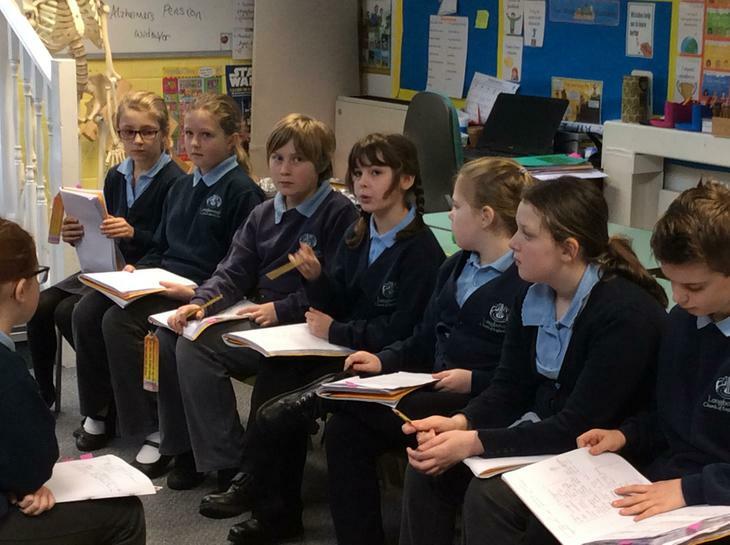 We then made our own decisions on some proposed bills. 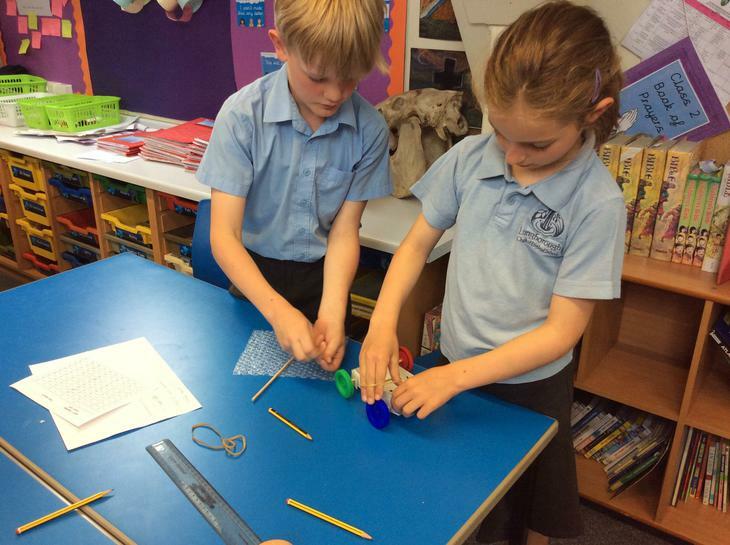 We had to think very carefully about what was being proposed to us and dissect it's true meaning. 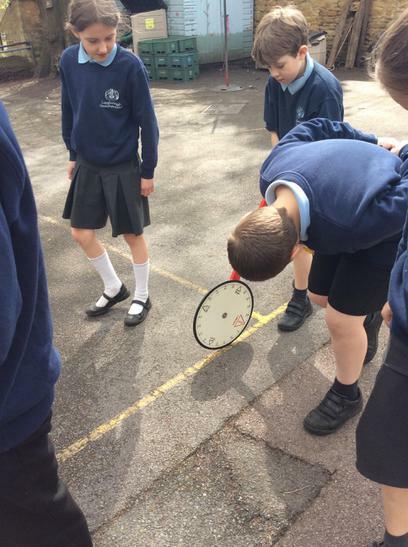 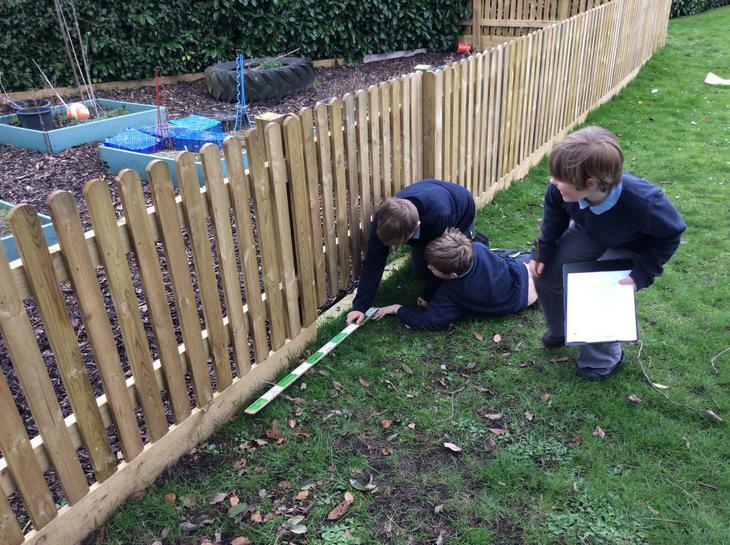 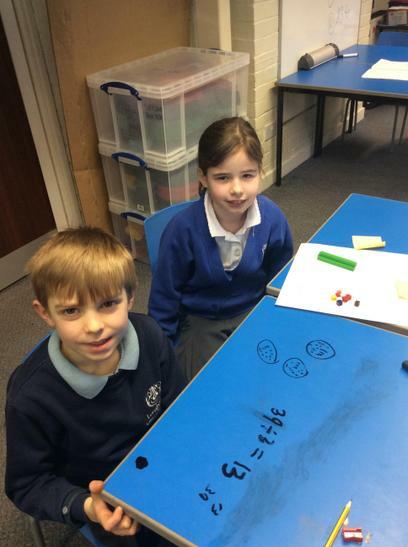 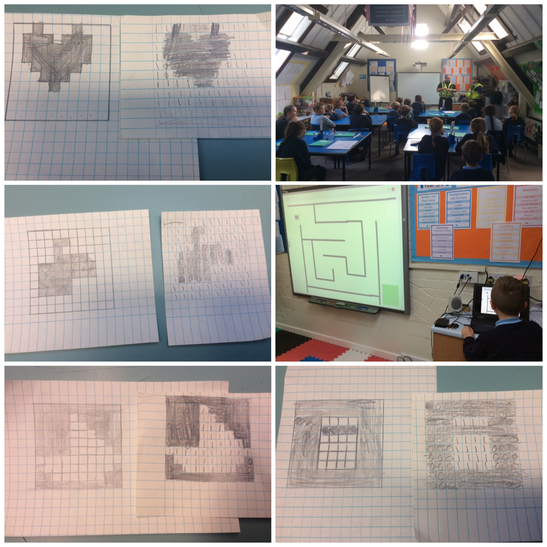 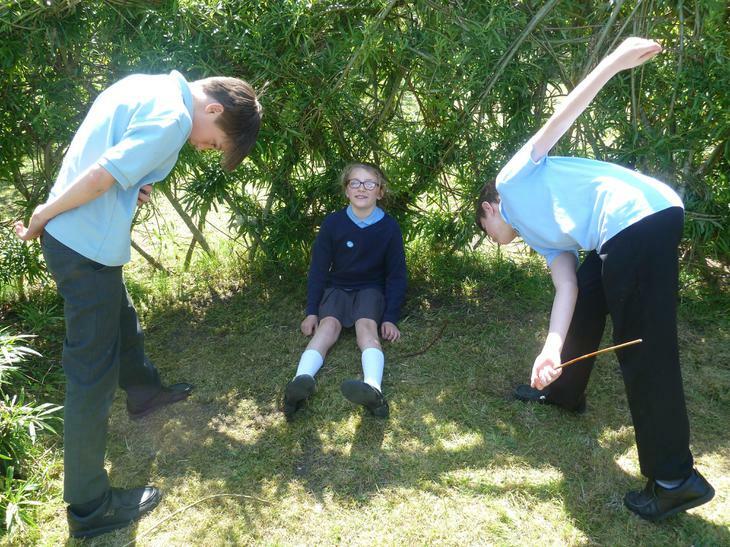 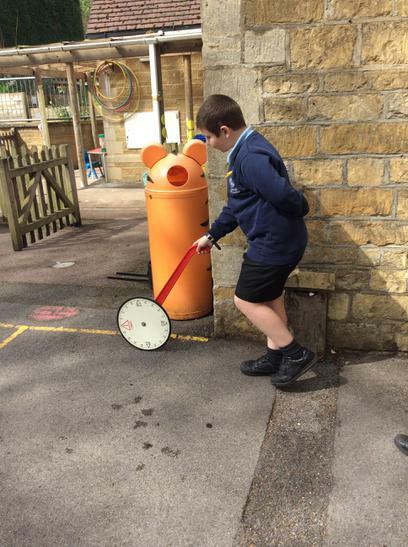 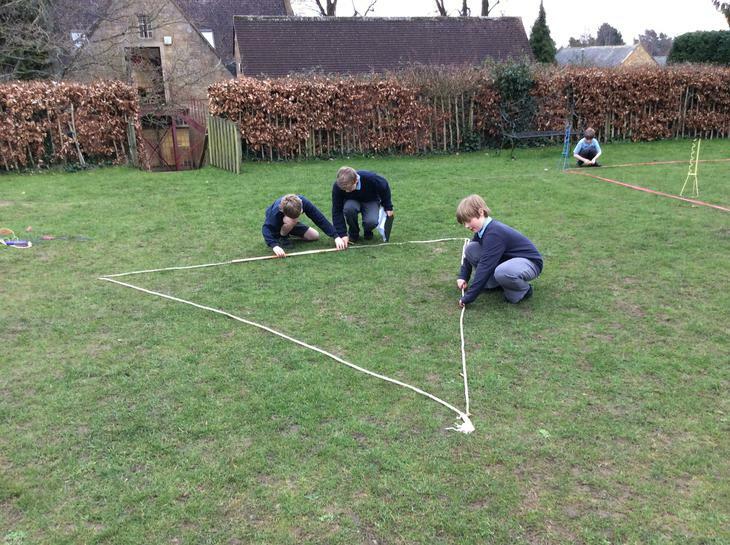 The children had to cope with some interesting challenges focussing on area, perimeter and circumference. 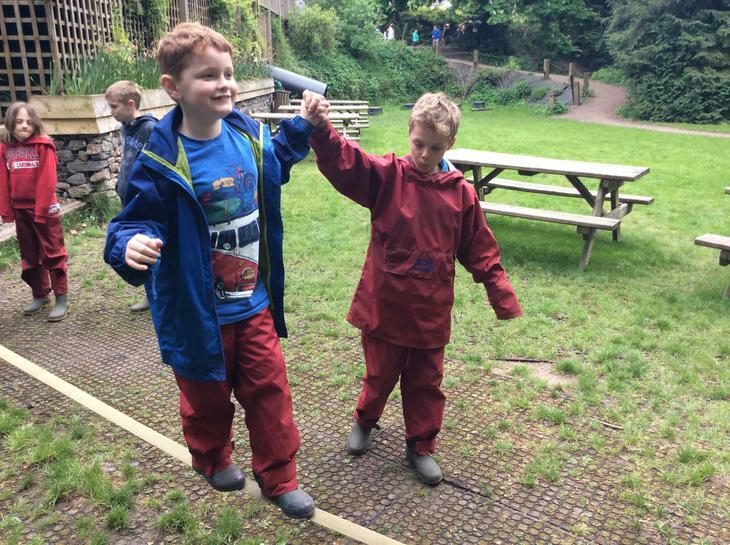 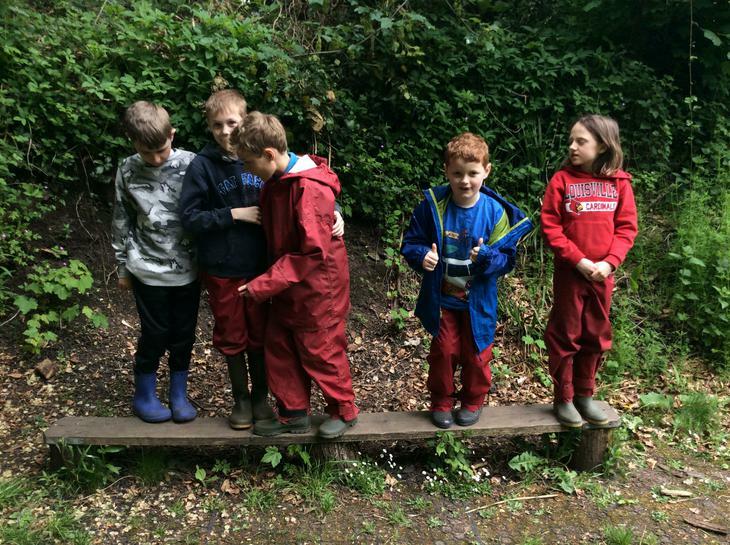 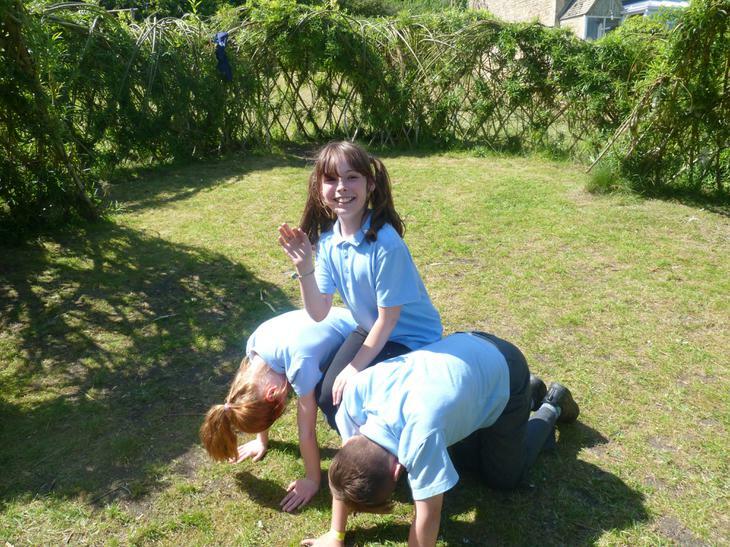 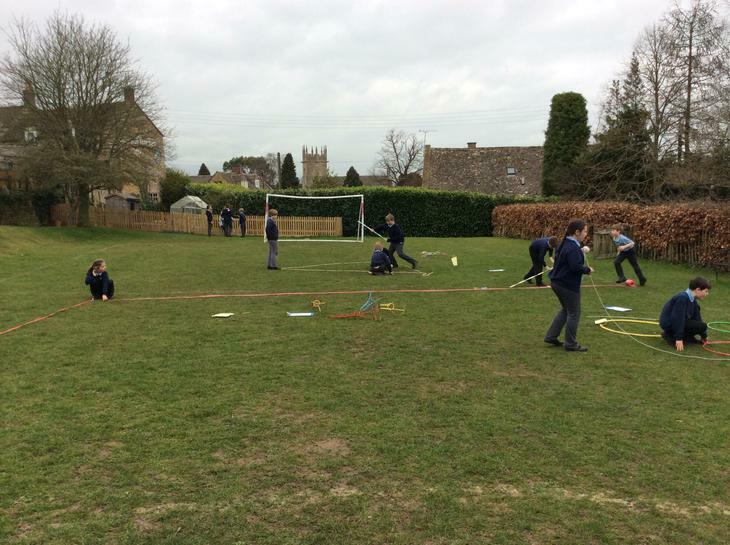 We set up tasks based around the school field site to really test their team work skills! 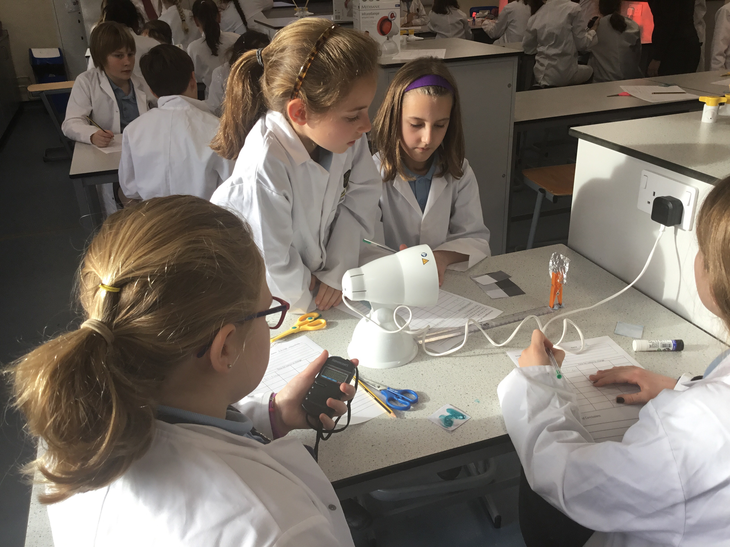 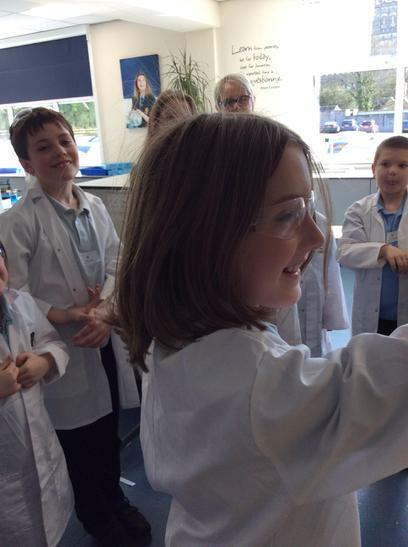 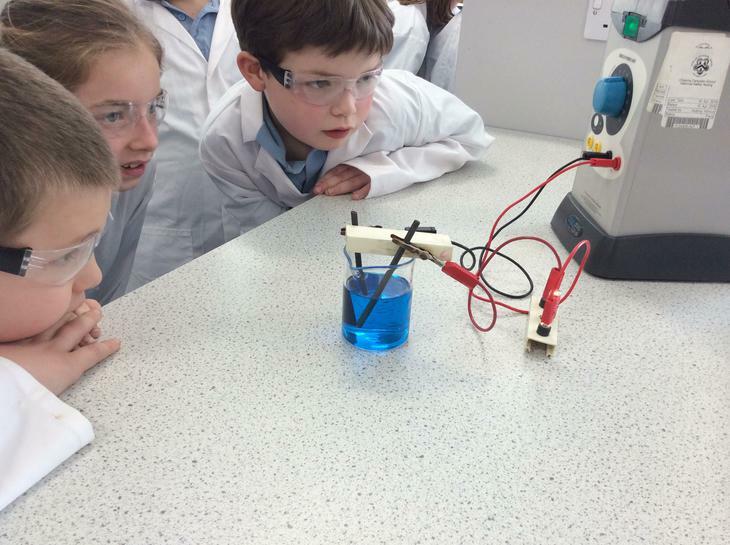 Our keen year 3 and year 4 students made the most of our excellent links with Chipping Campden School on an afternoon out to explore Electricity in their brand new laboratory. 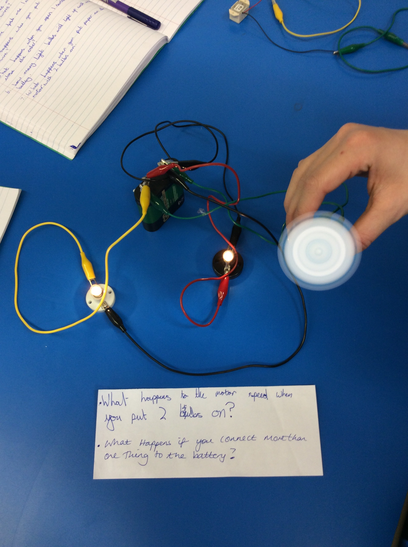 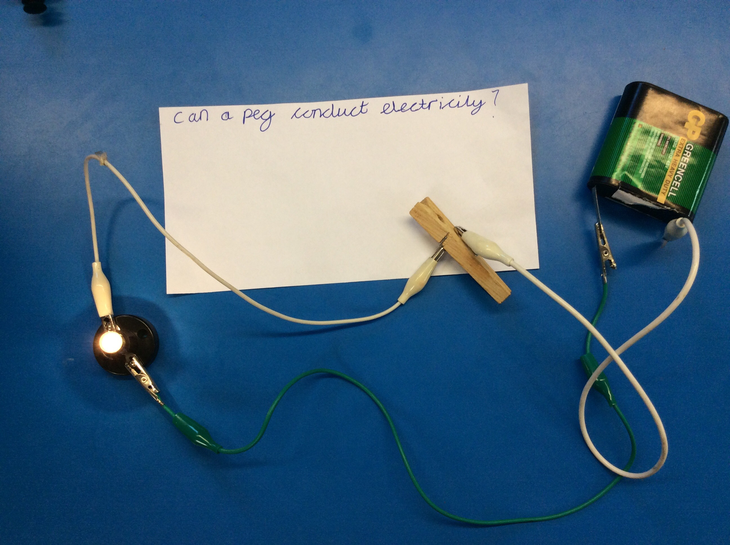 We were treated to some excellent demonstrations of the power of static electricity, tested conductors and insulators for ourselves, made some quiz board panels, discovered who had the best hair for static results, and investigated electro magnets and electrolysis of materials. 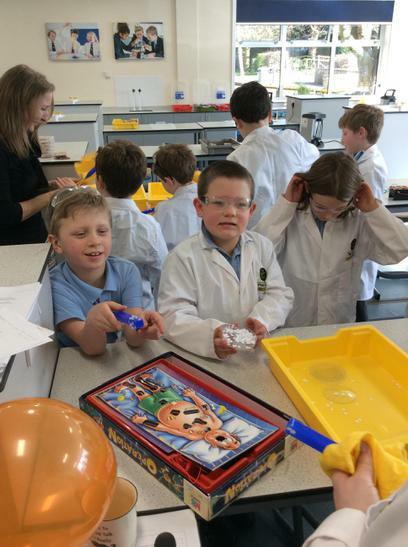 A jam packed afternoon of fun science. 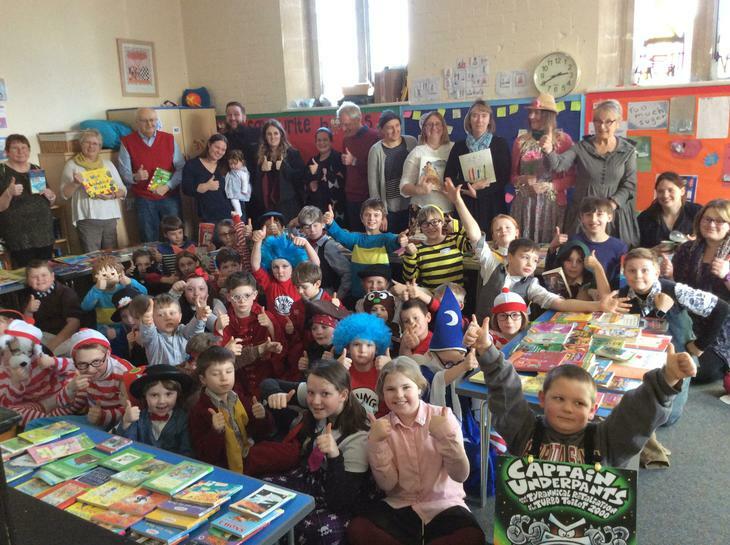 Thanks to Jackie Flaherty and her team for making us so very welcome. 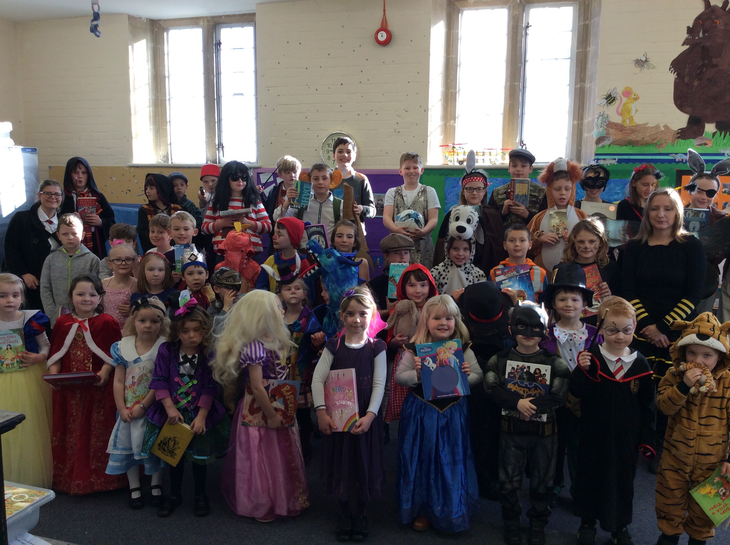 As usual, we had a fabulous display of costumes for World Book Day, with children dressing up and bringing in their favourite book. 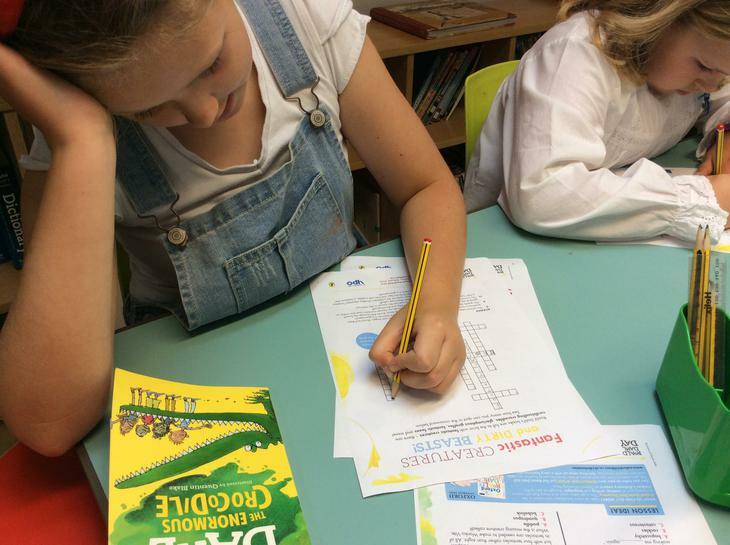 We talked about their characters and what they enjoyed about the stories, recommended friends to try and read them, and constructed their own word-search to celebrate their author / series of books. 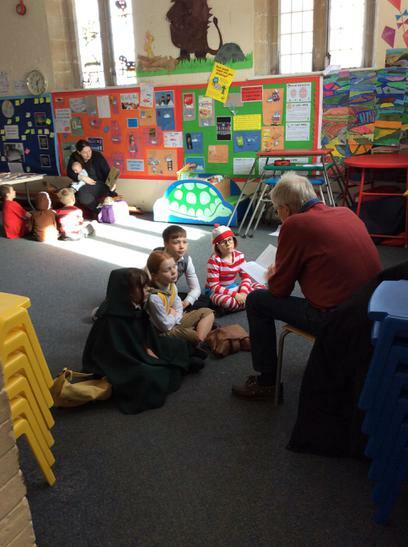 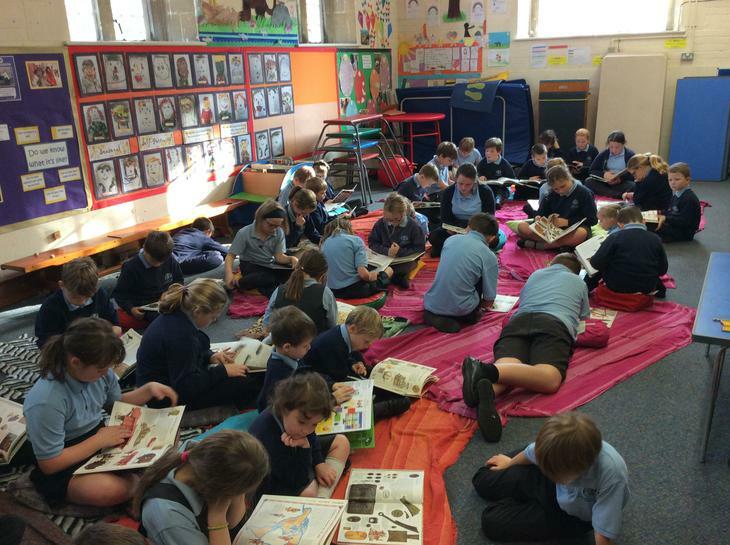 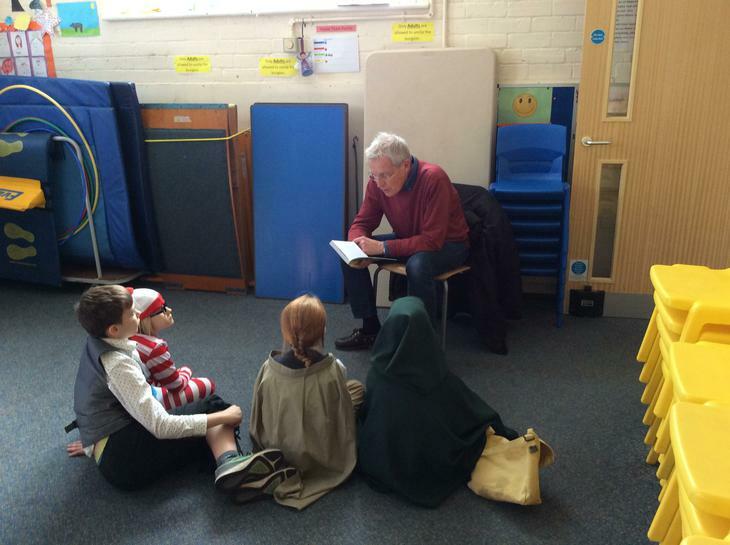 We allocated the afternoon session to run as a reading for pleasure afternoon, with community members and parents reading and sharing their favourite books with several different groups of children. 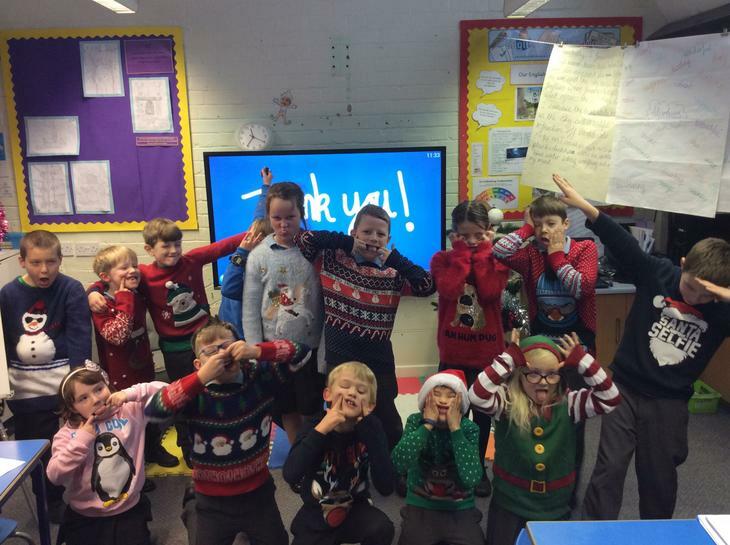 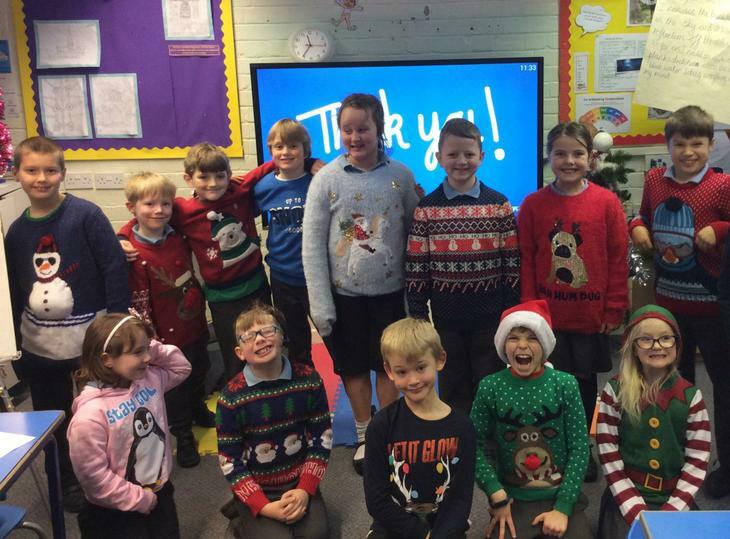 We thank you all for donating your time to come into school, it was a fabulous afternoon and such great fun. 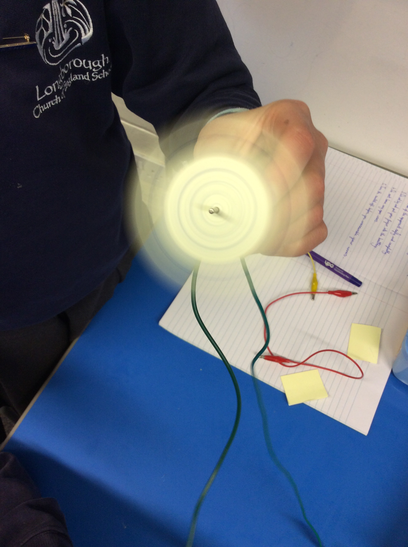 Longborough hosted our second NCSF Science day, with year 5 and 6 children from all schools meeting to delve deeper into all things electrical. 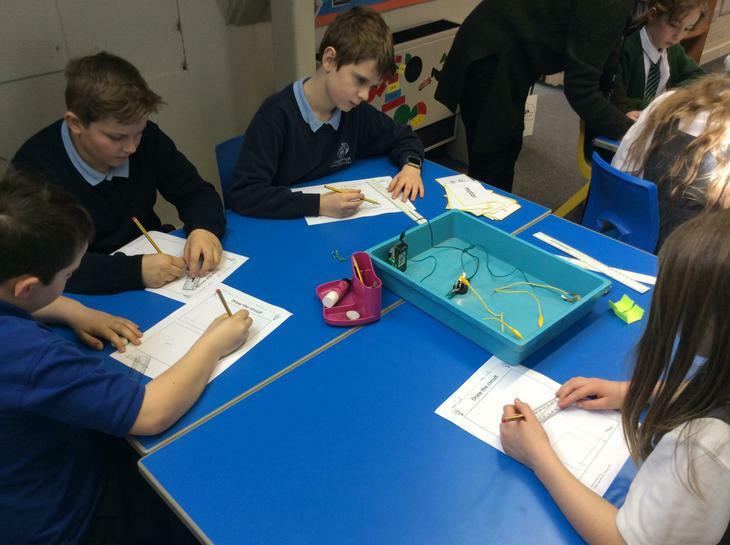 The day started with making new friends, finding out what electricity is and how it flows, followed by a series of challenges. 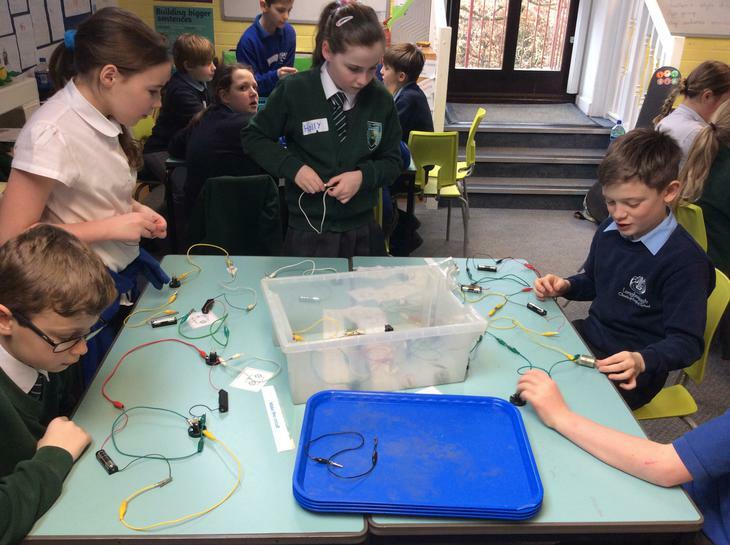 Children learnt circuit symbols; how to draw circuits and create them from diagrams; tested conductivity of a variety of objects and materials and created rules for electrical safety. 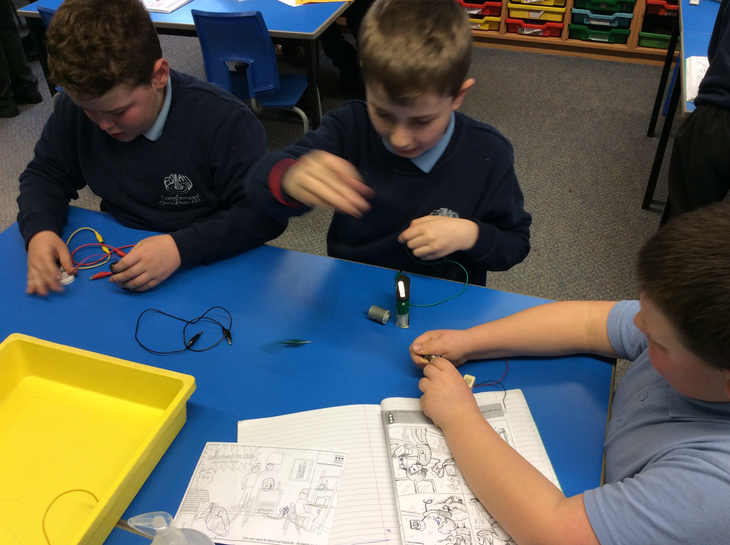 The afternoon challenge was to design, build and test an electrical gadget of their choice. 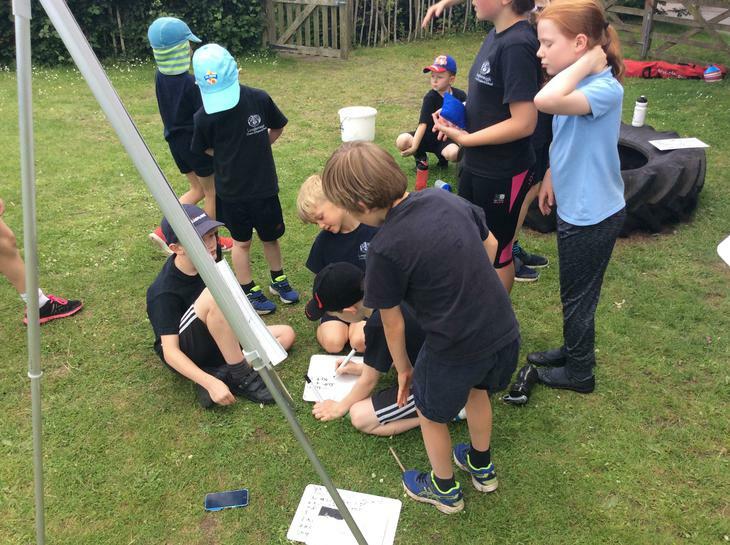 Having the same house teams meant we really could extend a sense of teamwork as they competed to win points for their team. 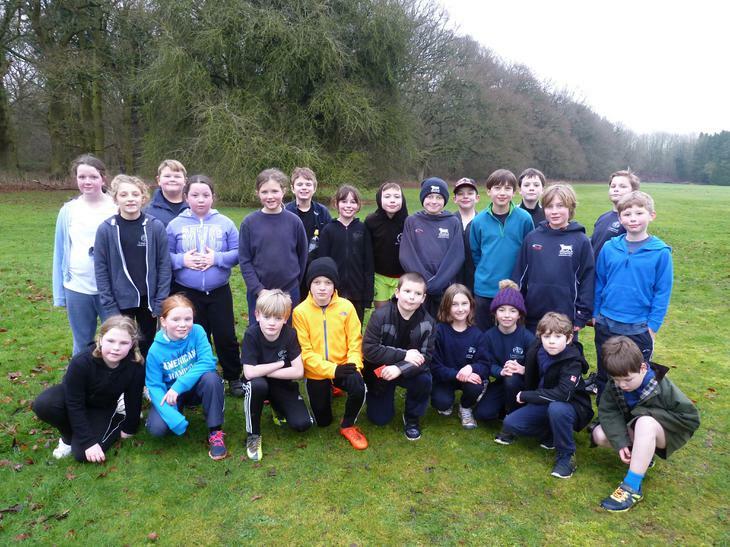 We are extremely proud of all of the children for taking part in cross country at the Fire Service College on Wednesday. 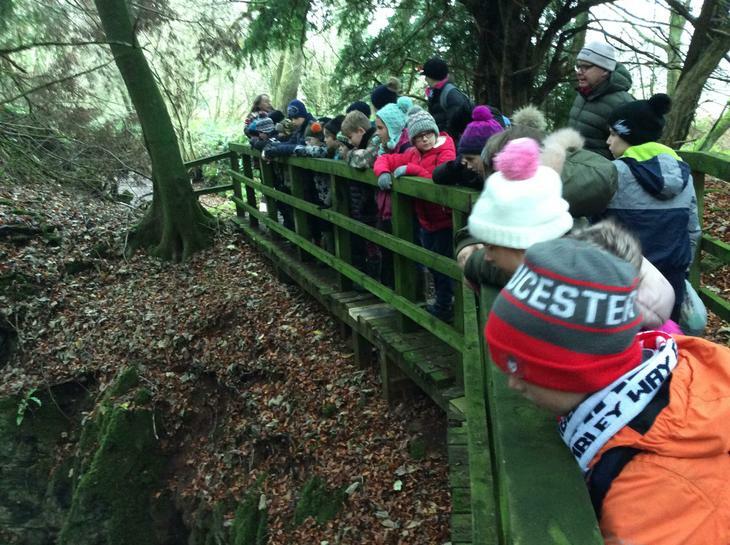 Everyone showed great perseverance to complete the course in difficult weather conditions! 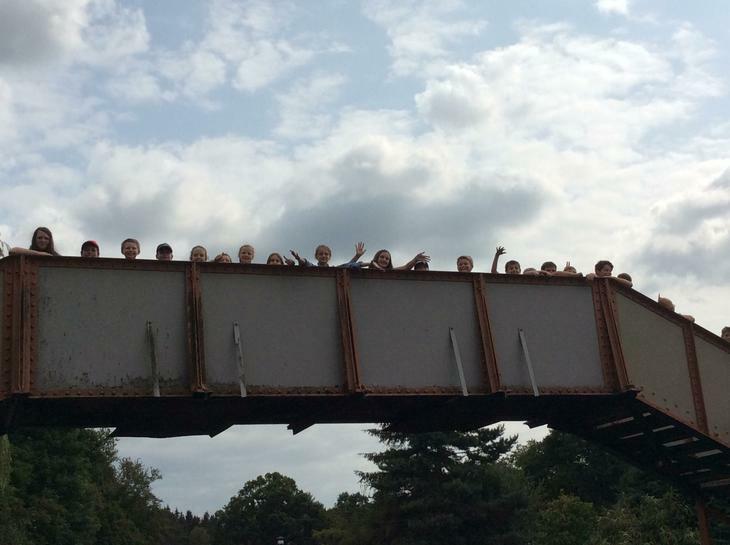 We were all proud of our accomplishments and we all enjoyed ourselves. 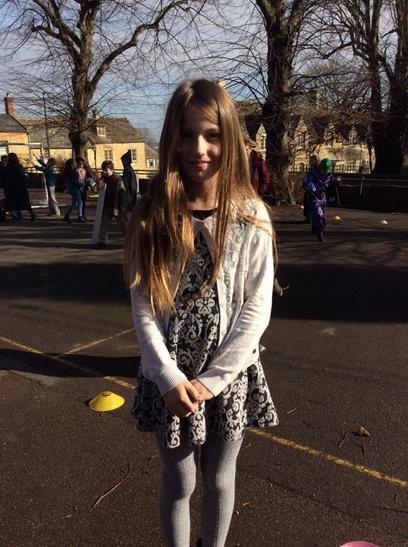 We even had one student who managed to come in a very impressive 14th out of over 150 children! 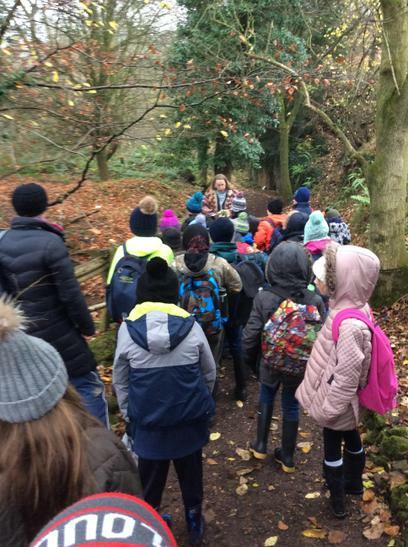 Following on from our successful cross country outing on Wednesday this week, we have been concentrating on understanding how the digestive system and circulatory system have a symbiotic relationship in keeping us healthy. 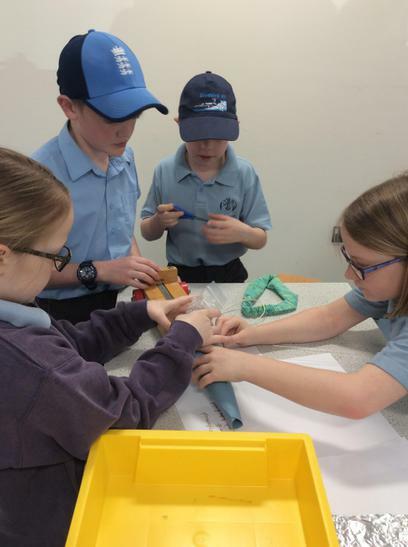 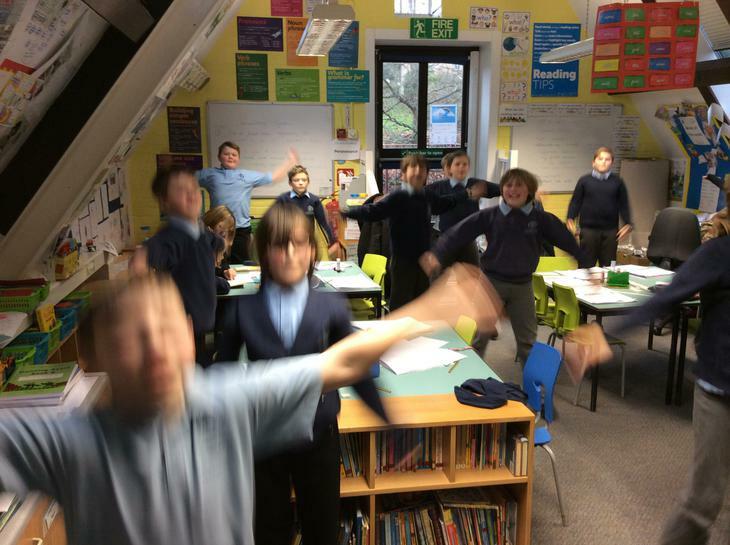 Year 3/4 children have been discovering the important functions of the digestive system whilst year 5/6 have been investigating the effect of exercise on heart rate. 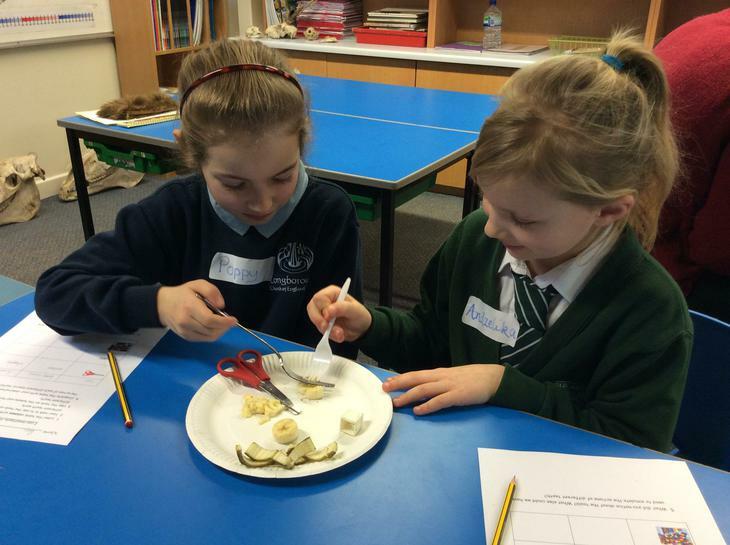 We have all been revising food groups and how much we should eat of each to have a balanced diet. 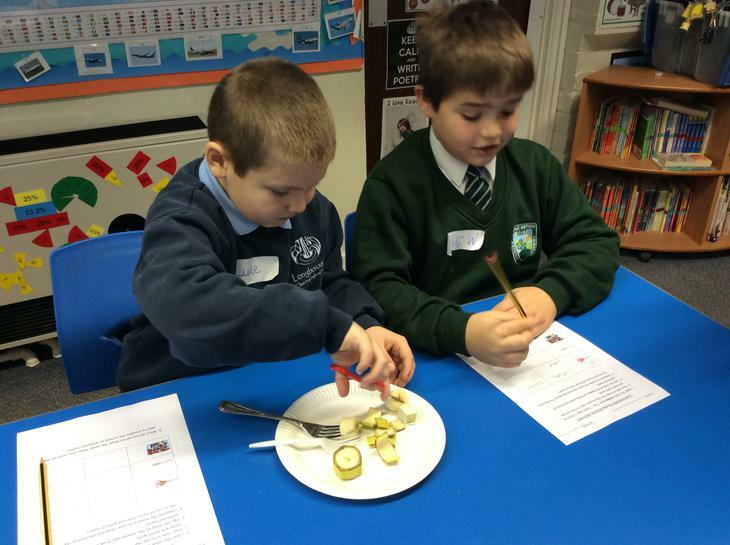 This week we have been focussing on our healthy living topic across the curriculum. 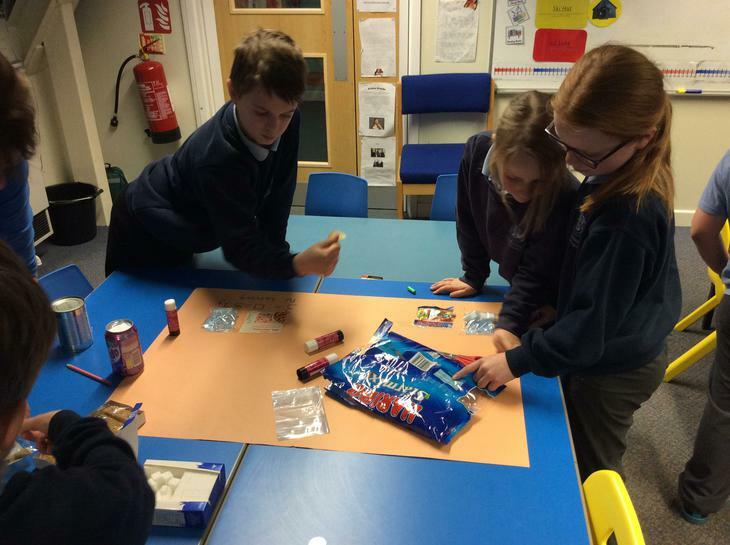 Children have discovered their total daily sugar recommendations, and explored packaging to find the sugar lump quantities in their favourite snacks and lunch box items. 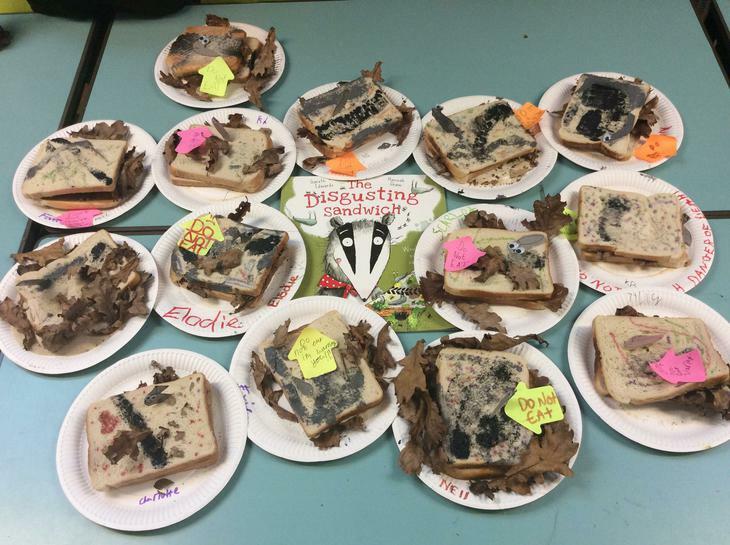 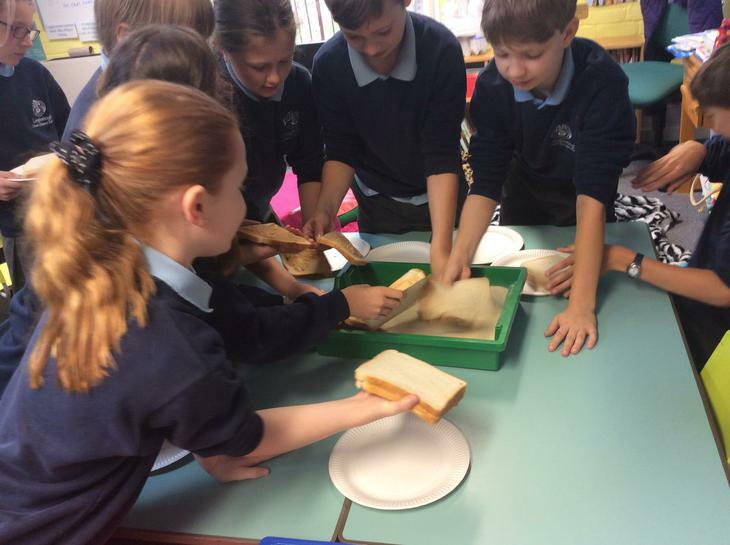 We have all been rather shocked to discover that lots of products marketed as ideal for lunchboxes certainly aren't! 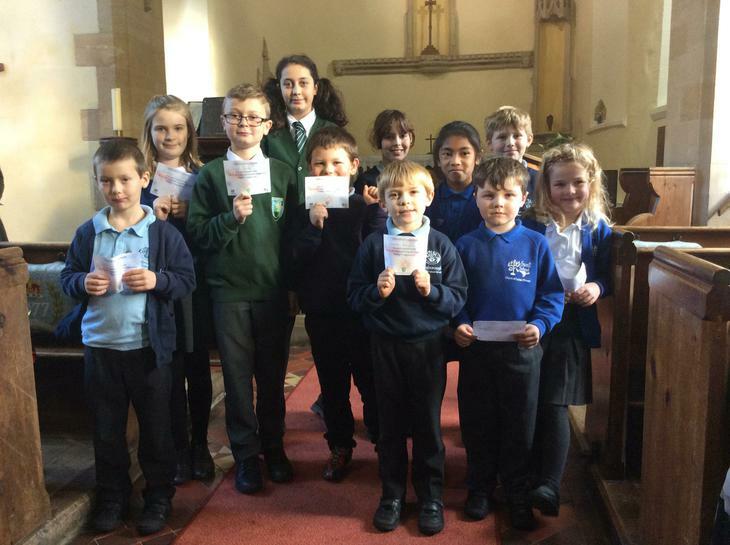 Children have used the sugarsmart app from the NHS to scan barcodes and see for themselves how much sugar is hidden. 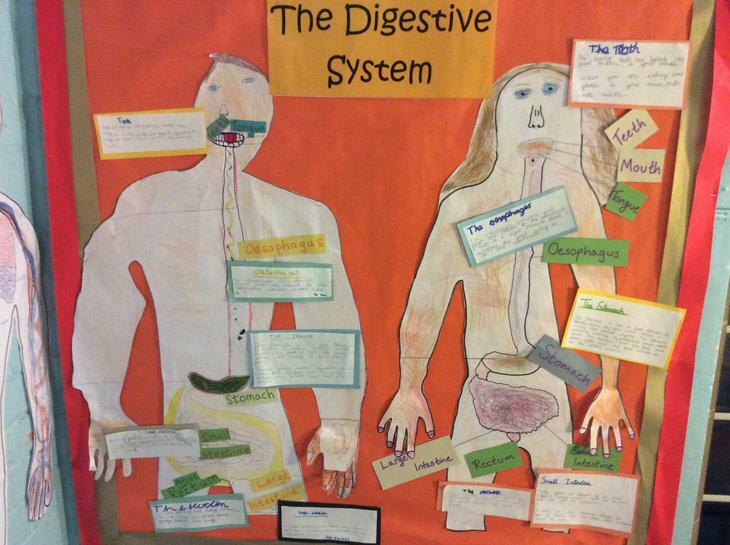 We encourage all children to make healthy choices about their lifestyle and diet based on factual information. 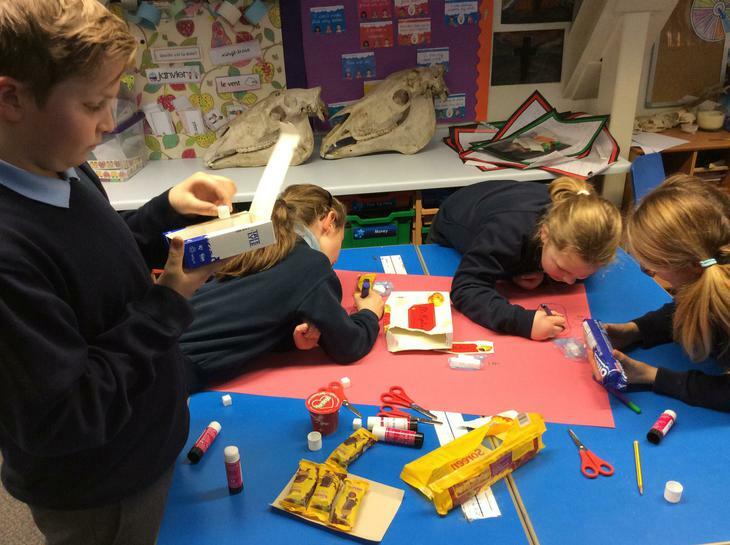 Please come and look at their work on display in the hall. 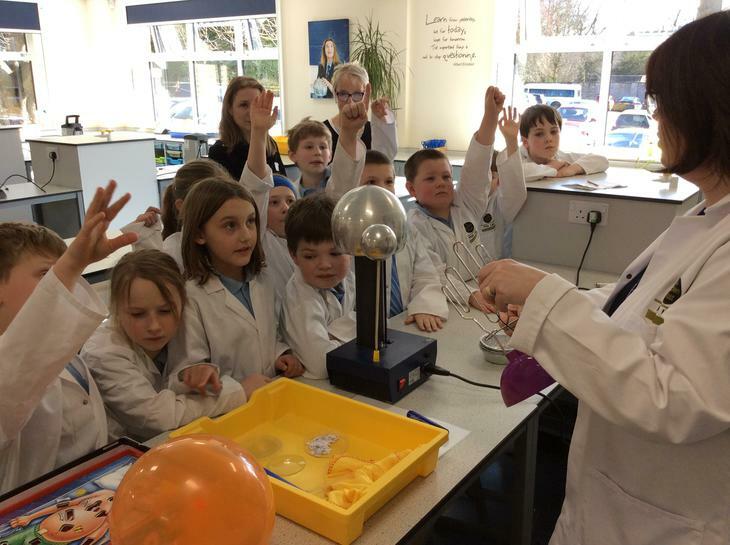 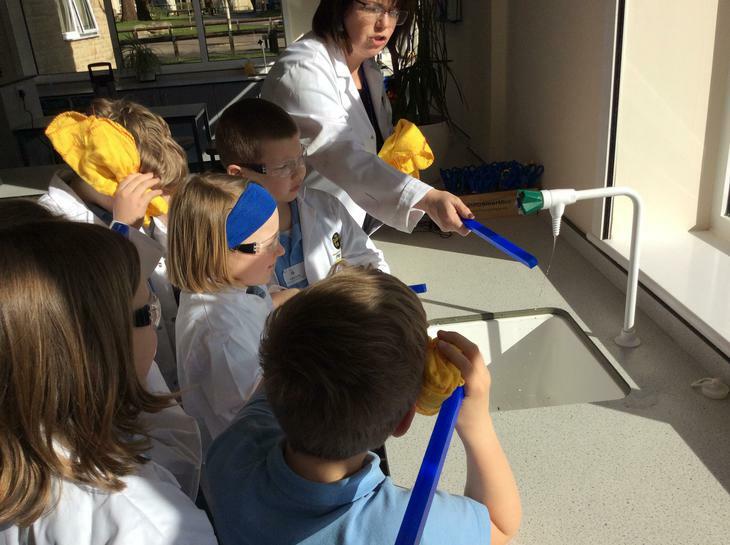 On Tuesday we held our first NCSF Science day. 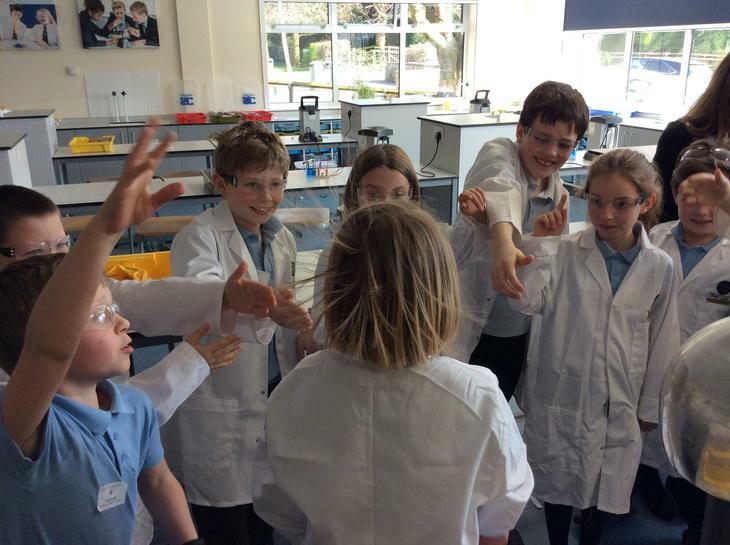 We themed it on Dental science, with year 3 and 4 from all three schools meeting at Longborough for a day of fun learning challenges. 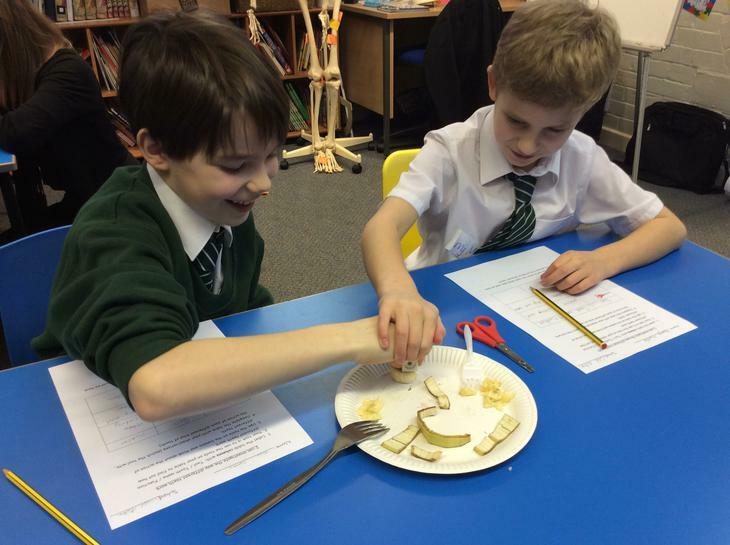 Children were able to design and test toothpastes; inspect and identify their own teeth; explore dental function; compare dental anatomy with horse, hedgehog, badger and deer skulls; undertake a packed lunch challenge; create a healthy teeth poster and finally, enjoy a visit from Moreton in Marsh Dental Practice team who played some great sugar awareness games. 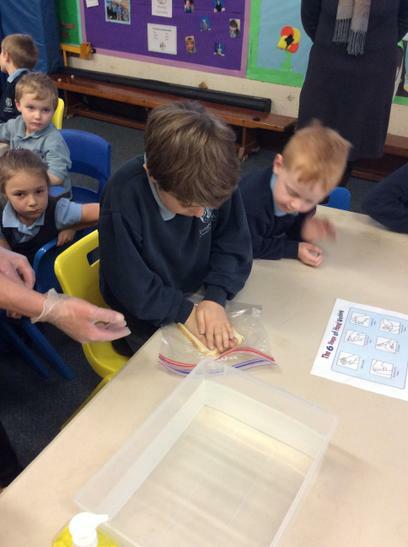 The children all received a goody bag with disclosing tablets in and some top tips on brushing. 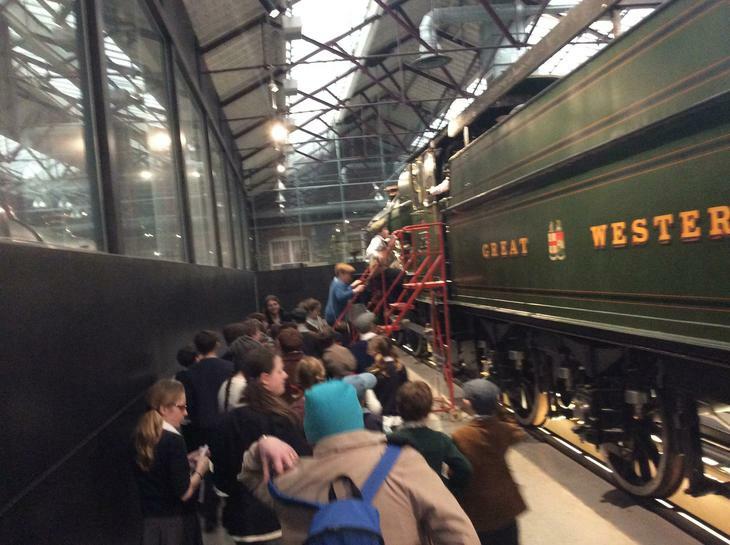 We thank everyone for their support and patience in making the day such a great success. 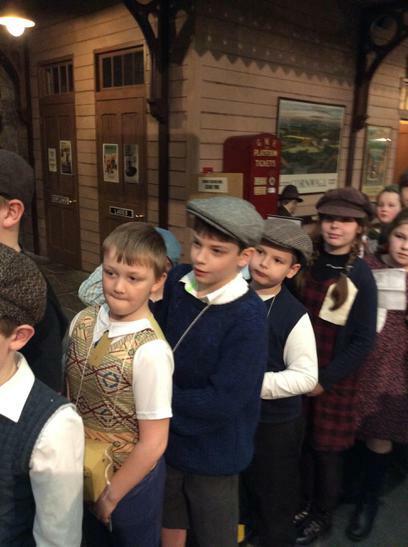 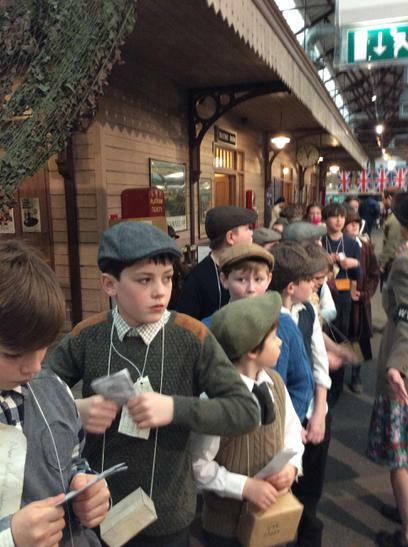 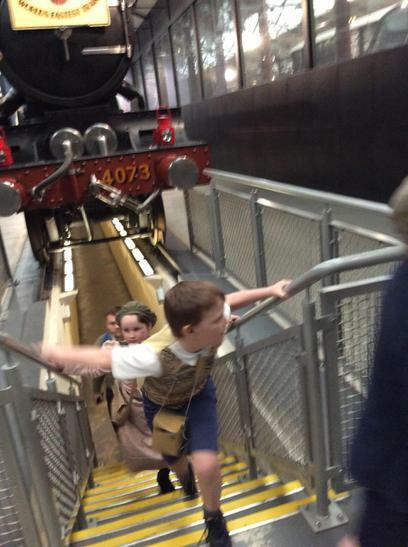 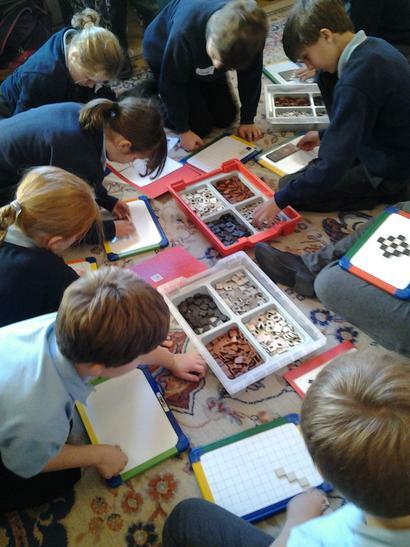 In addition to the learning, children got to make new friends, which is a fabulous result of our federation events. 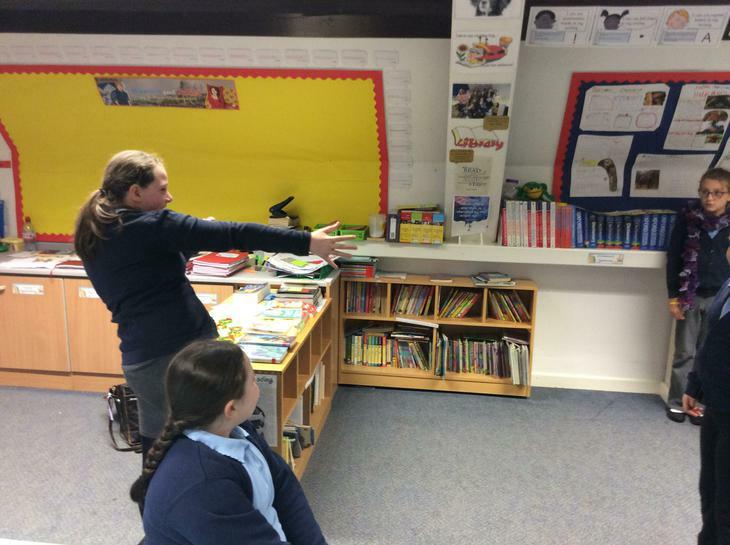 This week we have been exploring our debating skills in English; learning how to listen to others opinions and present a counter-argument in class. 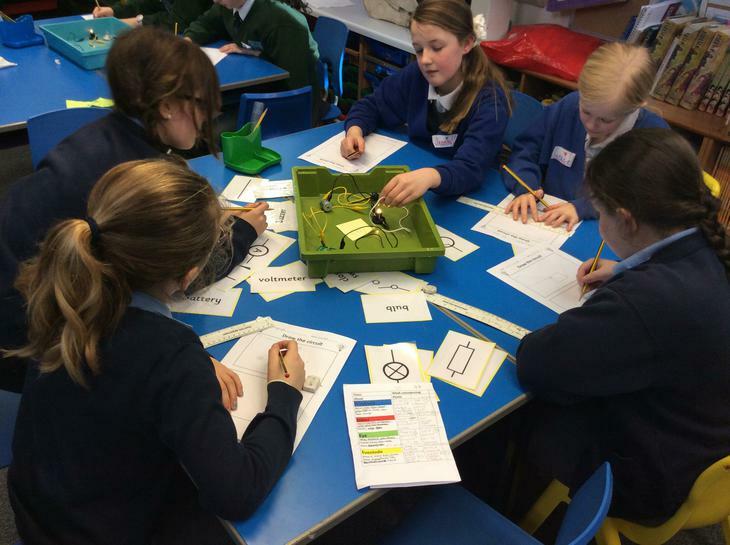 We have been looking at the structure and features of persuasive writing and understanding how this has an impact on the reader. 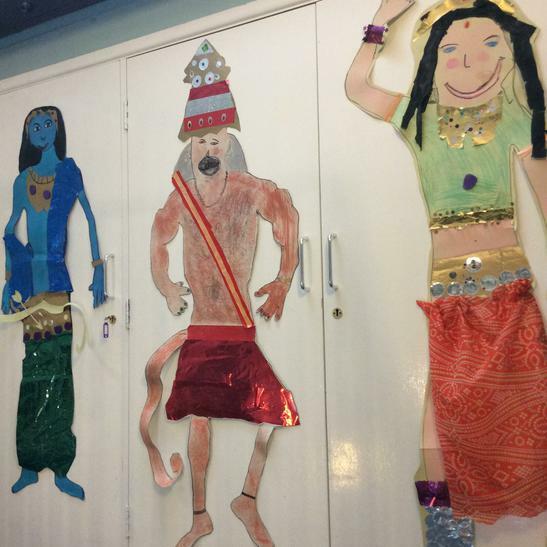 RE Week: This week we have been looking at three special stories from three different religions. 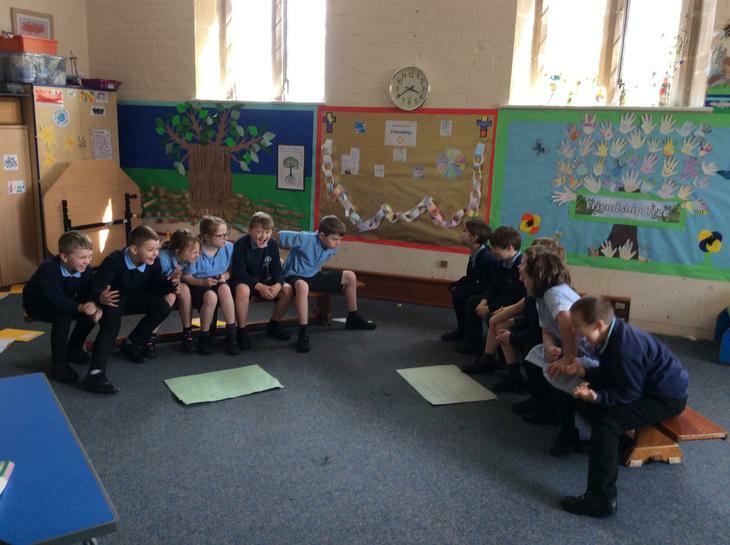 We have been learning about religion, but also from religion, comparing how different faiths worship and how we can apply some shared values in all of our beliefs. 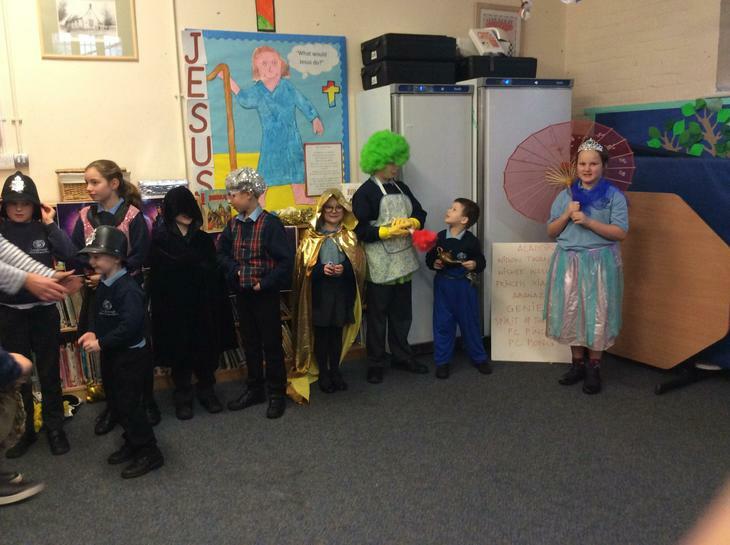 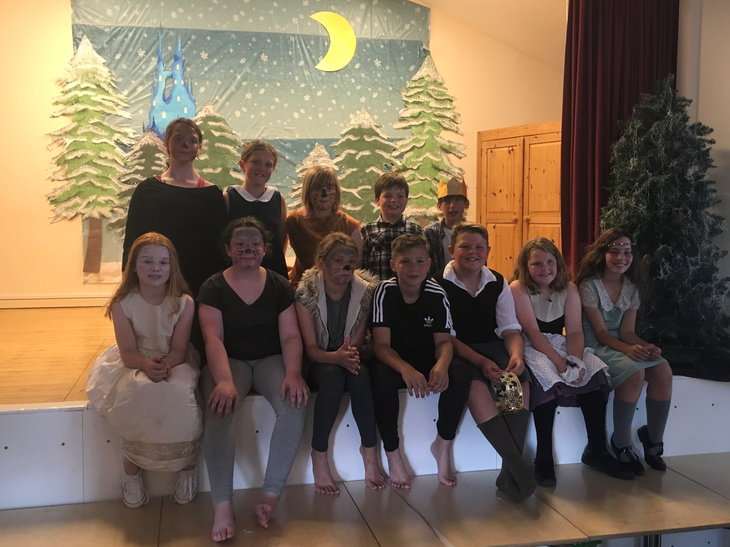 Children have been using a range of Drama, Art, DT and ICT lessons to study Hinduism, Judaism and Islam stories in greater detail. 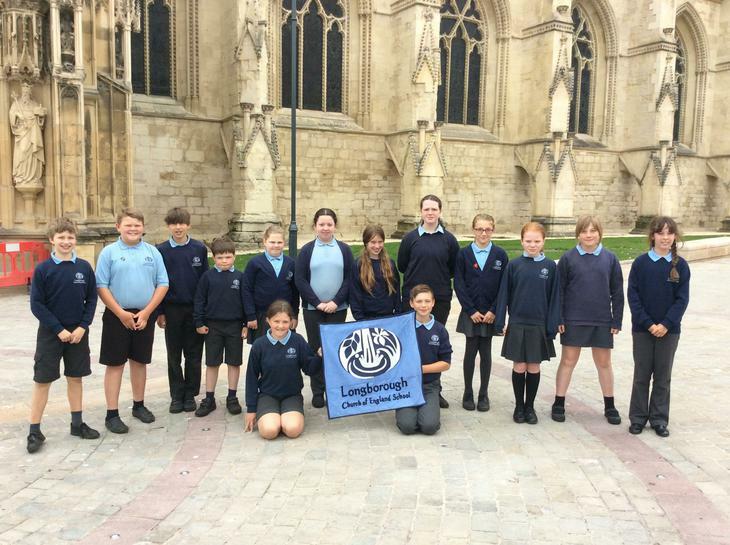 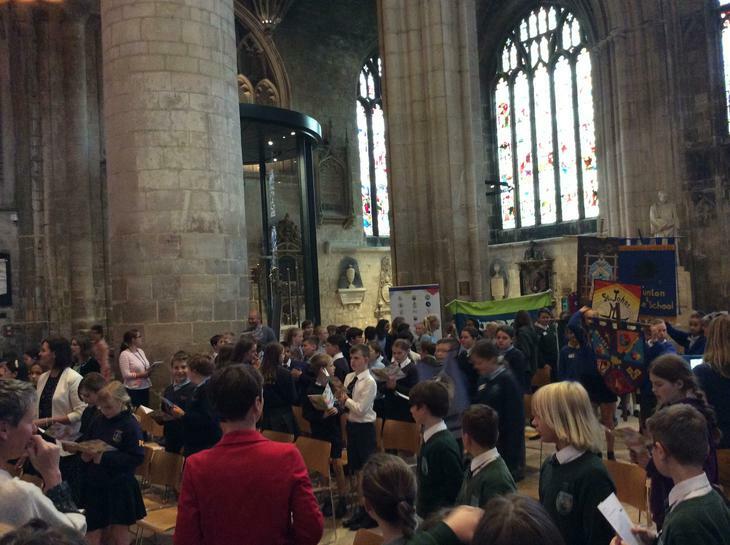 To support their learning and application of knowledge to the real world, children have visited different places of worship in the county. 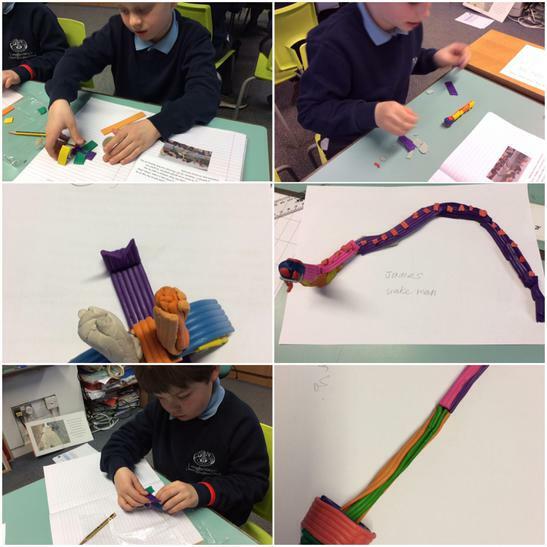 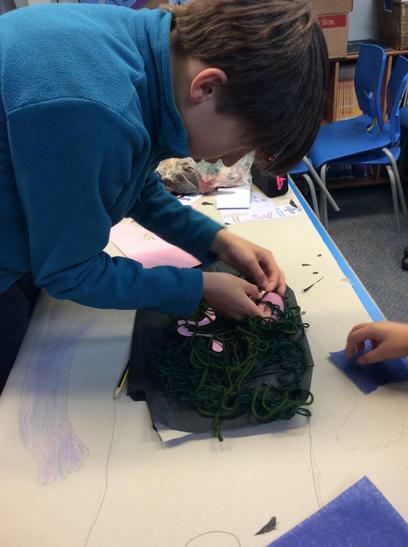 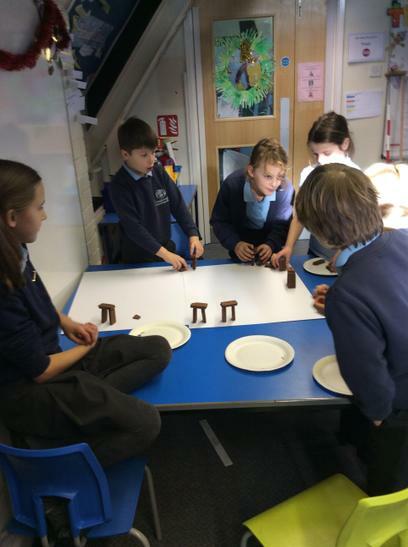 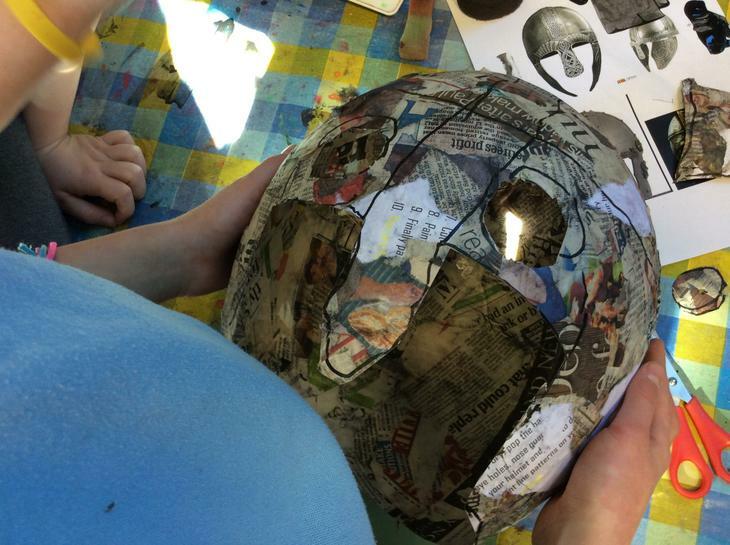 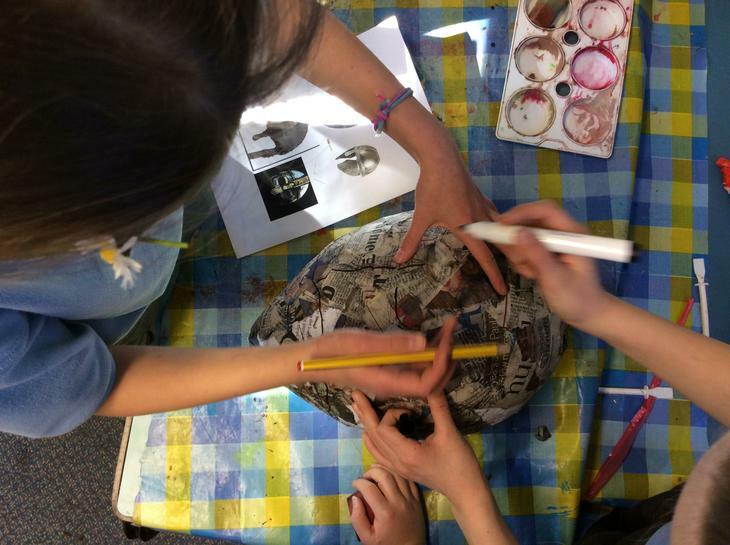 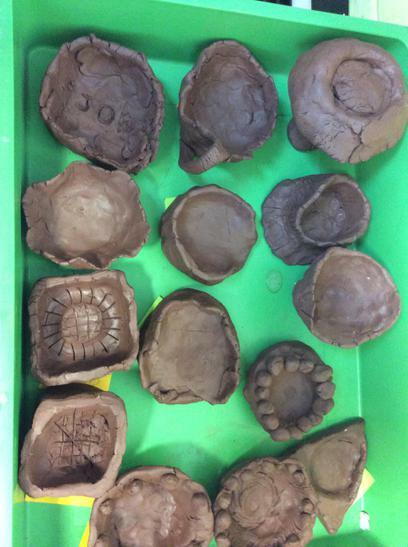 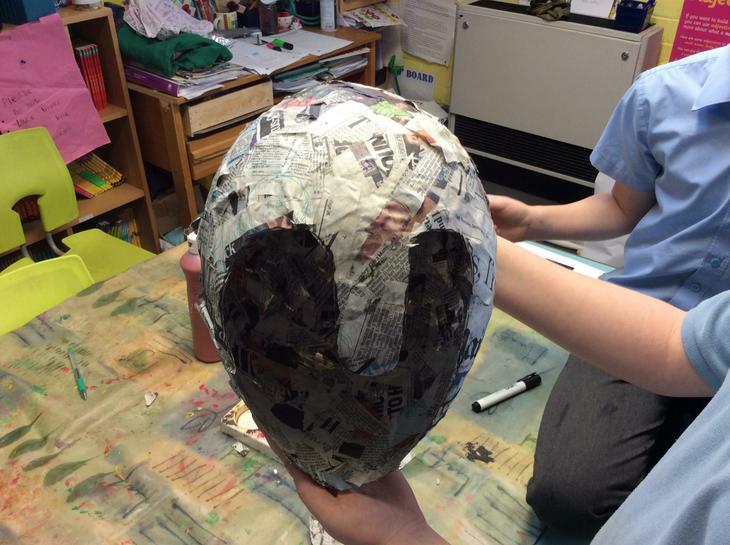 We have created story boards, shadow puppets, terracotta pots, giant collages, model arks, used photographic animation and scratch programming to re-tell these special stories. 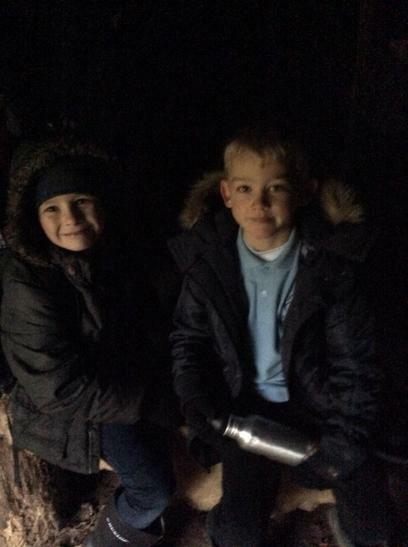 Please come in on Friday morning book-look times to see their work. 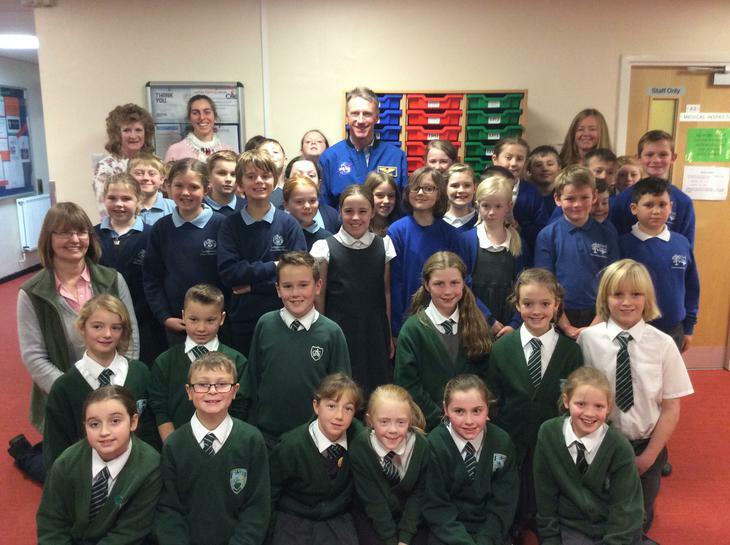 As part of our association with the Ogden Trust and commitment to using space as an inspirational teaching theme, we were thrilled to be invited along with other local primary schools to hear veteran Astronaut Michael Foale talk to us about his time in space on-board the International Space Station. 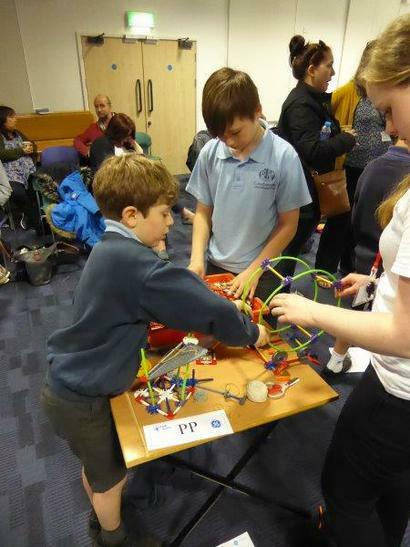 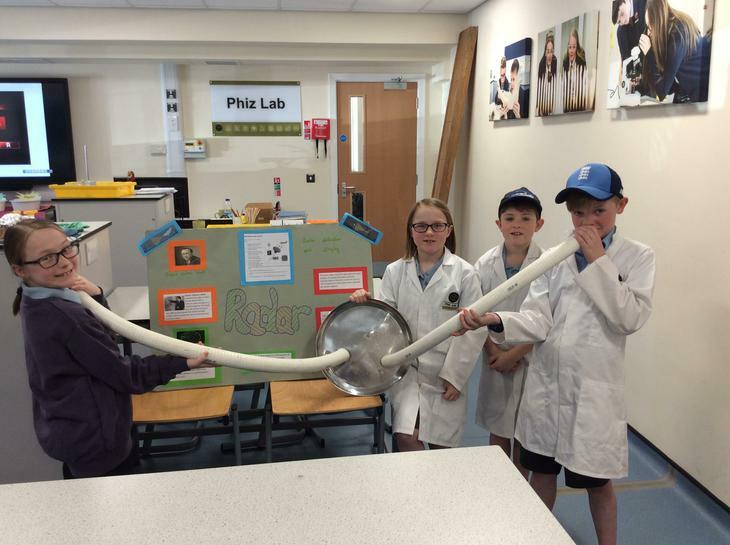 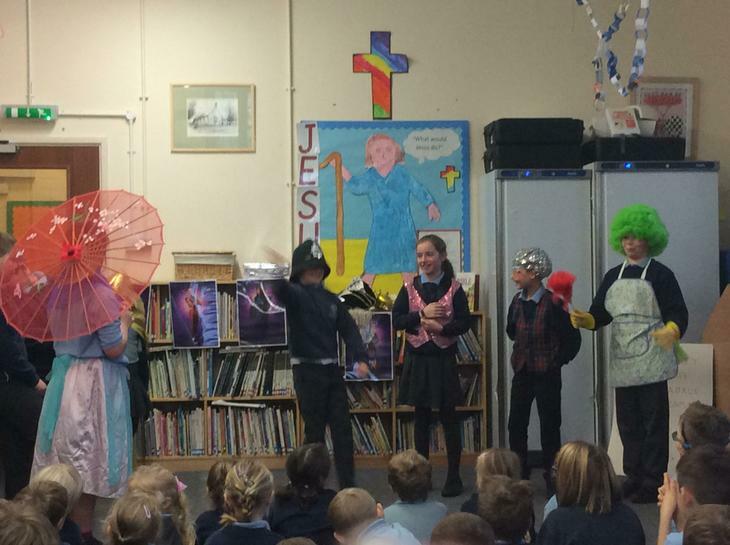 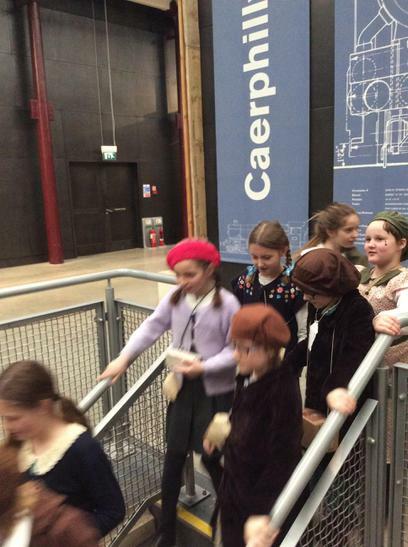 This was our first NCSF science event, and we managed to gain enough tickets for our upper key stage two children from all schools. 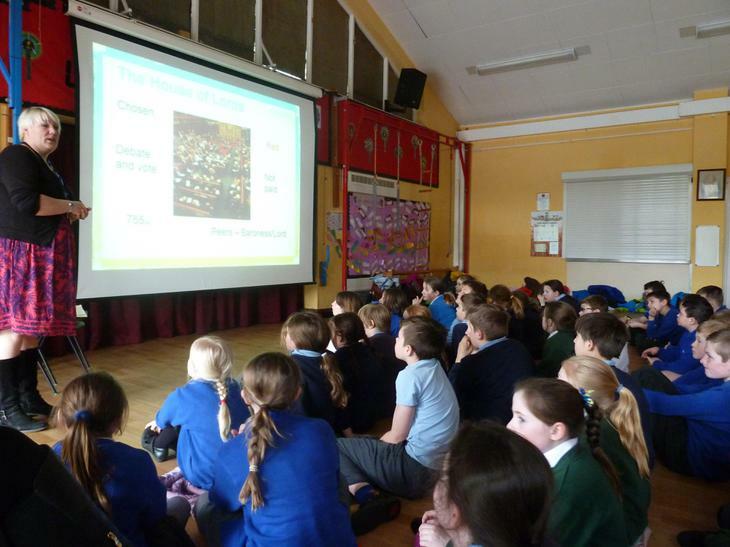 Children and teachers/parents were thoroughly engaged and inspired by his talk. 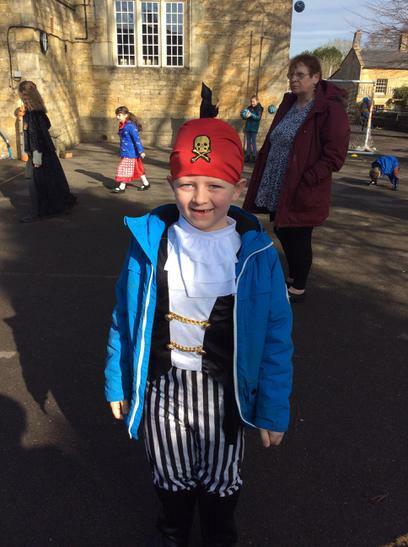 It also supports our growth mindset initiatives within all of our schools as he reminded children of the need to work hard and keep trying at your dreams and ideas. 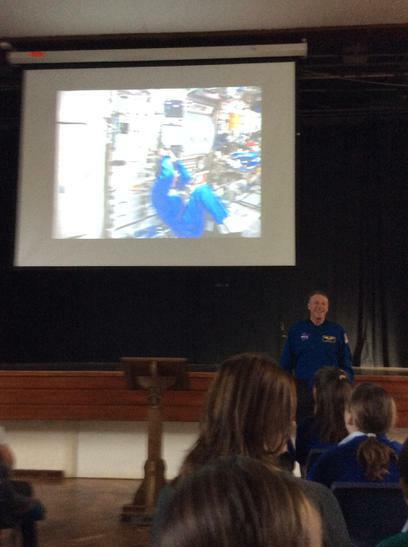 He applied to be an astronaut (from a physics doctorate) three times before he was accepted; true perseverance! 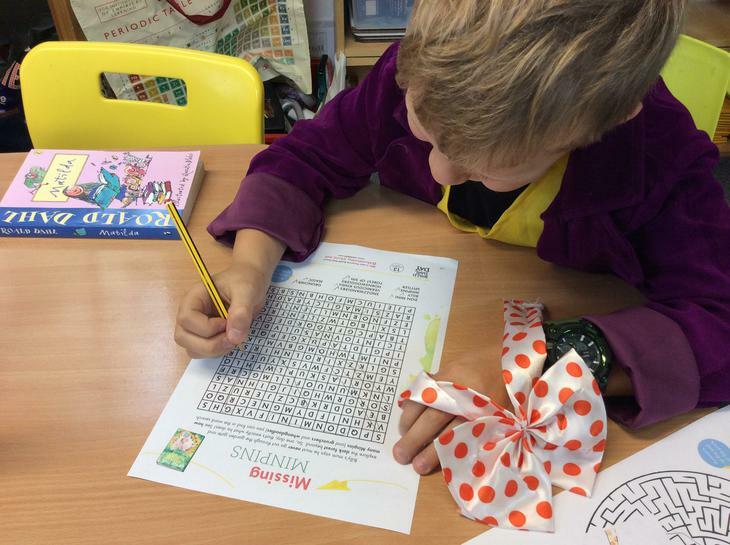 We all went a bit dotty on Friday to raise funds for children in need. 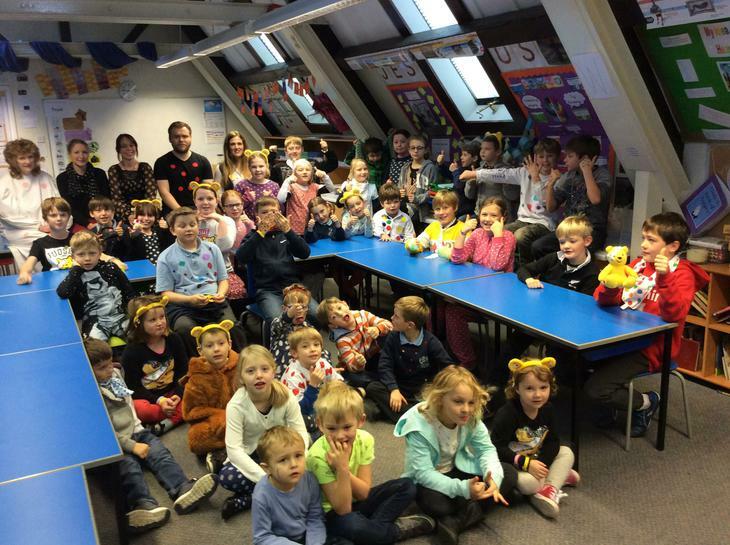 Children and staff wore something spotty for the day for a donation. 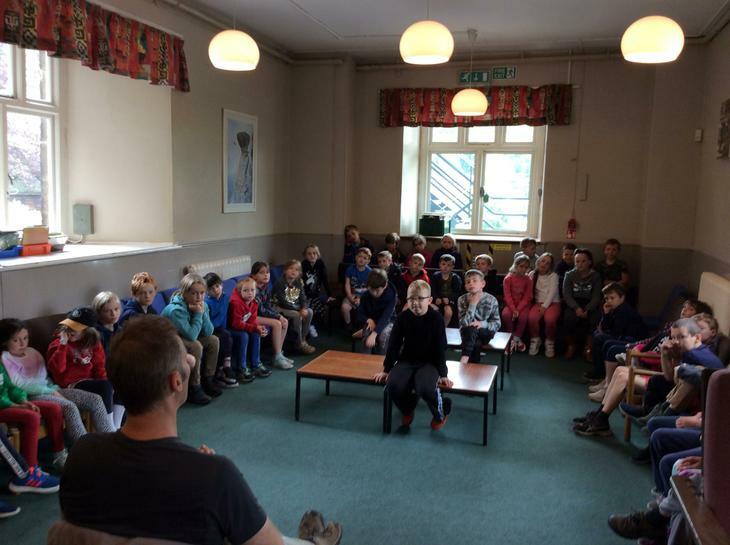 We started the day with a presentation on what the charity is, what they do and their role within and outside of the UK. 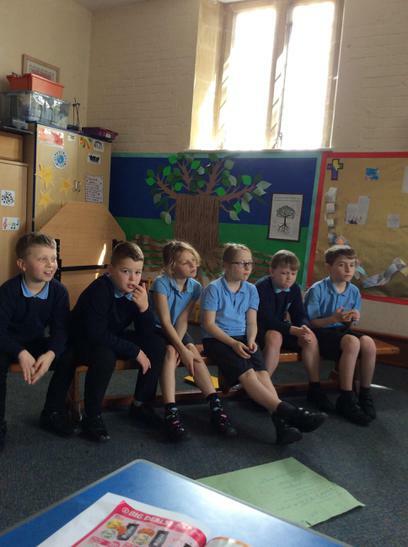 Lots of interesting questions were asked and discussed. 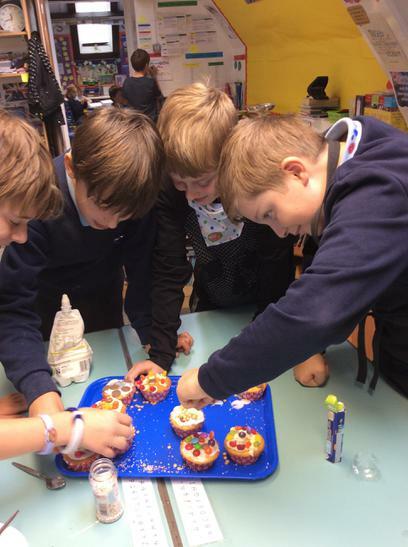 We then went on to use our maths, science, and food technology skills to measure, make, bake, decorate and ice our cakes and biscuits with a spotty theme. 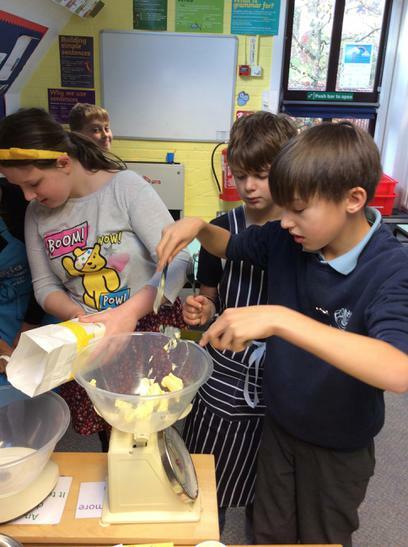 We held a cake sale after school and with our donations we raised nearly £100 for this very worthy cause. 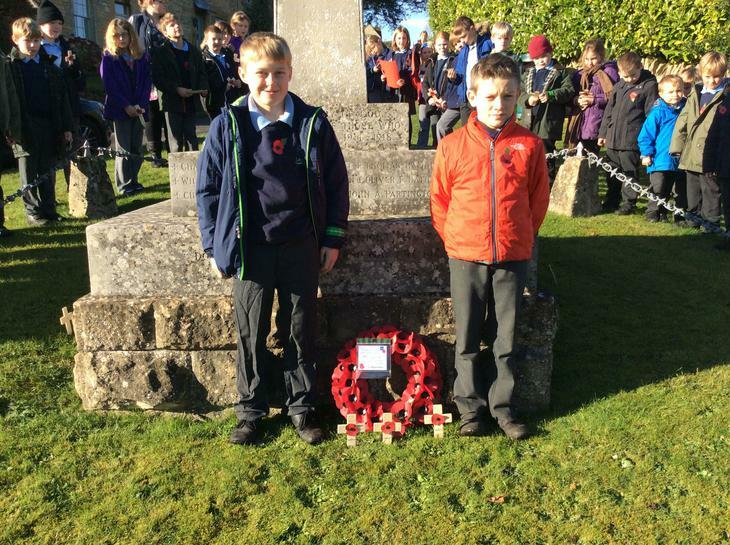 On remembrance day we all gathered at the war memorial and paid our respects to those who had fallen from Longborough in the great wars. 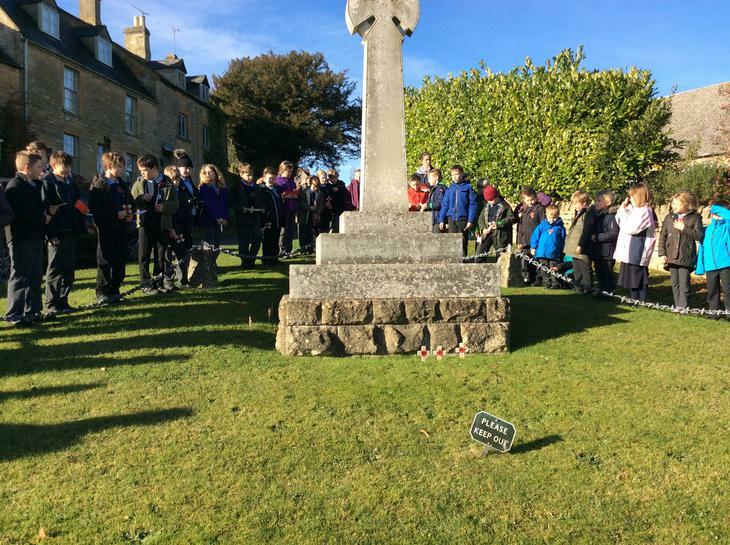 Children wrote and read out some beautiful poems and reflective pieces, placed named crosses for every soldier, and laid a wreath from our school. 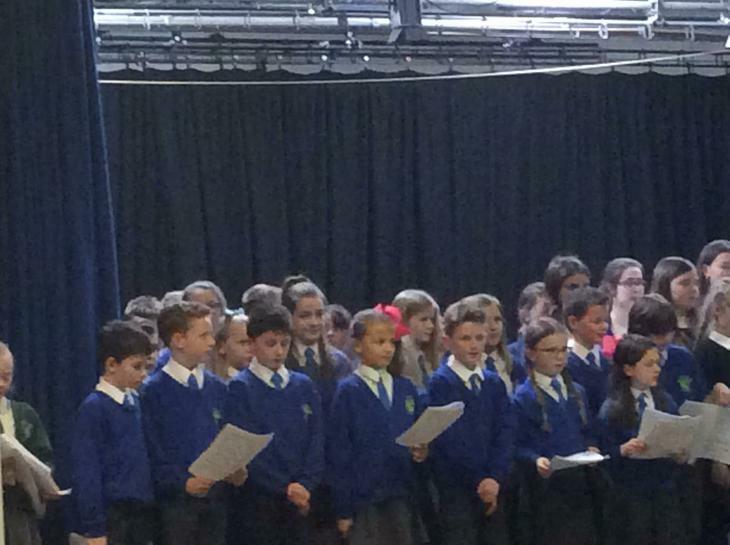 We held a two minute silence and were joined by members from the community. 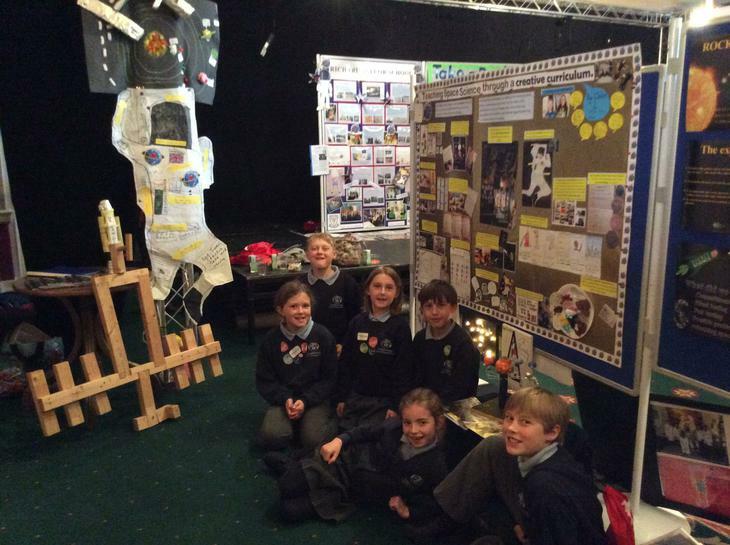 As part of our commitment to using space as a theme for cross curricular teaching, our successful application to the UK space agency, meant we were invited to present a poster at the UK's first ever Principia primary schools conference. 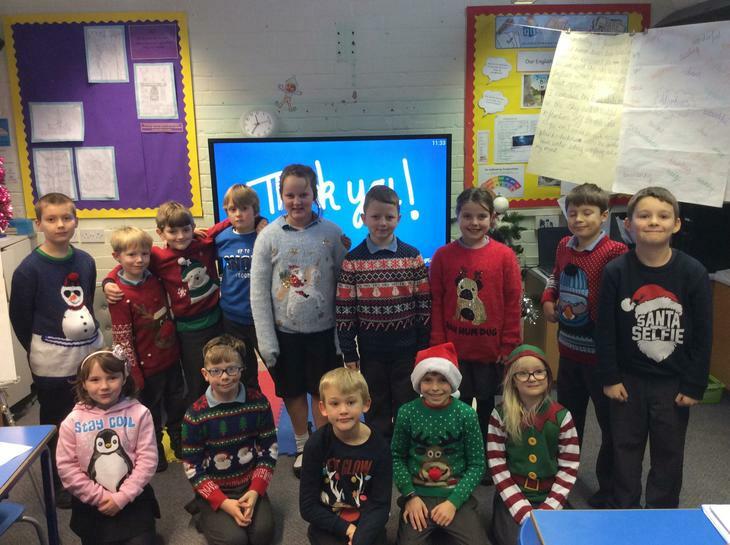 We were only allowed to take 6 children from class 2 to represent our schools approach to teaching, and showcase all our amazing initiatives we have got up to as part of the Tim Peake Primary Project run by Mrs Regan. 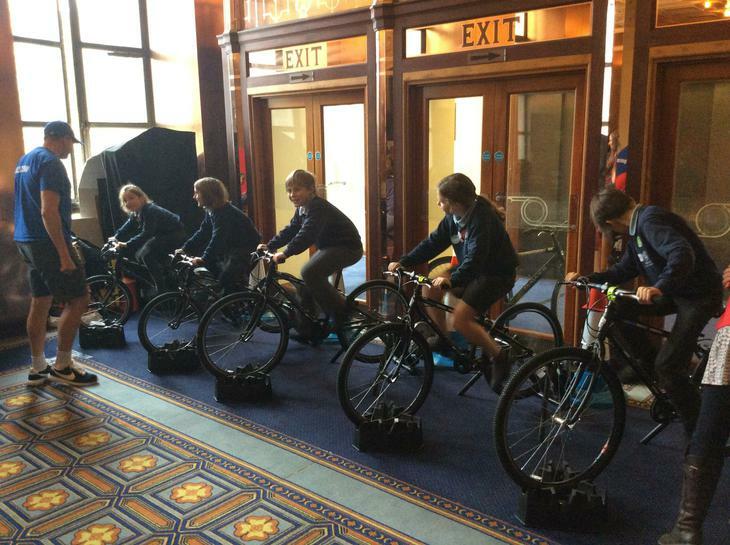 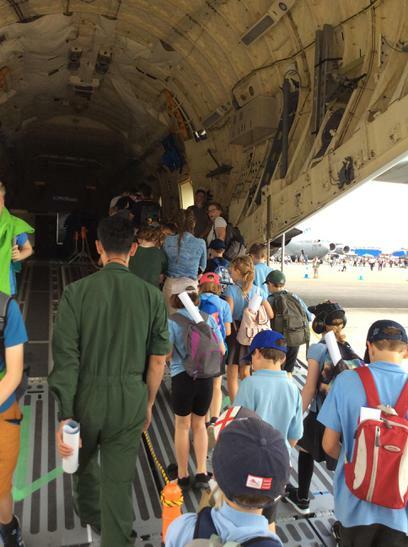 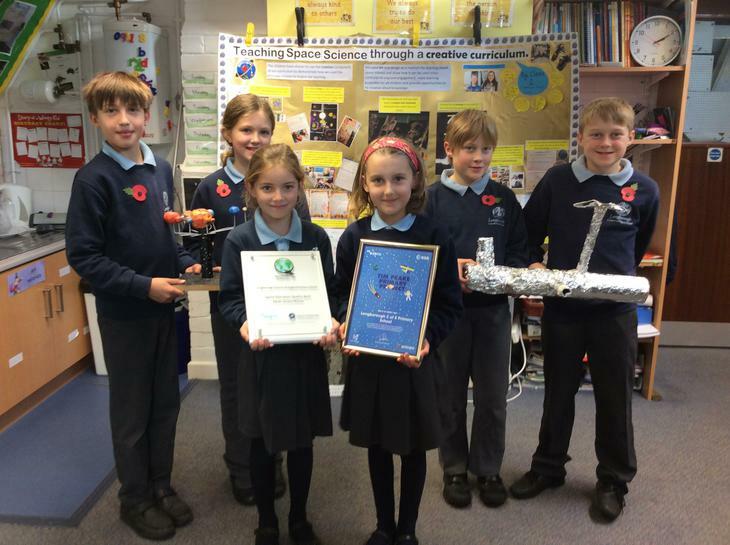 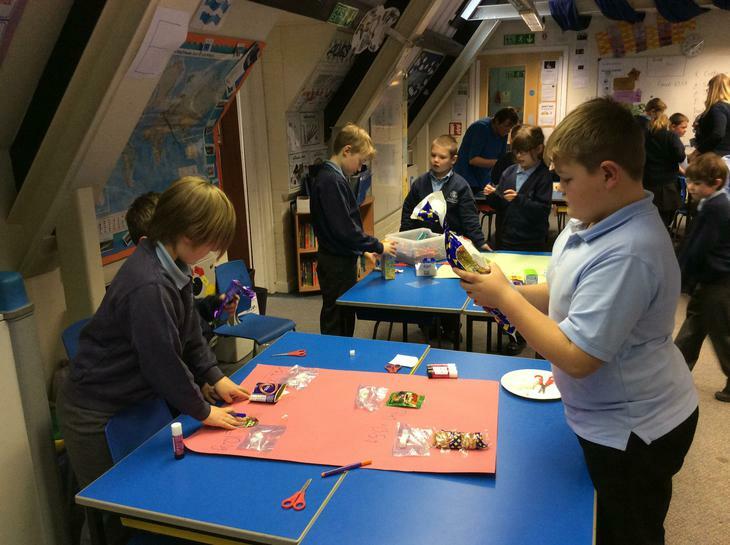 The children had an activity day on the 1st November where they got to speak to industry experts, participate in workshops about solar radiation, have a careers talk, and cycle, jump and space hop as part of the 400km Space to Earth challenge! 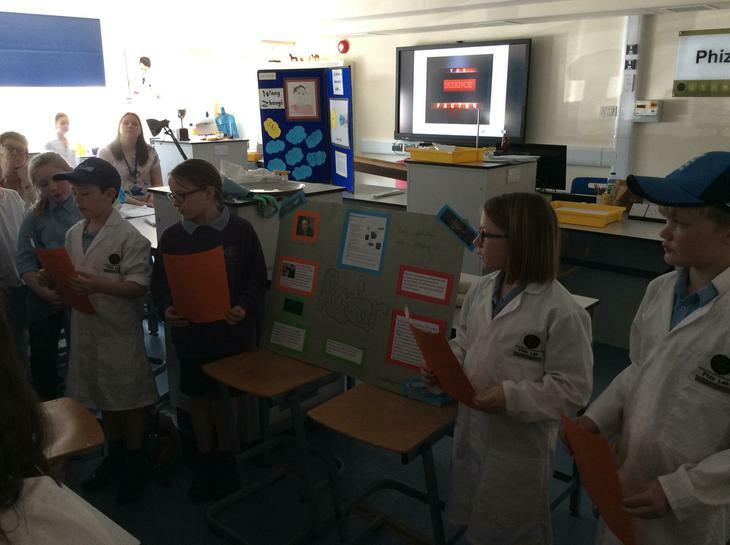 The second day involved listening to other schools talks, presenting our posters to representatives from the UK Space Agency, chatting to space scientists (satellite designers, robotics engineers, material scientists and space medics), and of course MEETING TIM PEAKE! 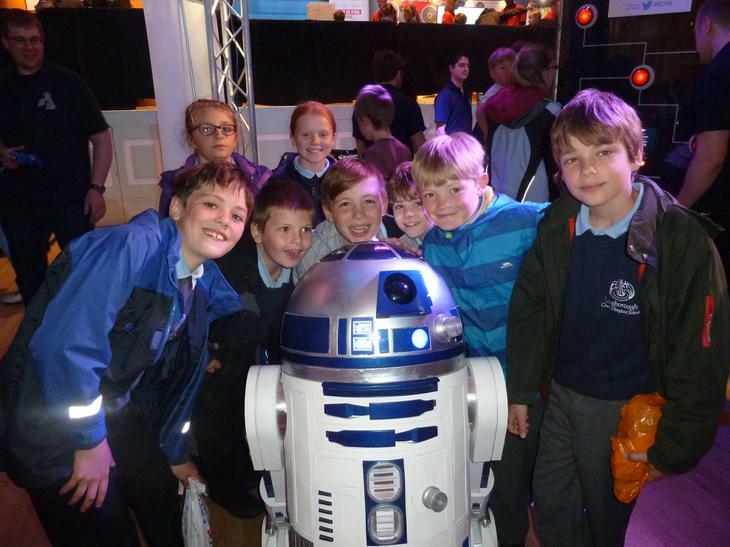 We all had an amazing time, learnt so much, and are all still glowing from meeting the man himself. 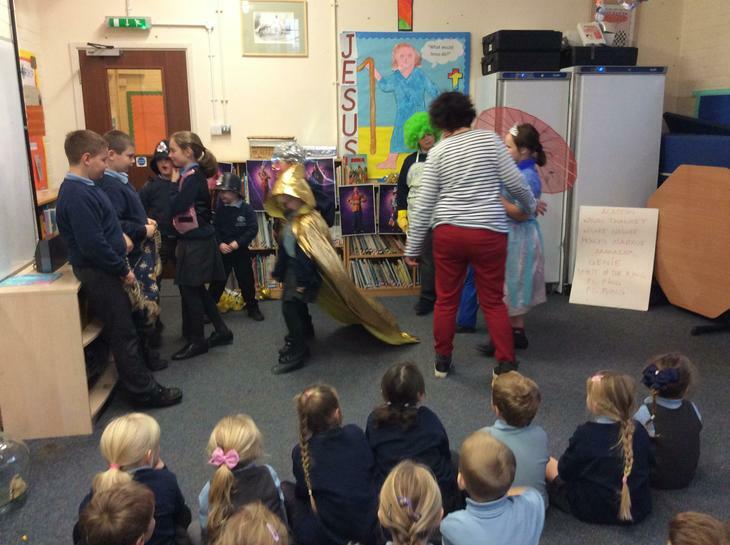 The children had lots of interesting questions, saw plenty of cutting edge technology on display, and even got to touch and explore a real space suit worn in space. 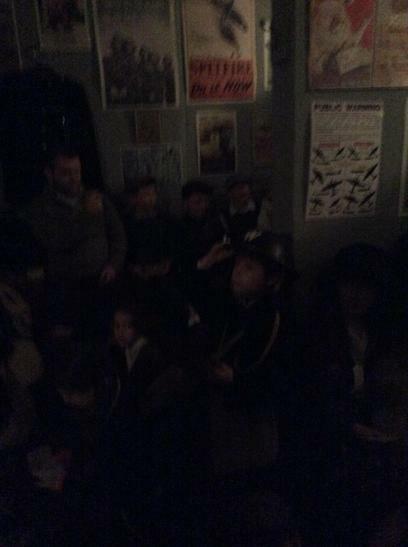 Well done to all the children for composing and reciting some excellent firework poems. 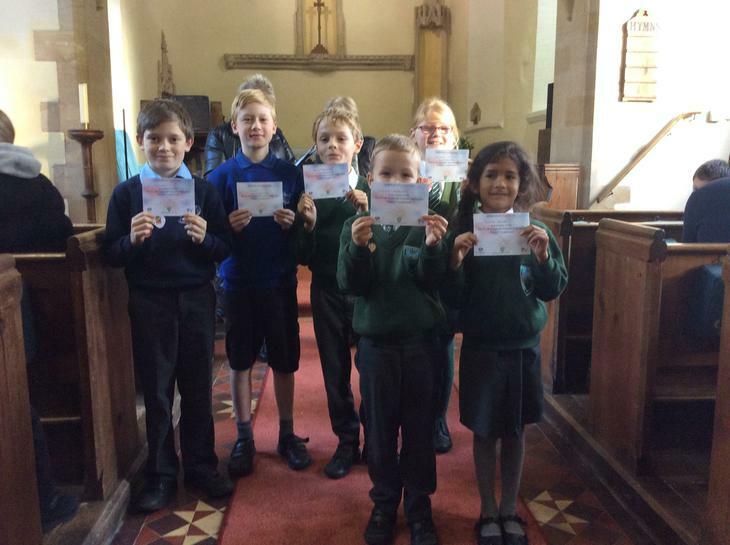 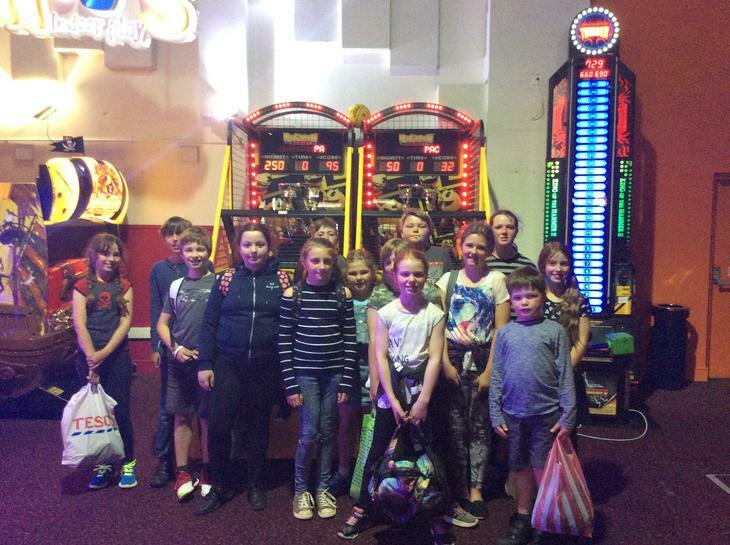 We voted for our year group winners to represent our class at the finals held at Cold Aston Church on the 4th November. 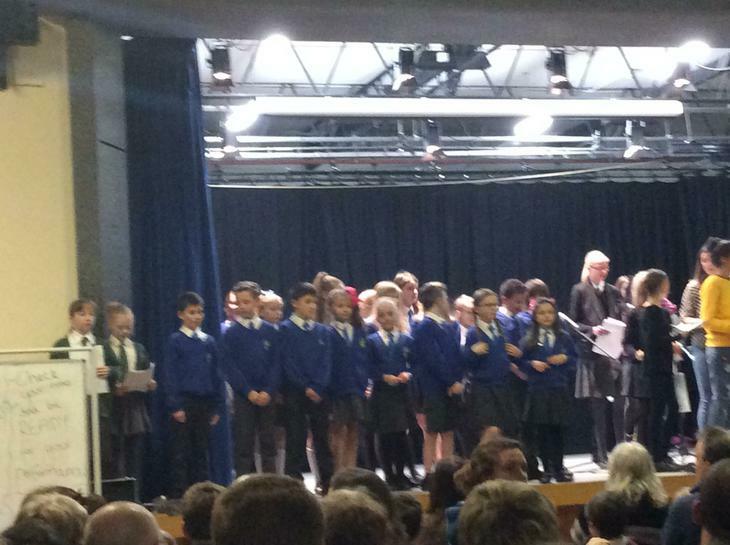 For our first poetry recital competition we all did extremely well, and all learnt some top tips from the other schools. 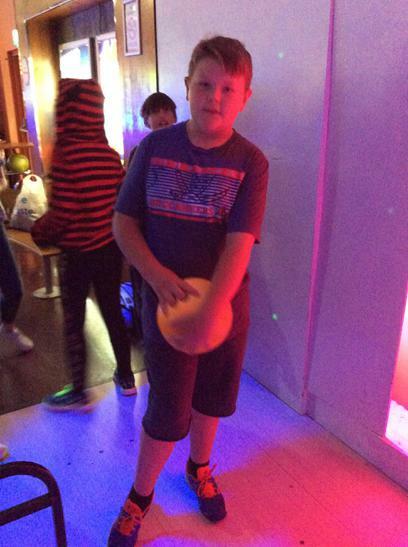 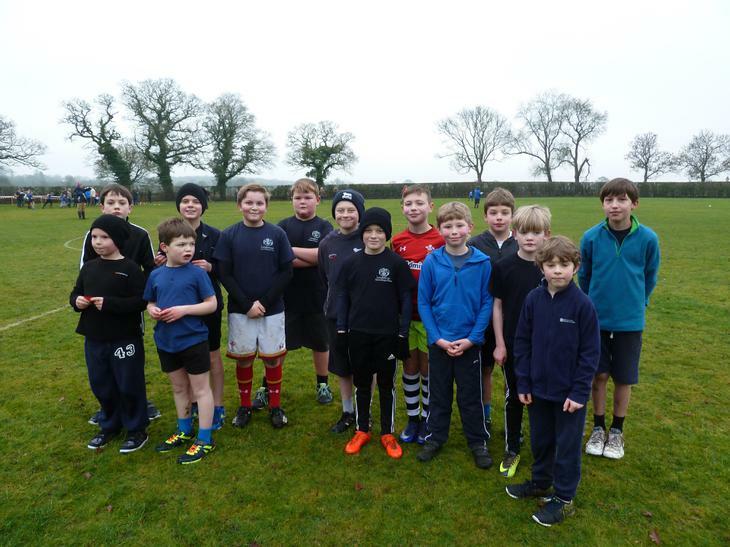 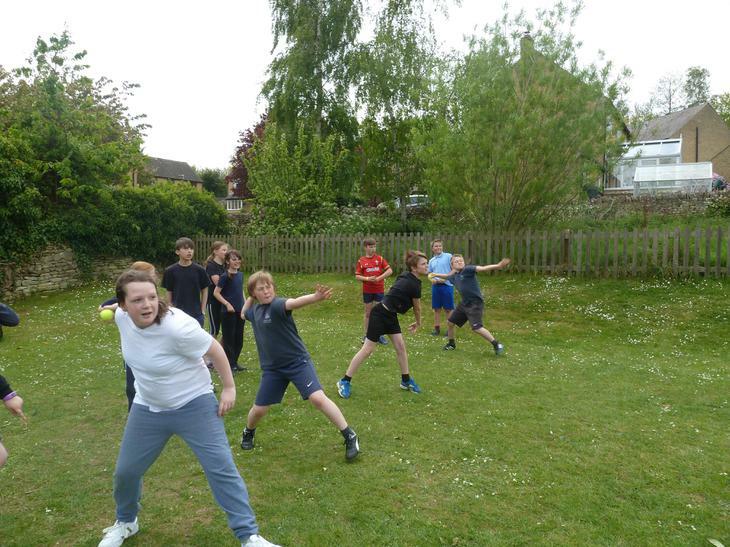 Gethin Custard was the overall year 6 winner, with Faith Gorton (Y5), James Driver (Y4) Tyler Strangwood (Y3), Charlie Ellis (Y2) and James Regan (Y1) all being runners up. 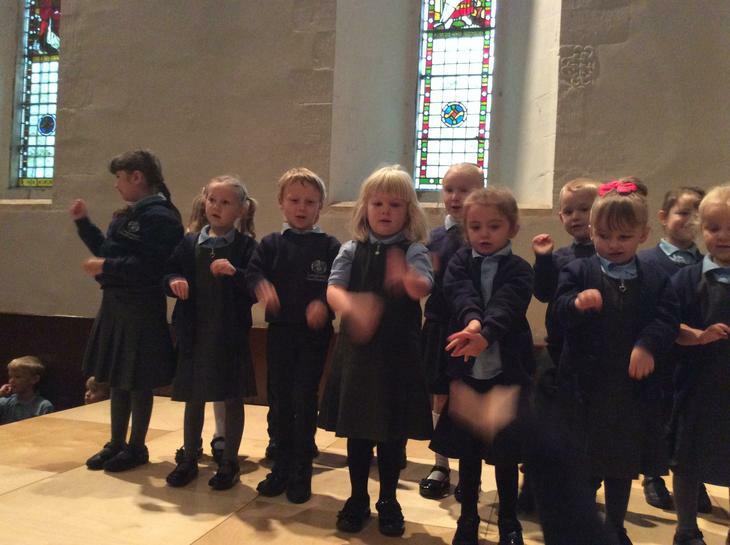 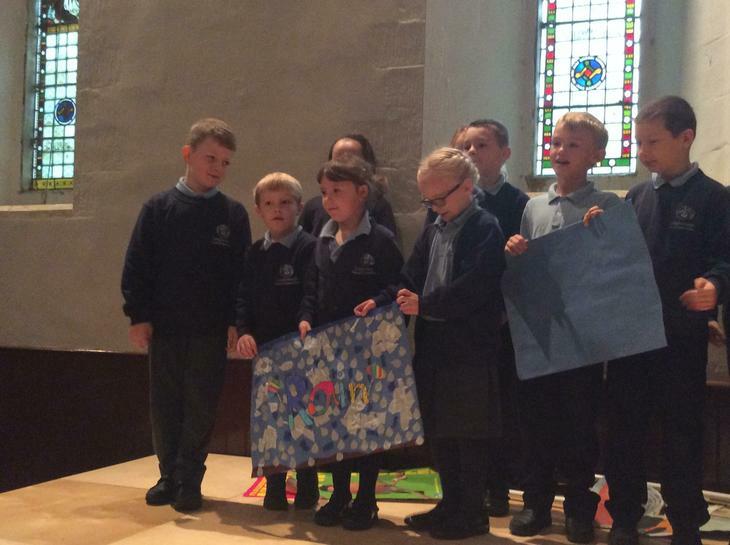 Well done, we are all so proud of you for standing up in church and performing your poems! 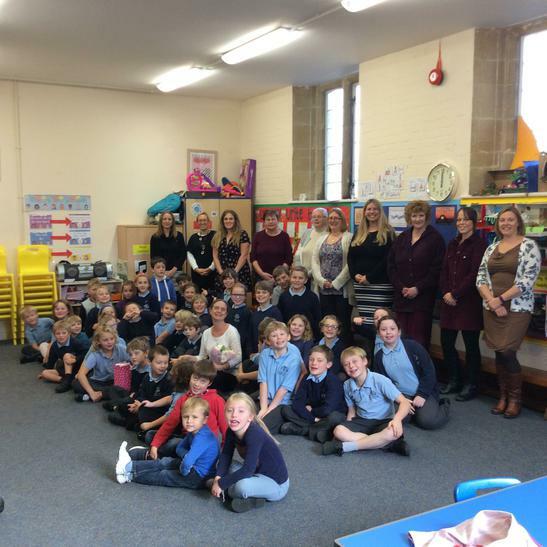 After many years teaching at Longborough, we said our goodbyes to Mrs Barentsen who left us this week. 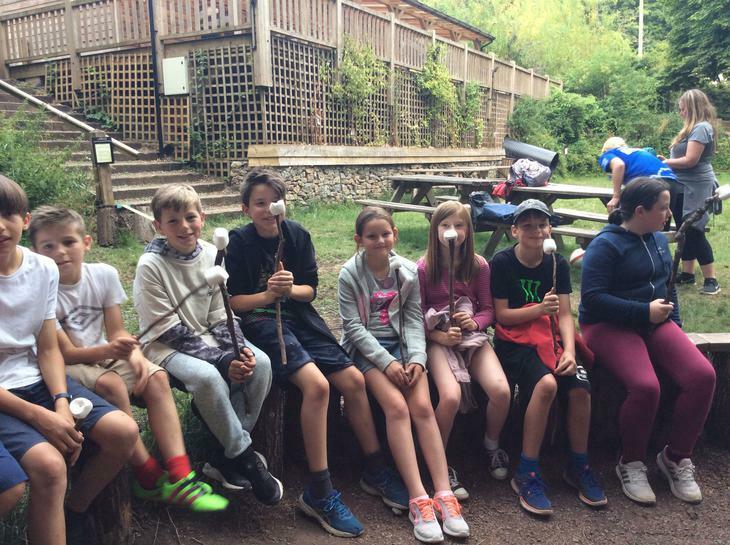 Plenty of flowers, bubbles and cards were shared and we all wish her the very best of luck in her new ventures. 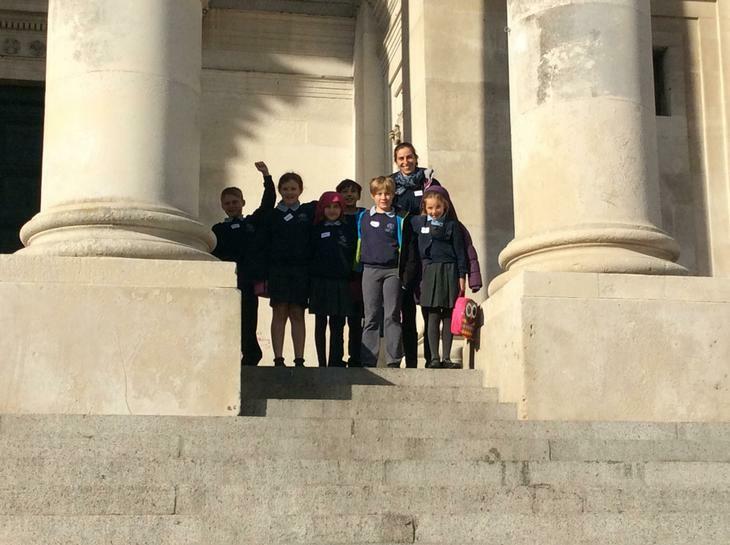 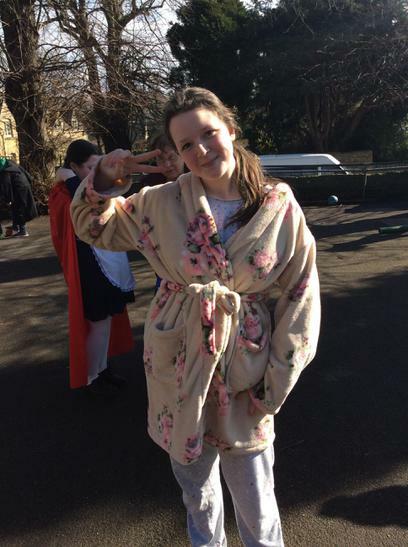 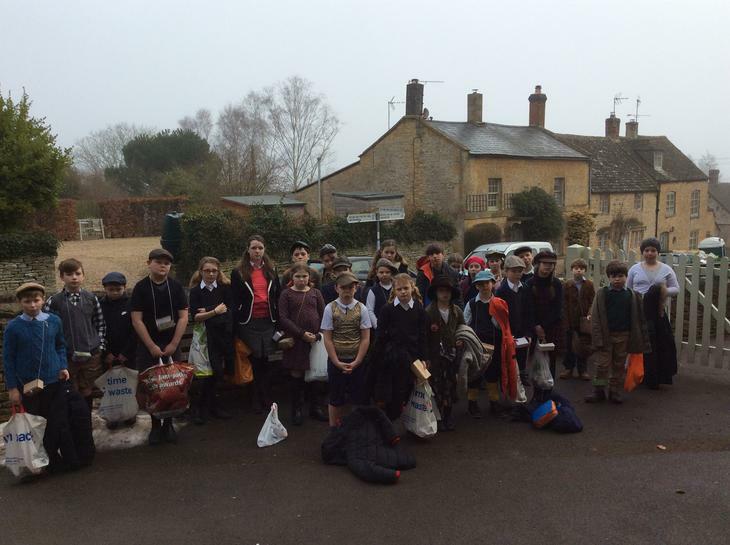 5th October: Trip to the Roman Baths! 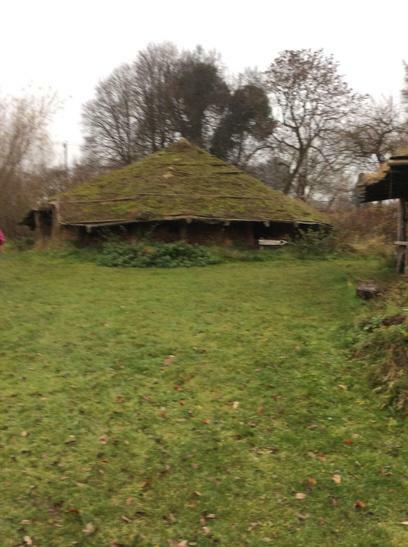 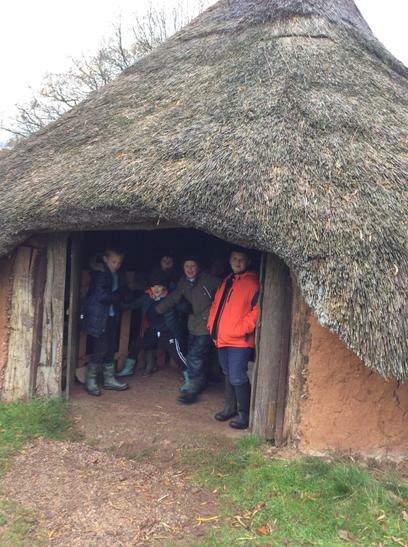 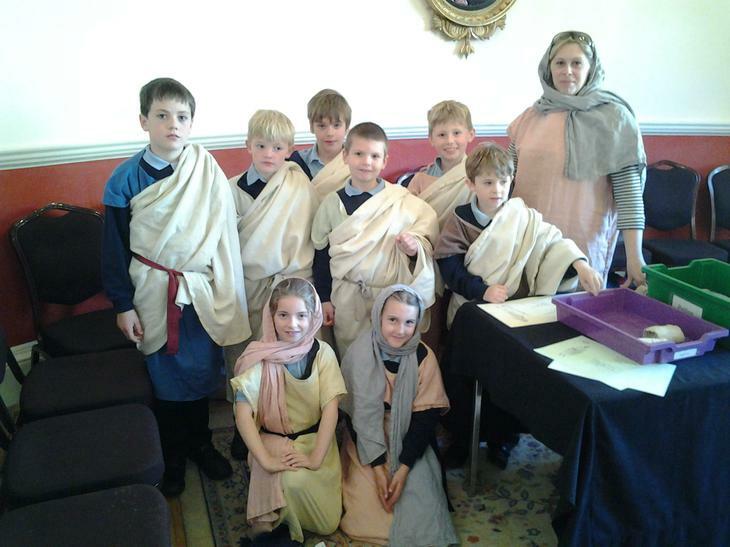 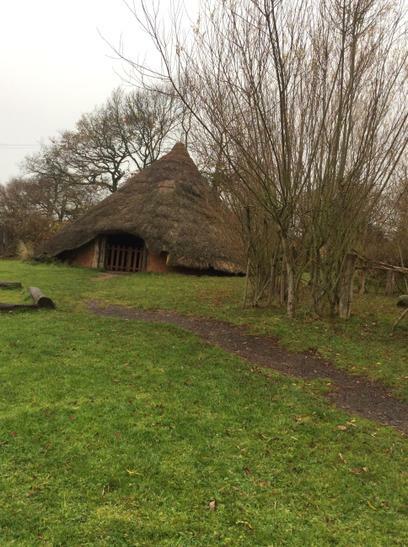 We were lucky enough to spend a day out to enhance our learning about the Romans and how they used to live in Britain. 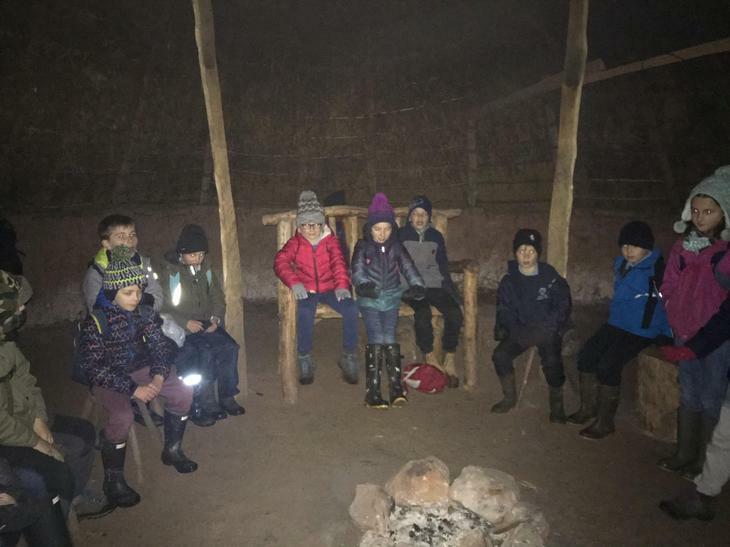 The Baths were quite spectacular, with excellent audio guidance provided by a certain Michael Rosen (a poet we are very familiar with in class!). 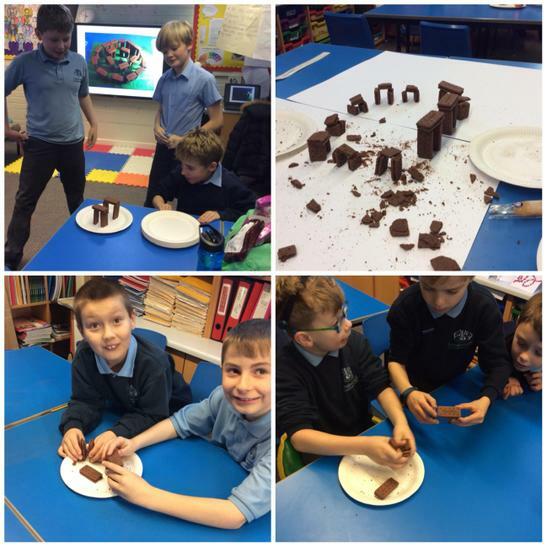 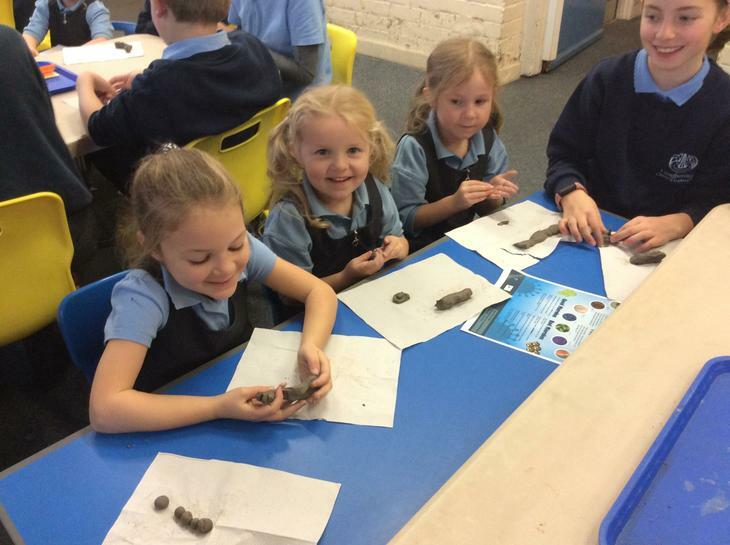 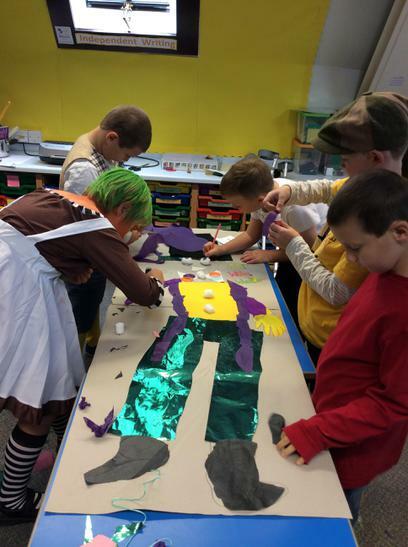 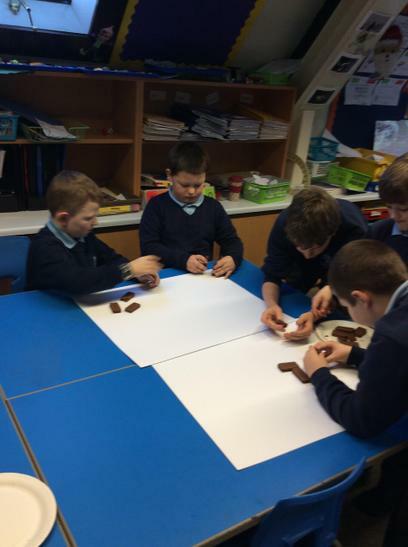 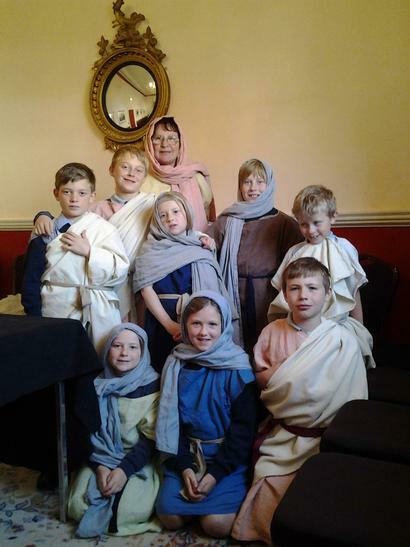 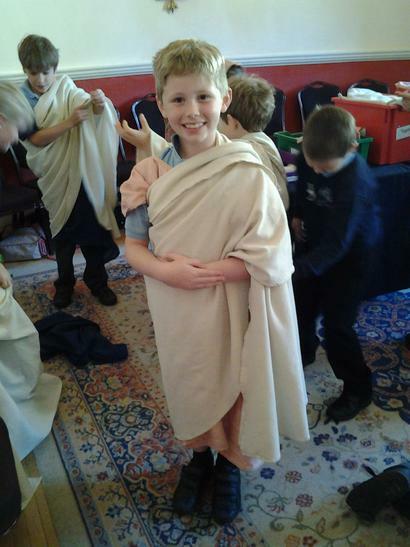 To support their subject knowledge, children also had a teaching session involving dressing up in role play, creating their own mosaics and an excellent hands-on session discovering the roman artefacts for themselves. 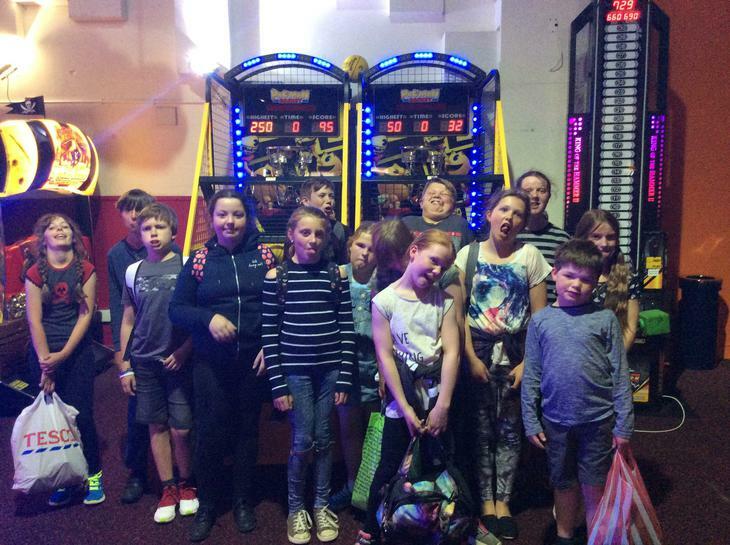 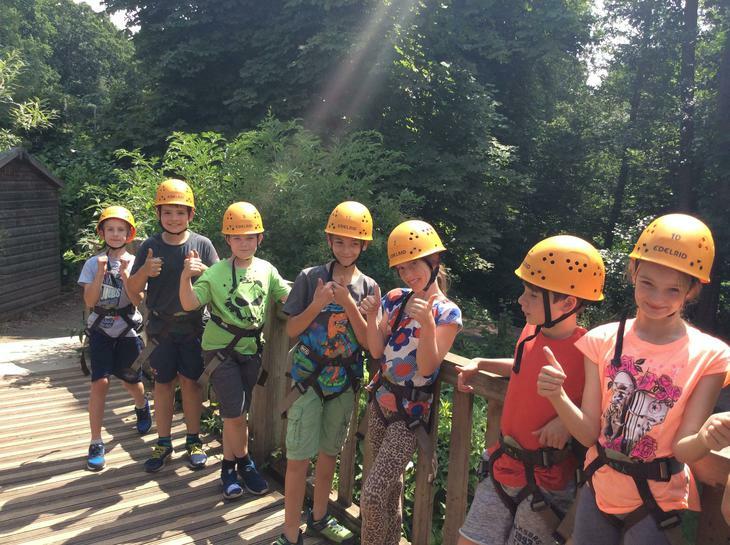 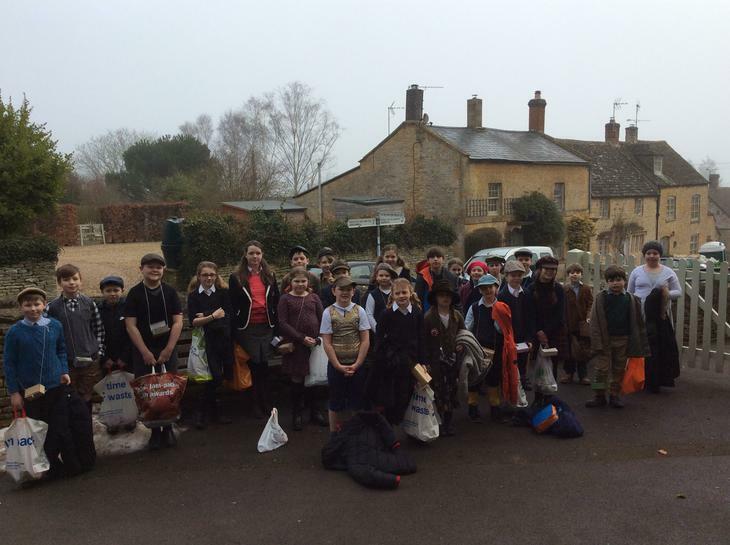 A fabulous day out enjoyed by all. 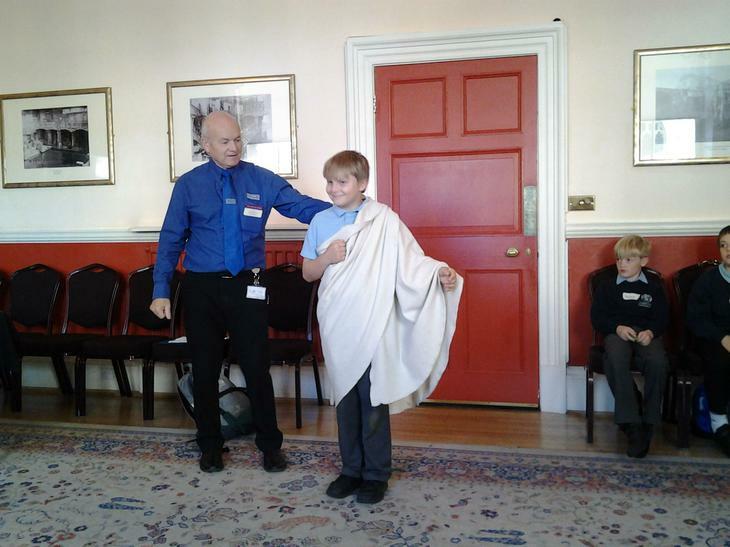 Learning how to put on a toga! 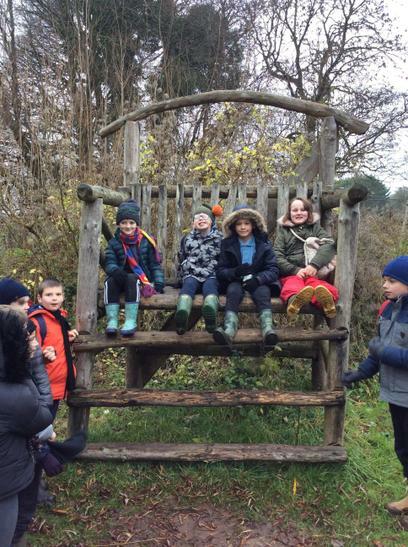 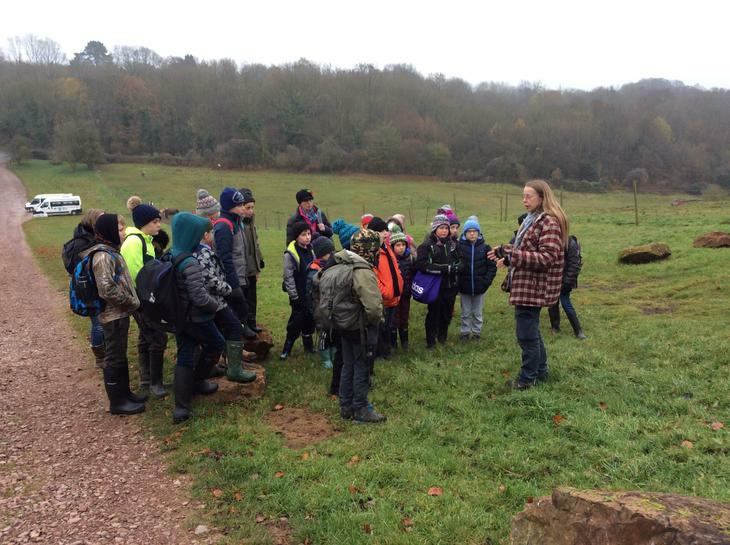 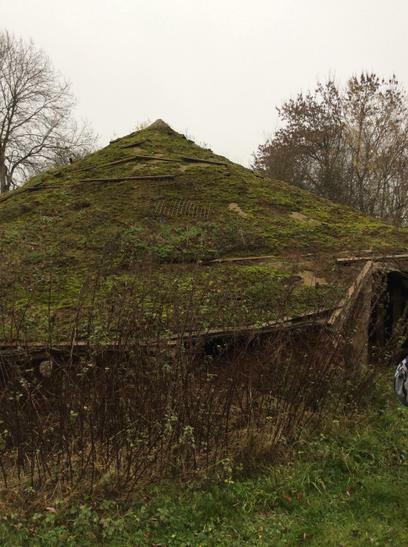 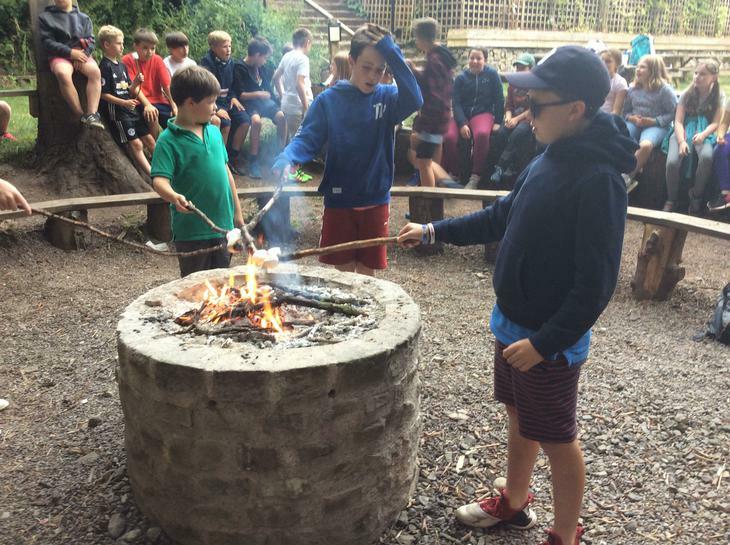 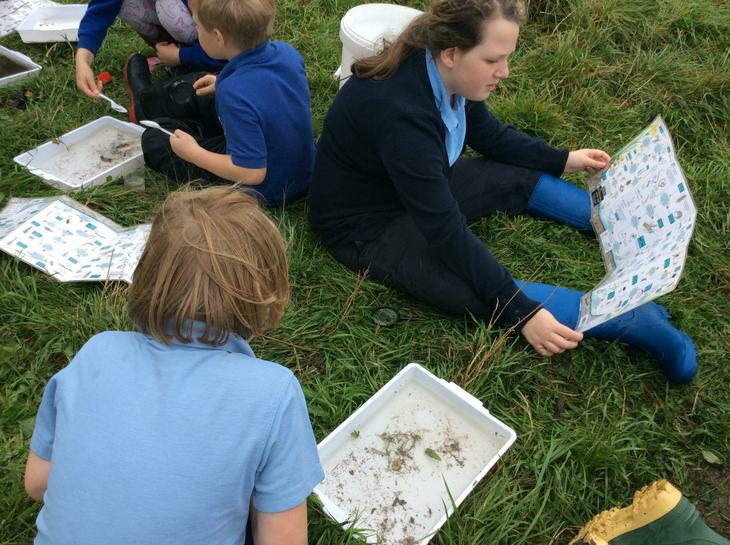 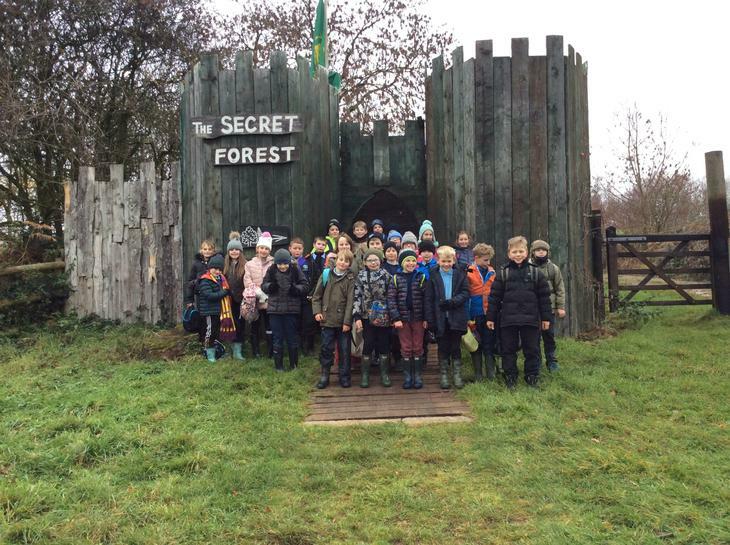 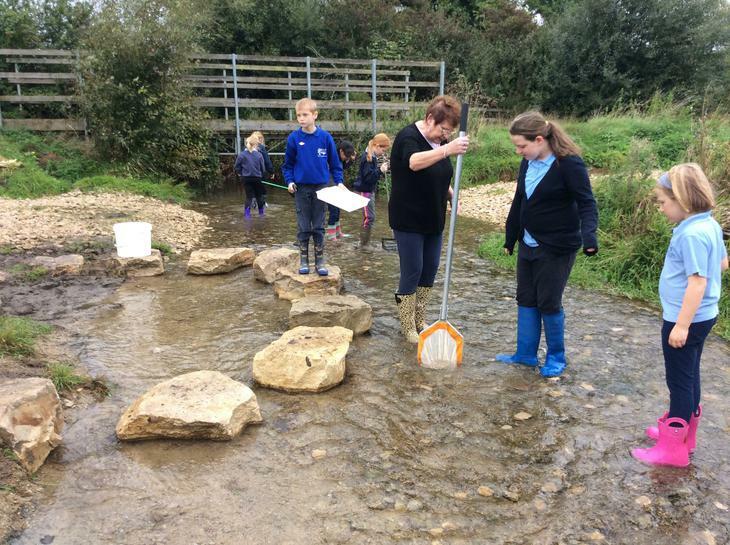 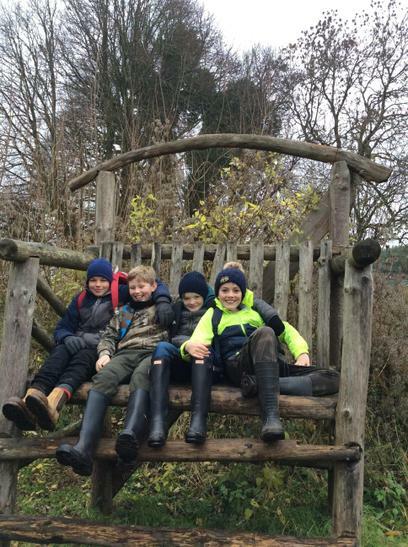 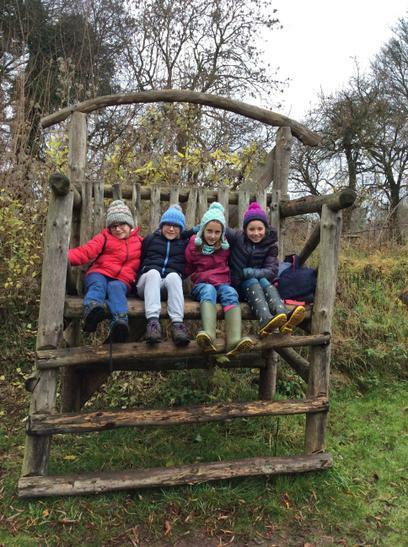 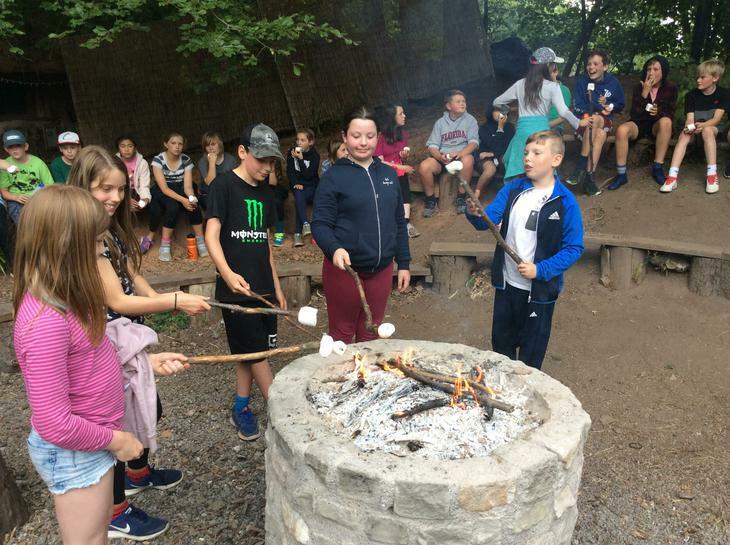 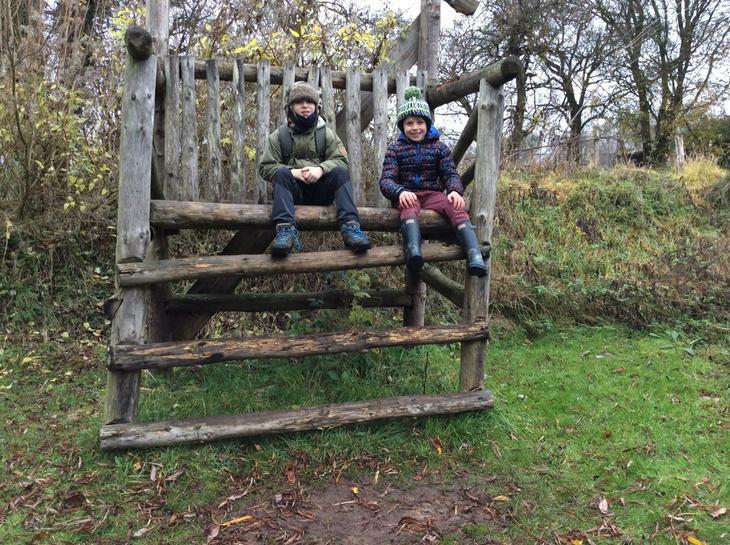 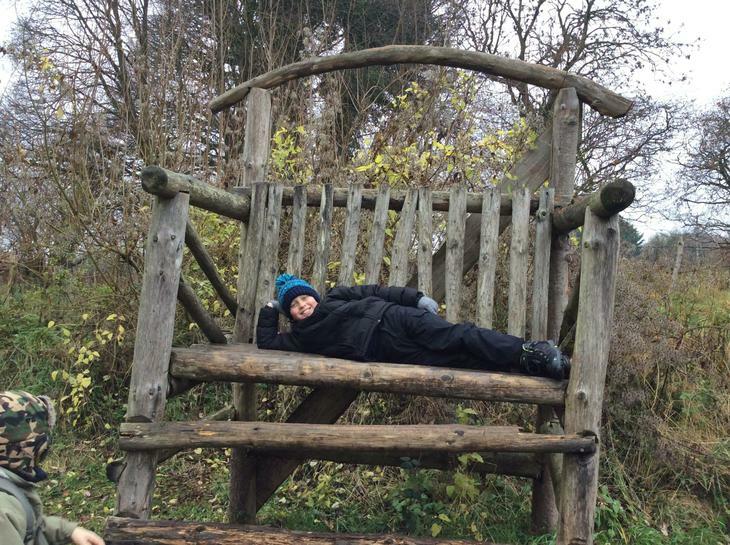 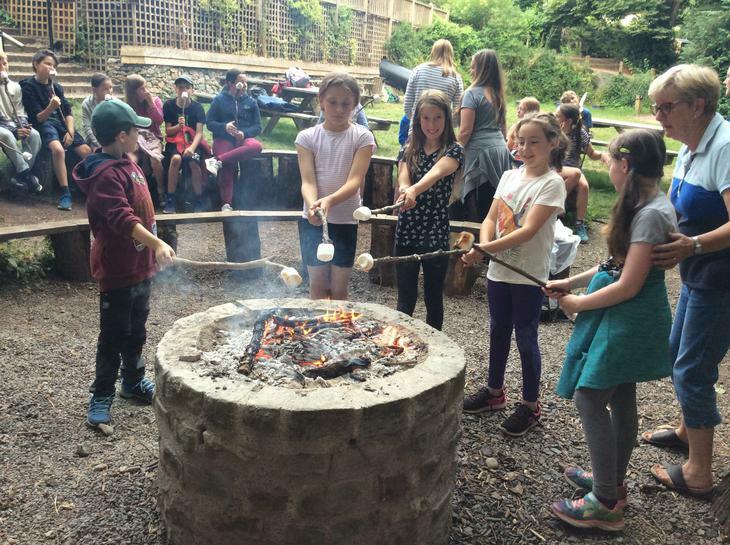 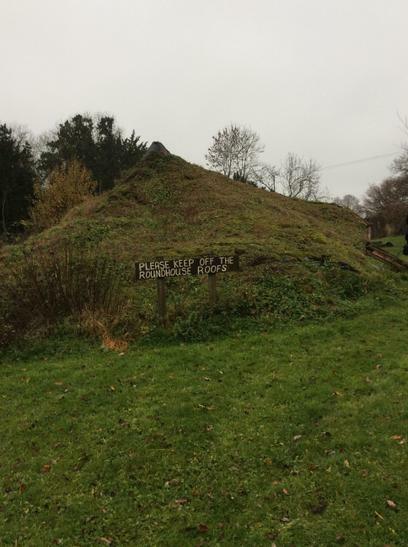 27th September: Science Trip to Greystones Farm Nature Reserve (B-O-W). 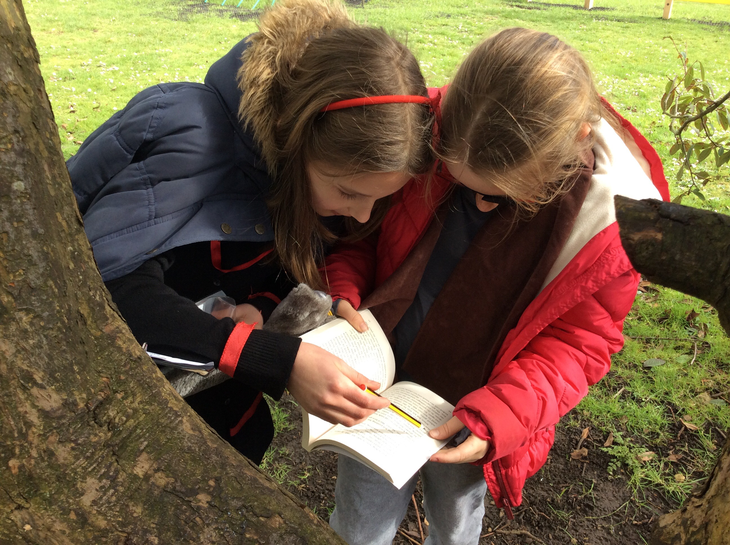 Class 2 had an excellent day of learning outside the classroom, putting their new classification skills to the test. 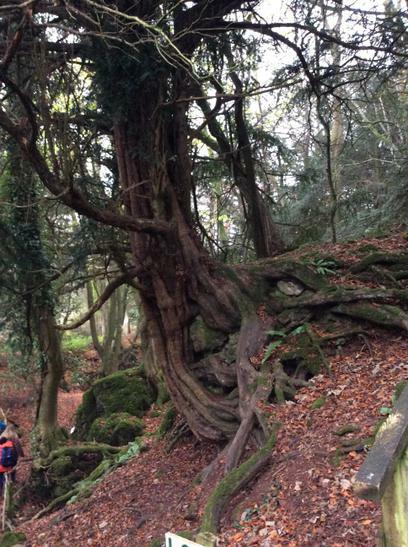 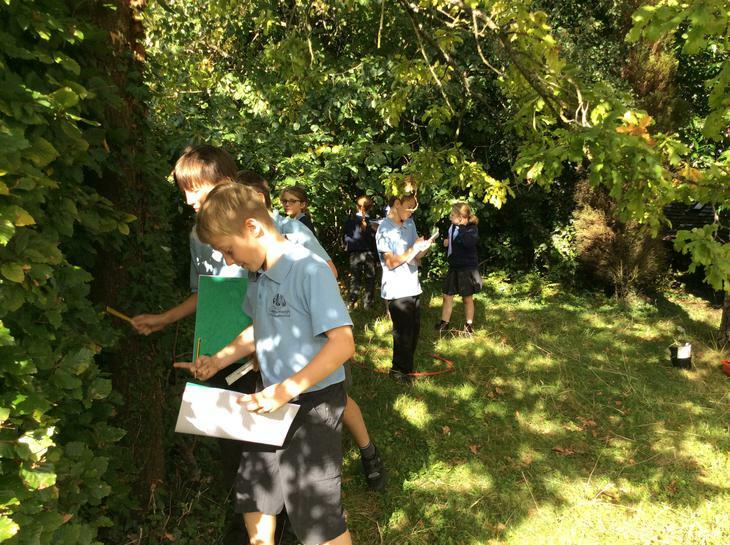 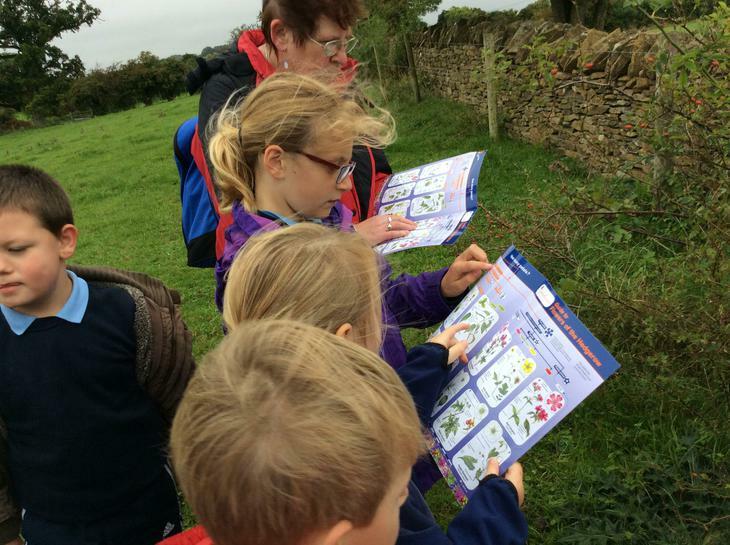 We identified a wide range of trees, flowers, and invertebrates in a range of habitats. 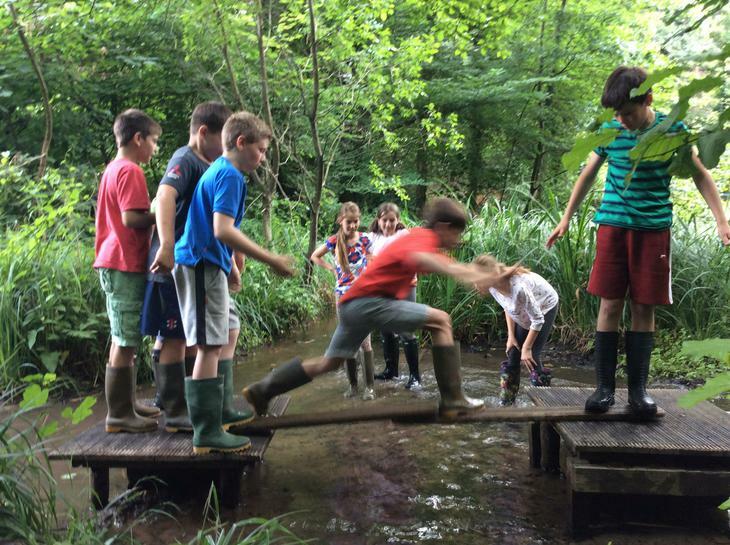 We all performed kick sampling surveys in the river and discovered where our house team names have come from! 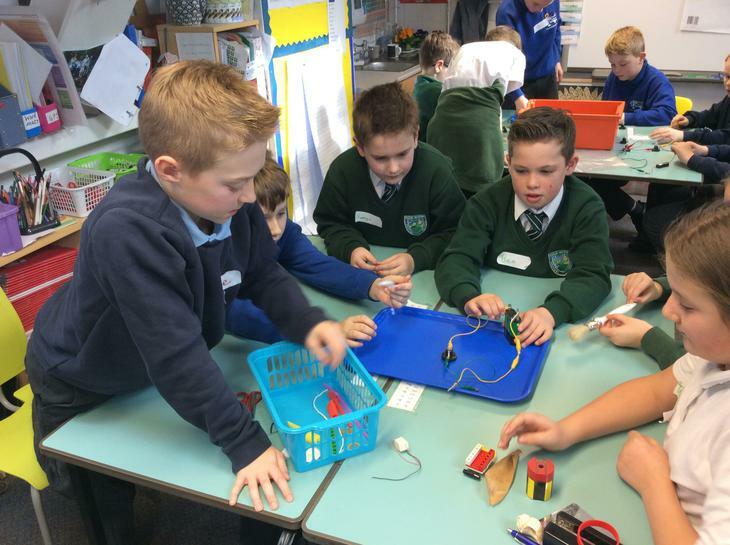 This week, we have been lucky enough to have a visit from Stemworks (based in Gloucester), who promote careers in Stem subjects - Science, Technology, Engineering and Maths. 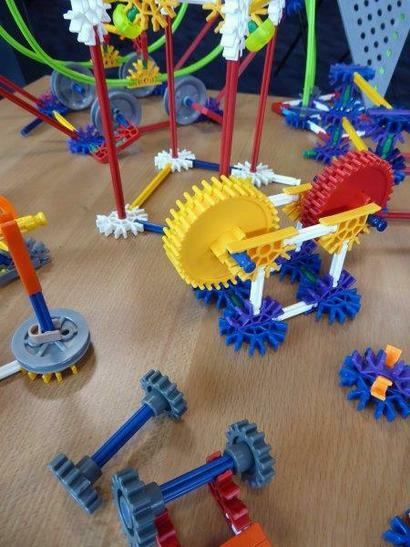 With the help of local engineering companies, Stemworks are hoping to inspire the next generation of engineers. 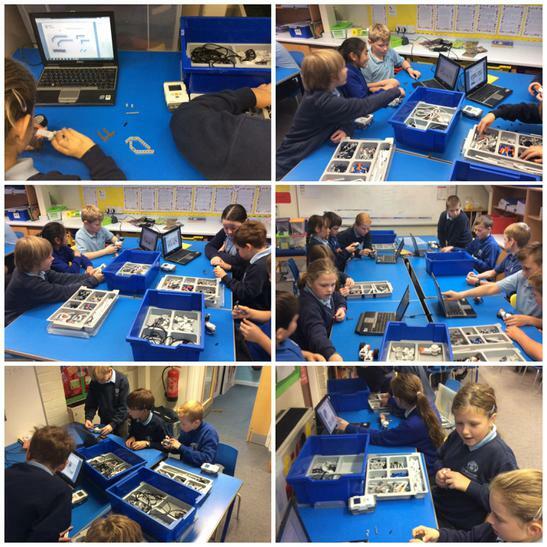 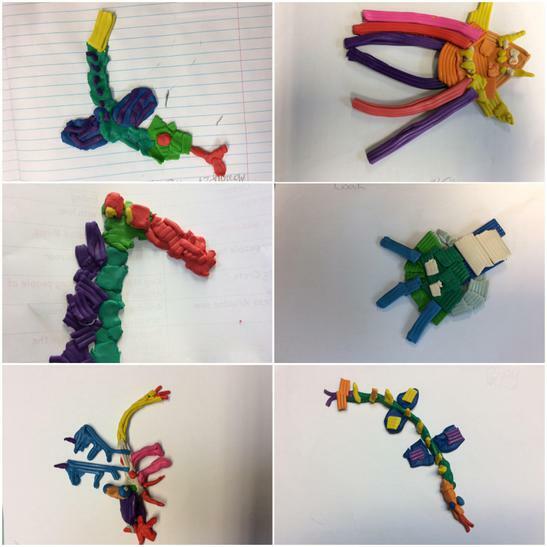 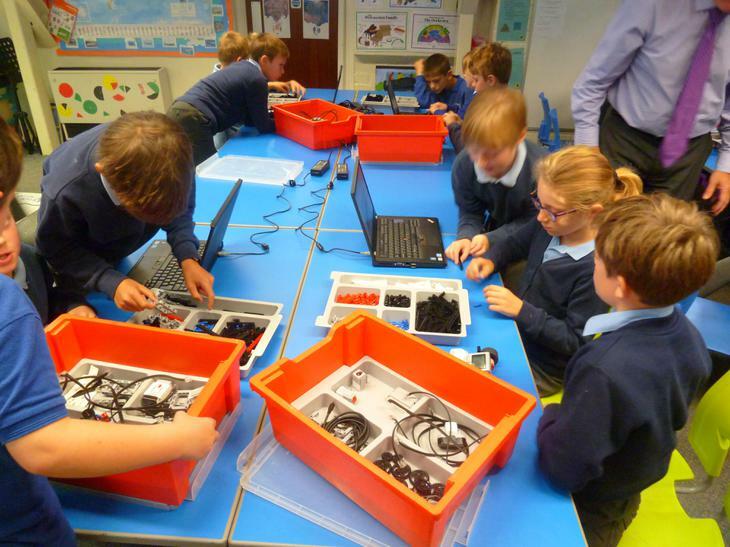 Today, children built robots and were able to connect the same to computers in order to programme movement. 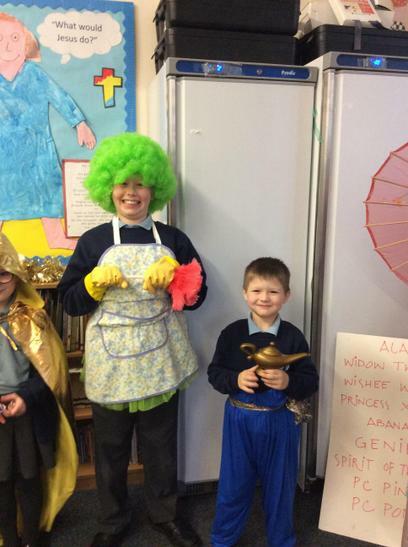 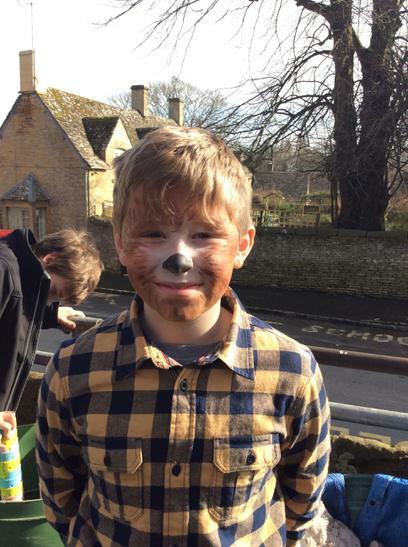 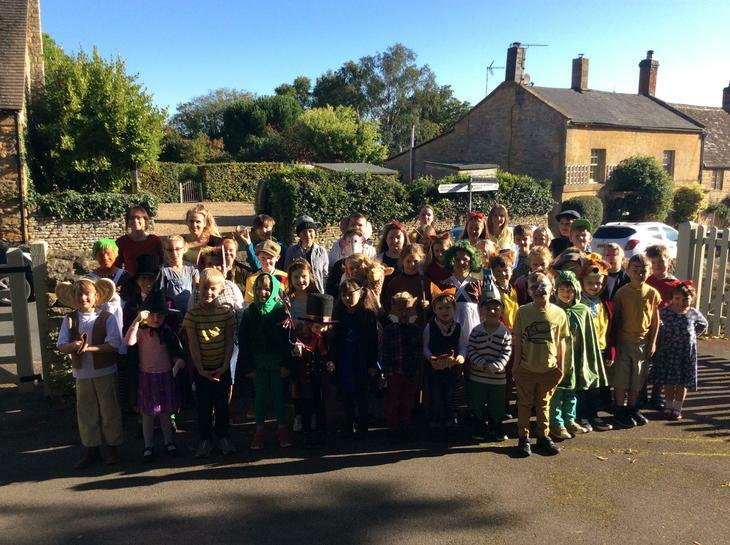 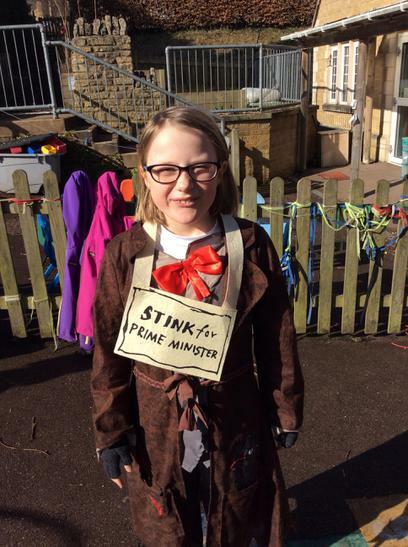 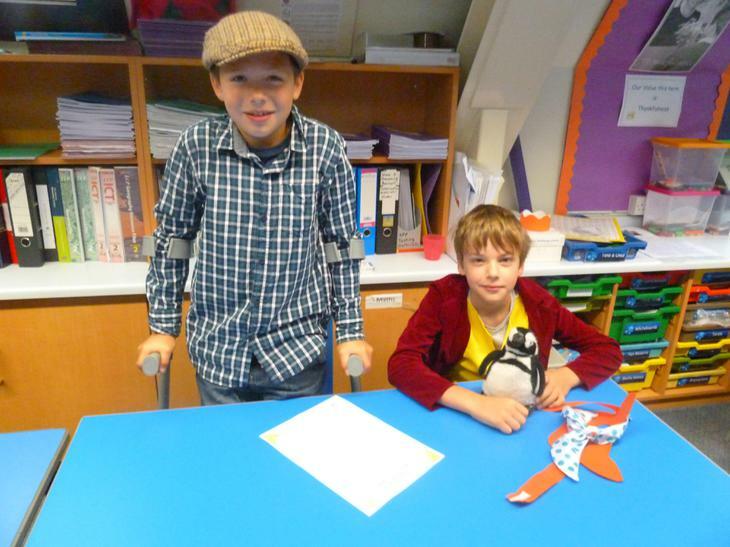 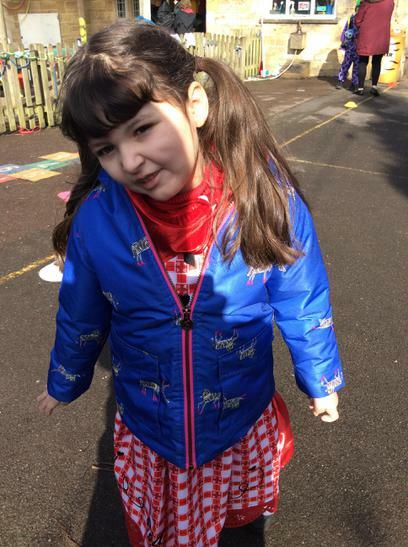 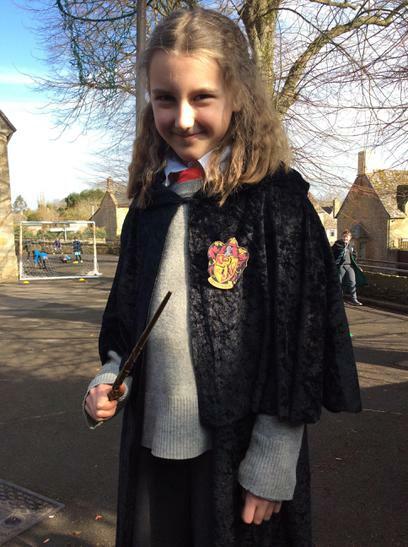 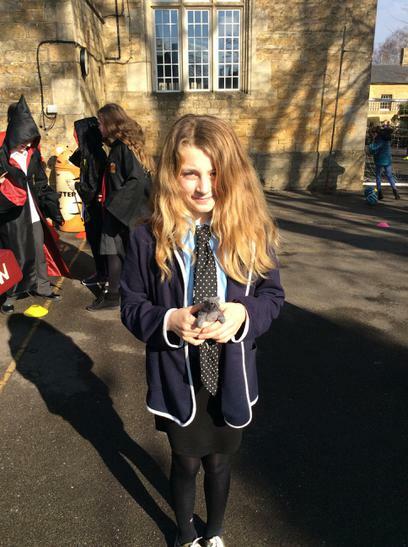 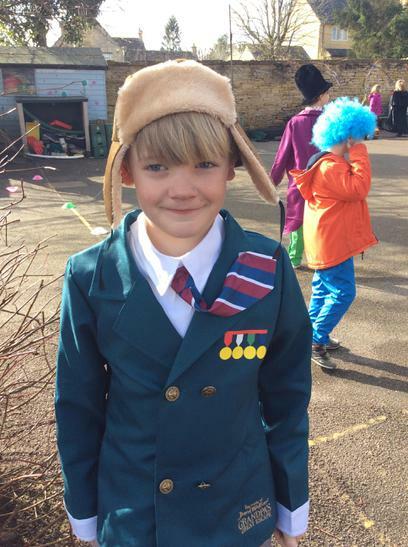 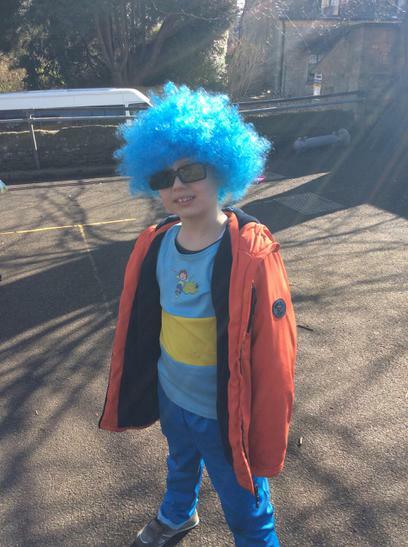 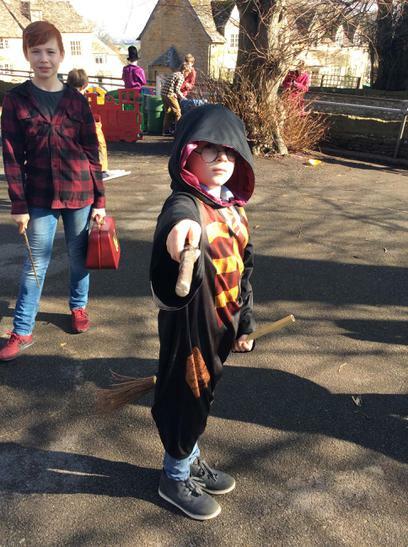 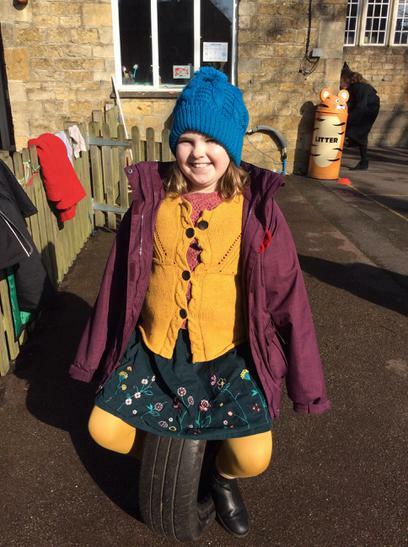 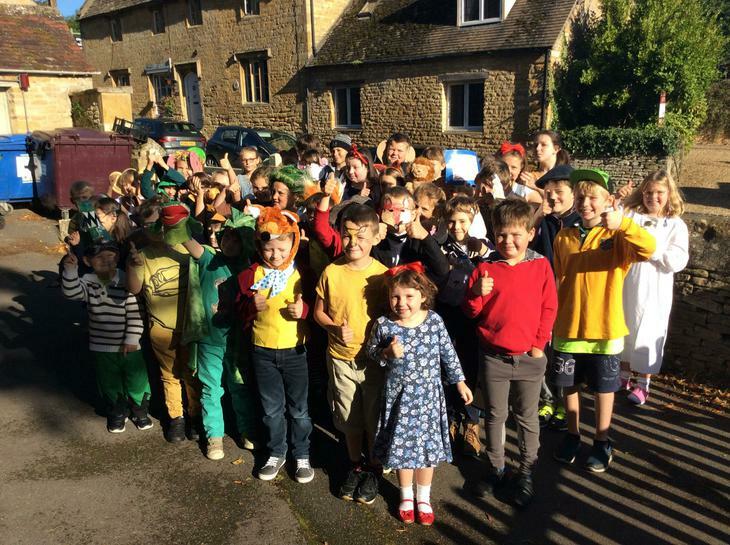 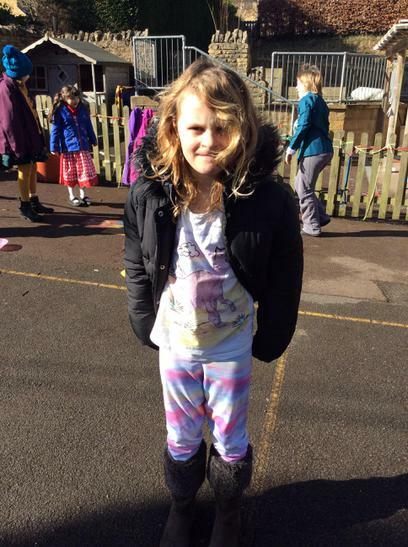 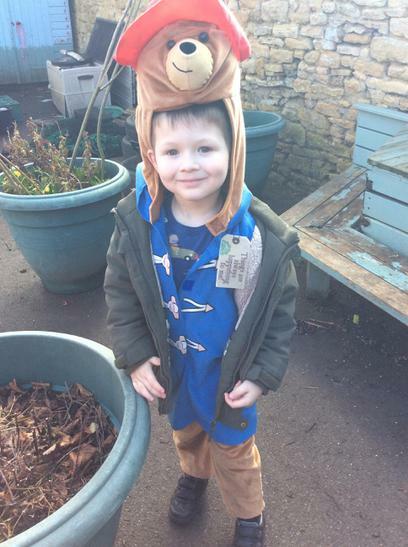 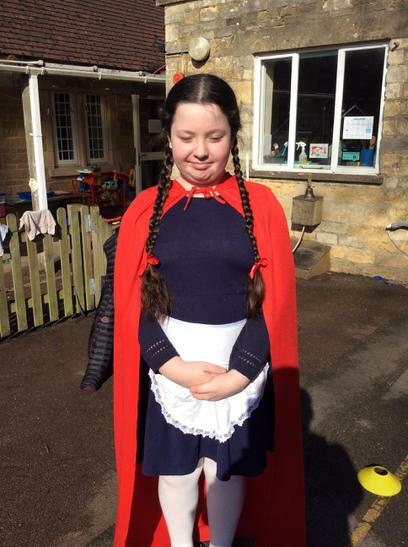 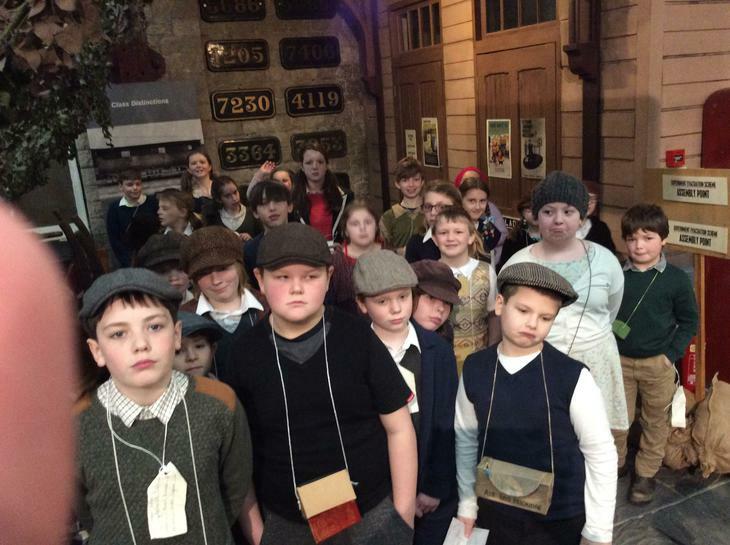 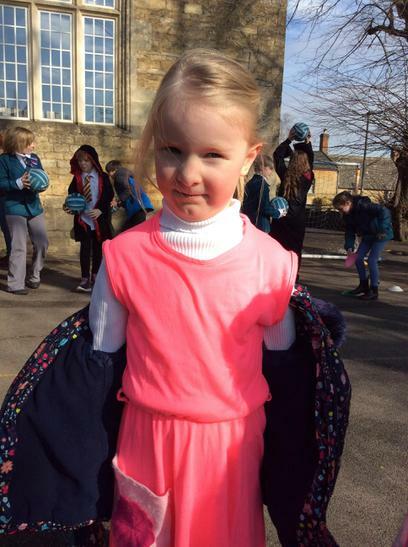 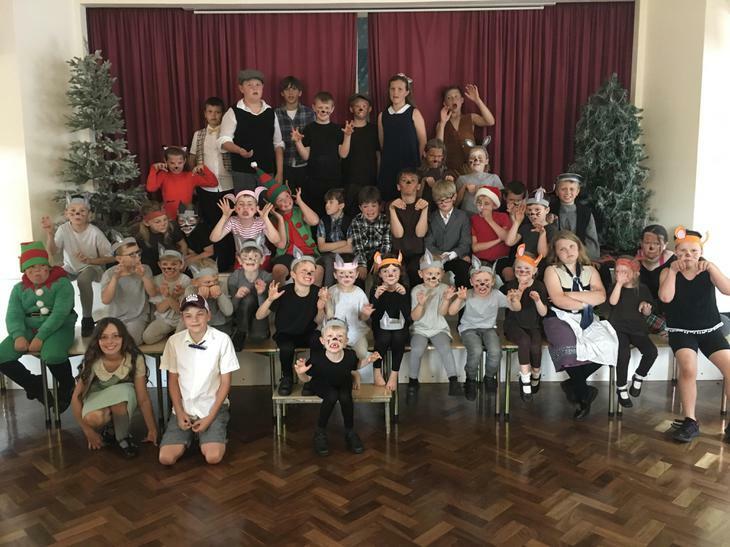 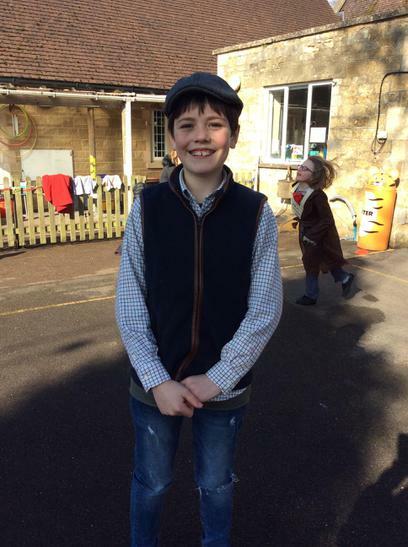 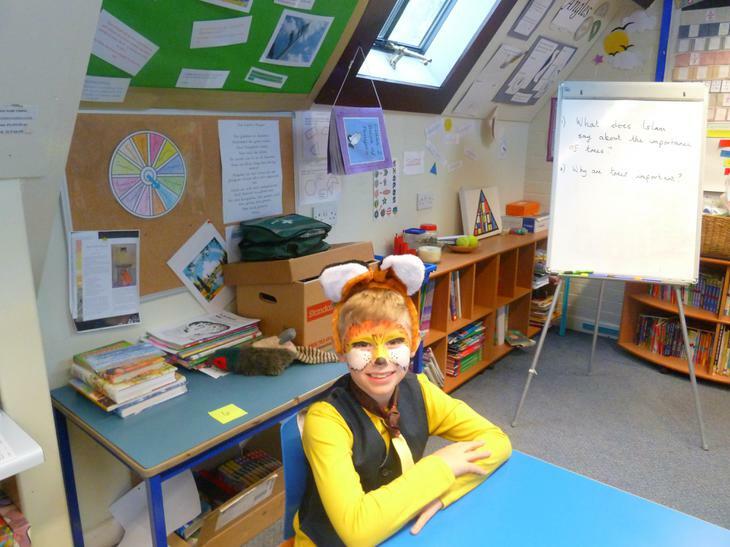 This week has included a Roald Dahl day, where children celebrated this enigmatic author by dressing as a character from one of his numerous books. 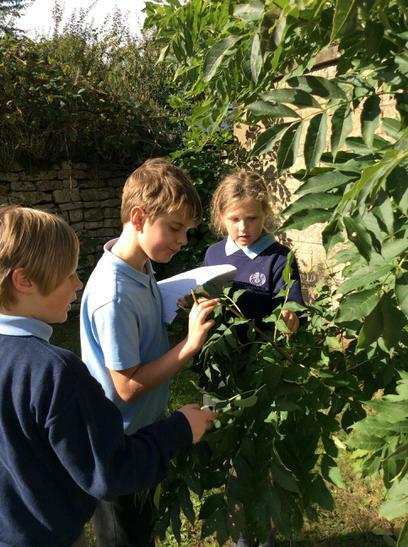 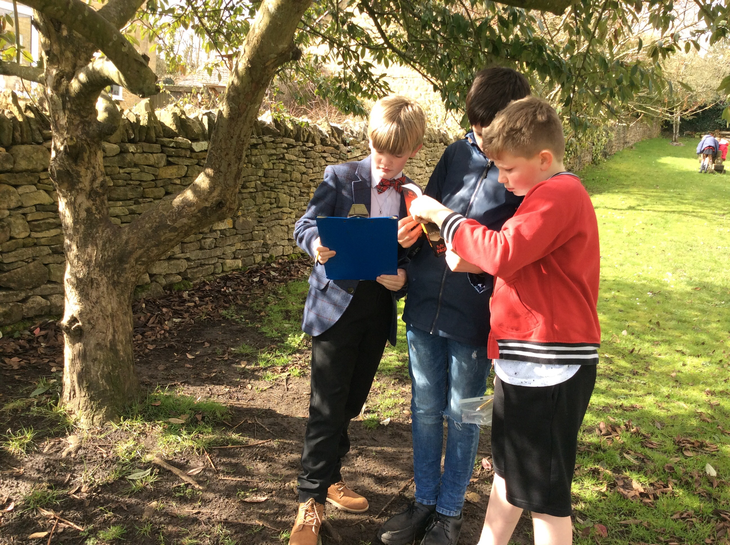 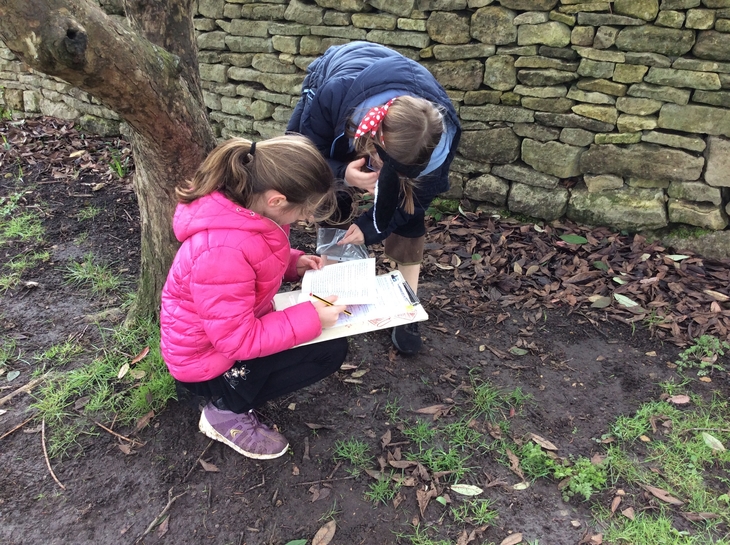 We used our knowledge from our trip to Gloucestershire Wildlife Trusts Nature Reserve at Greystones Farm to identify the trees in our school grounds as part of our science lesson.